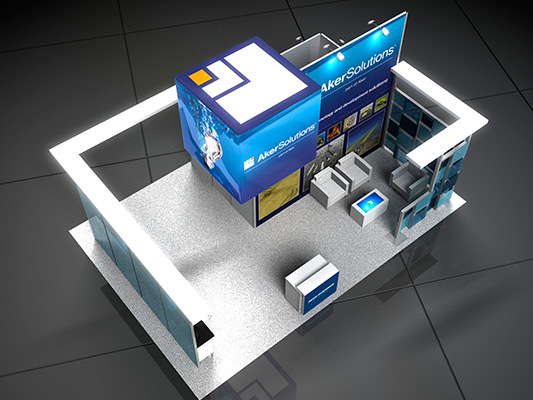 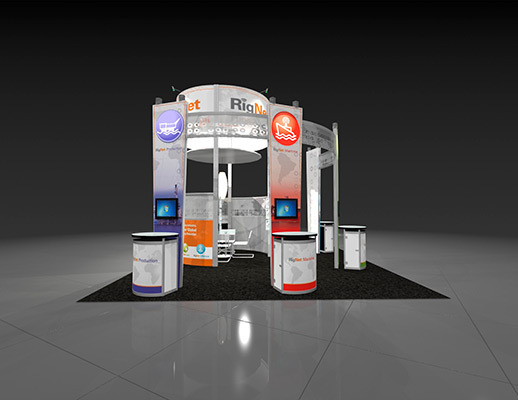 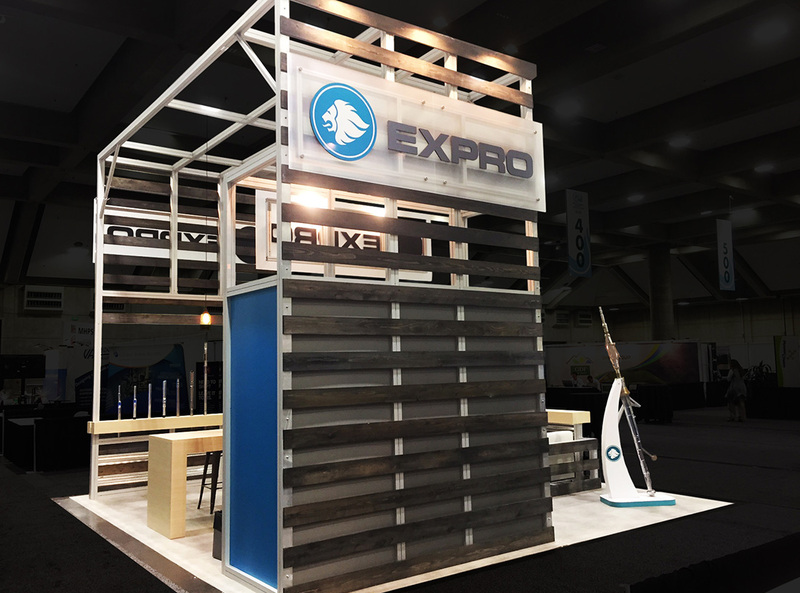 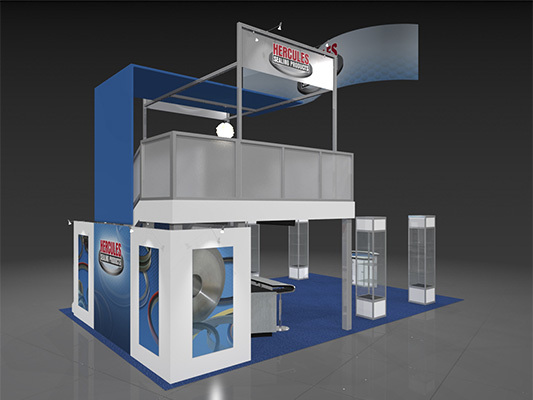 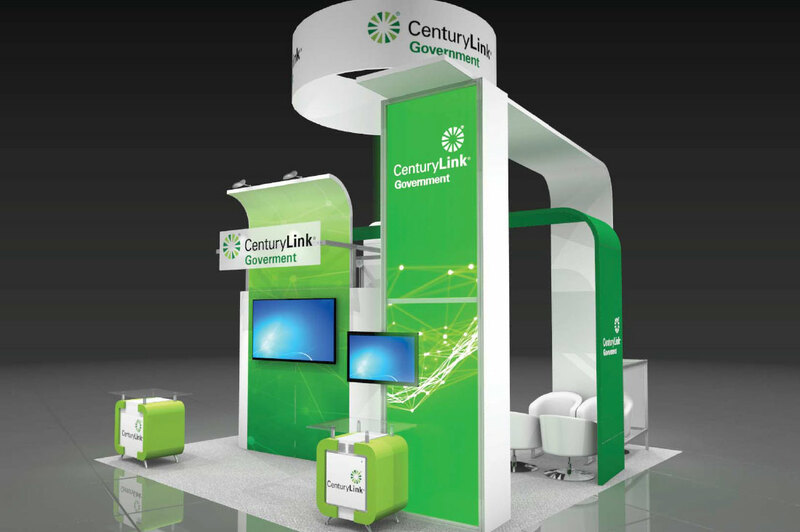 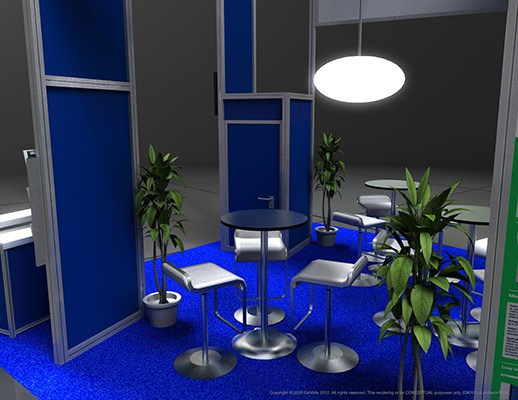 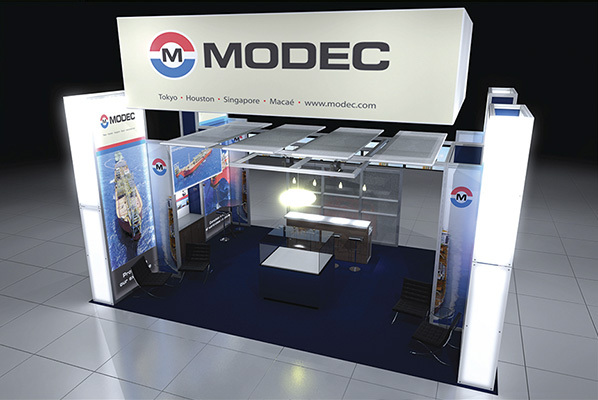 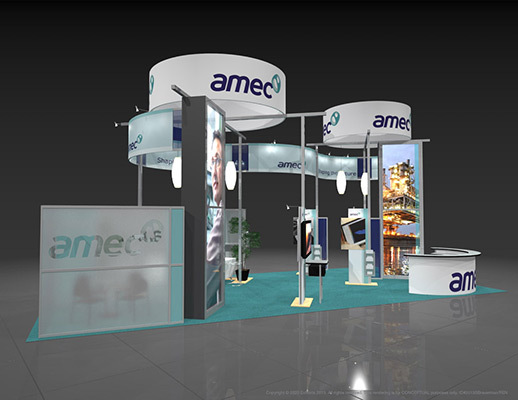 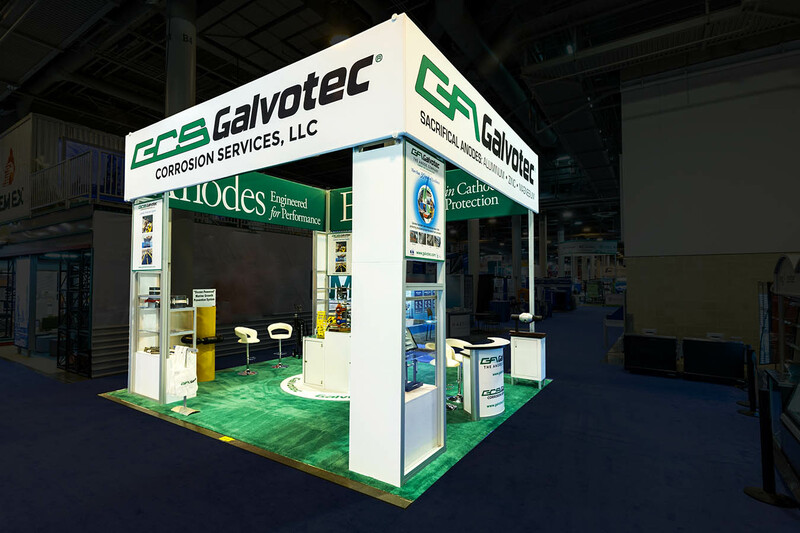 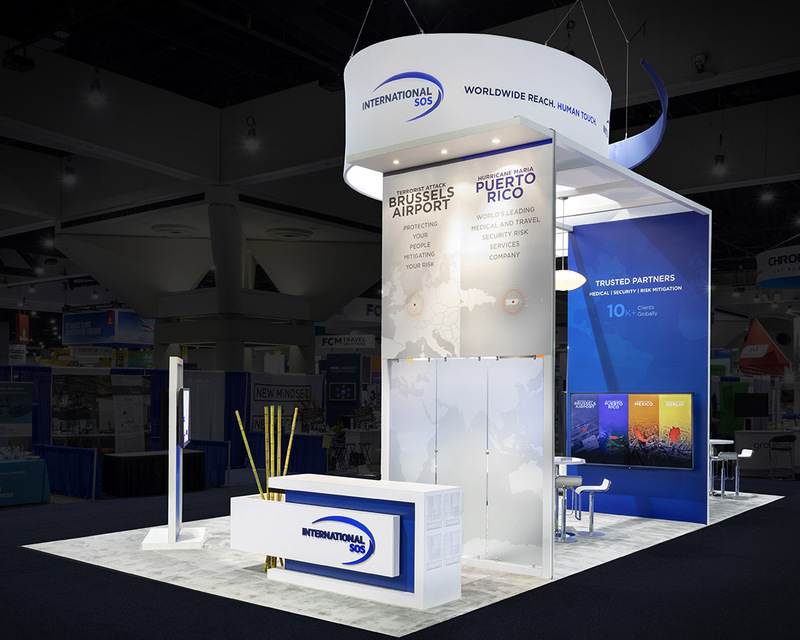 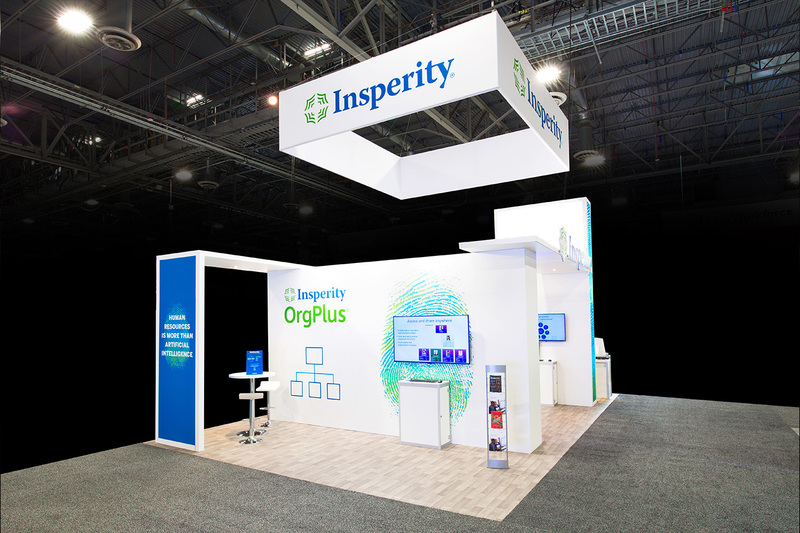 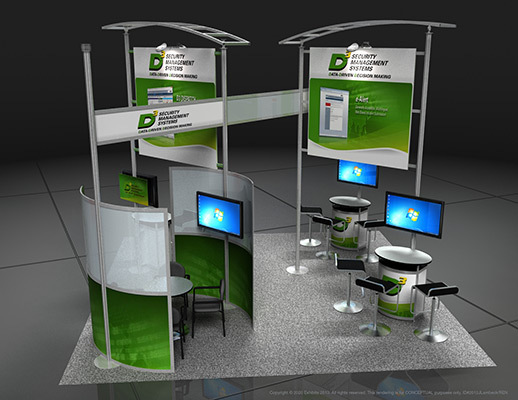 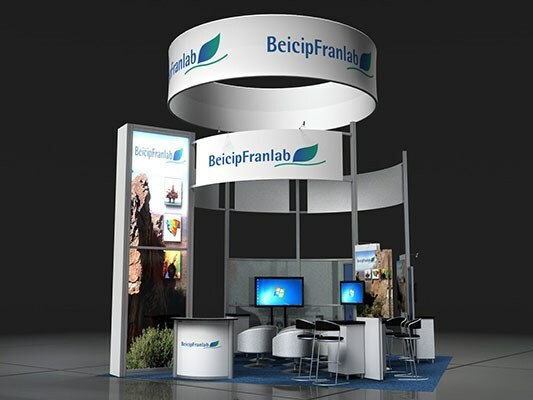 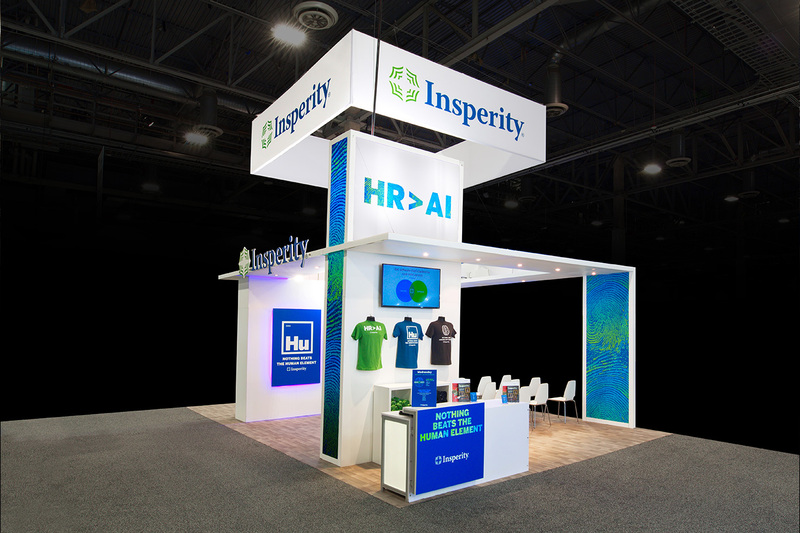 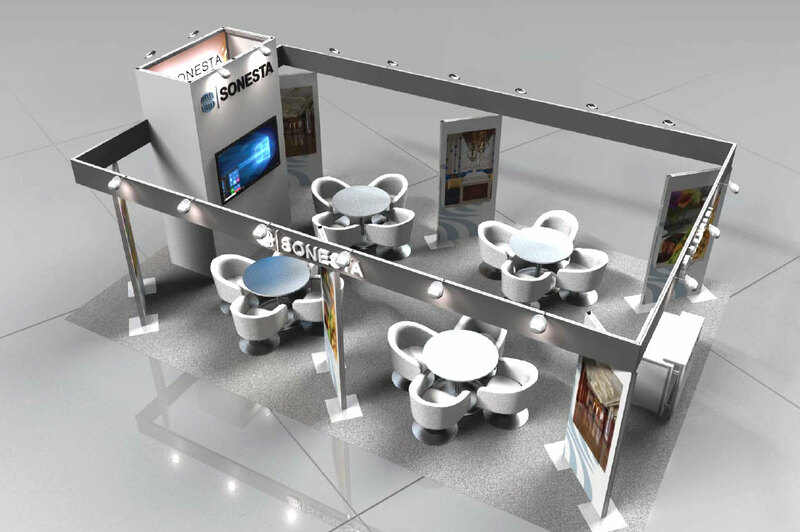 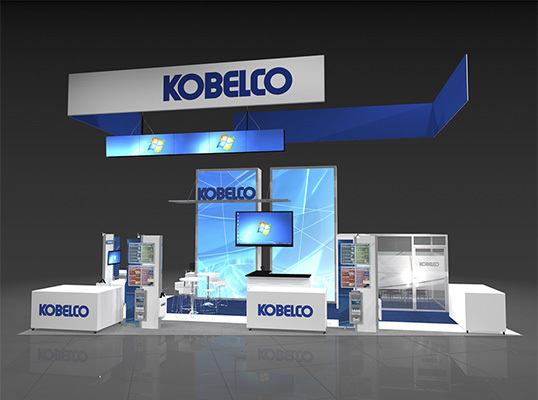 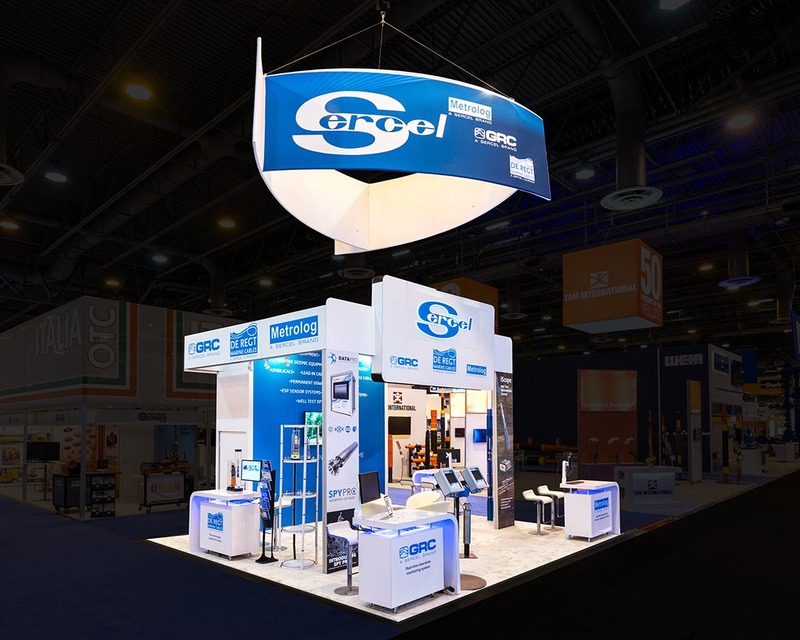 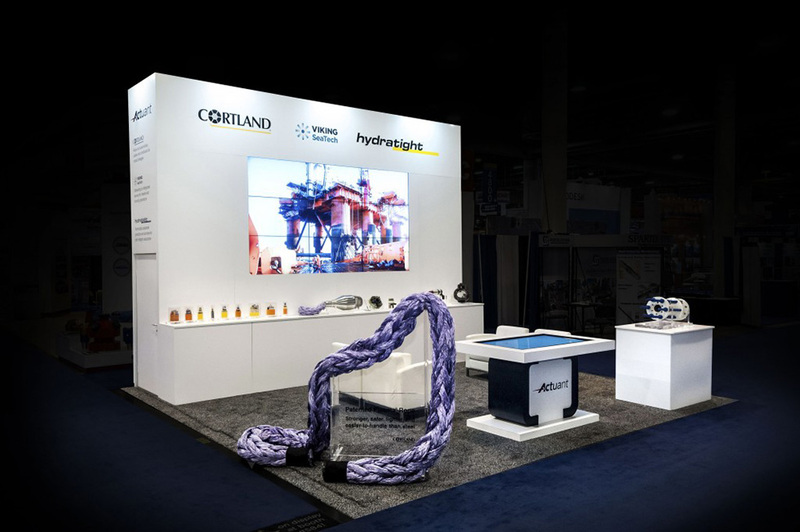 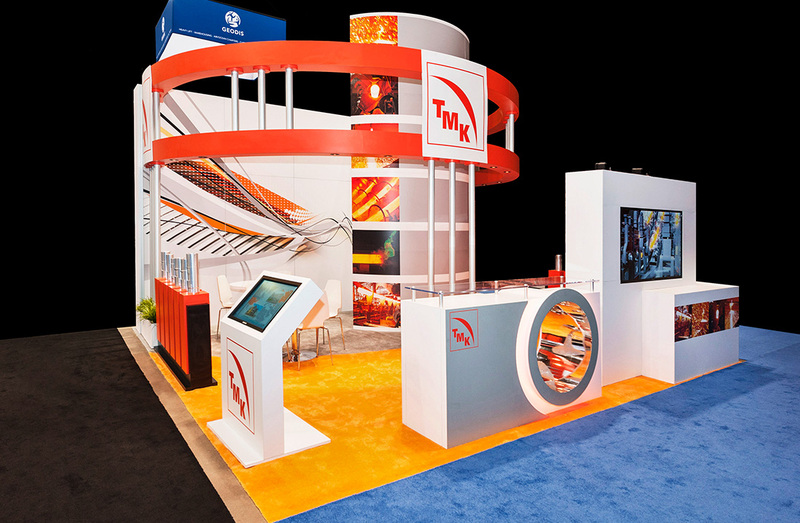 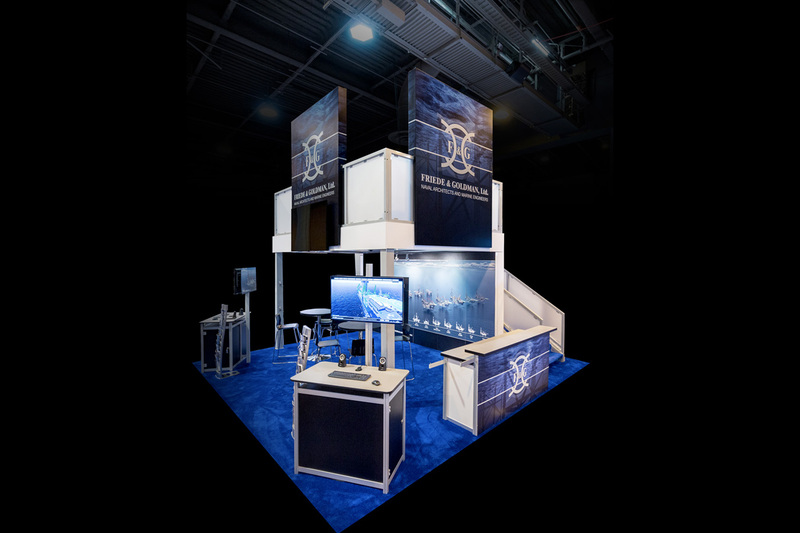 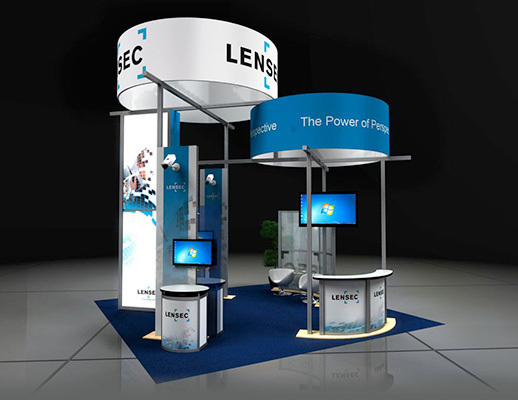 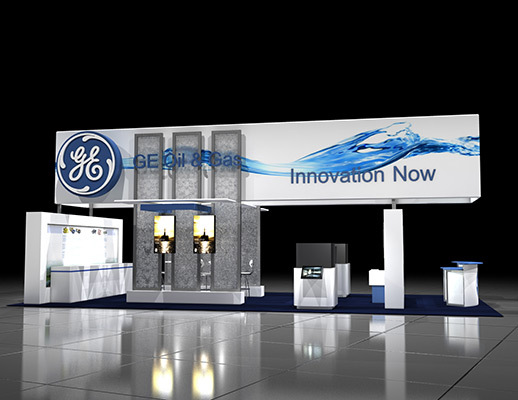 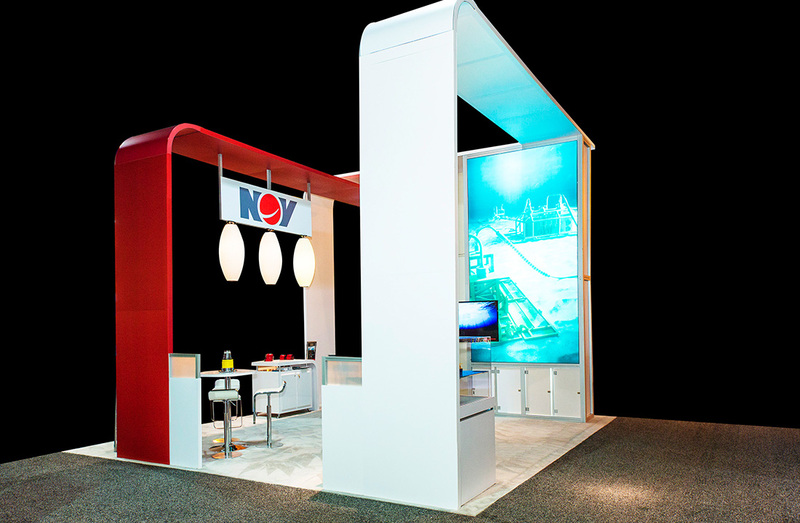 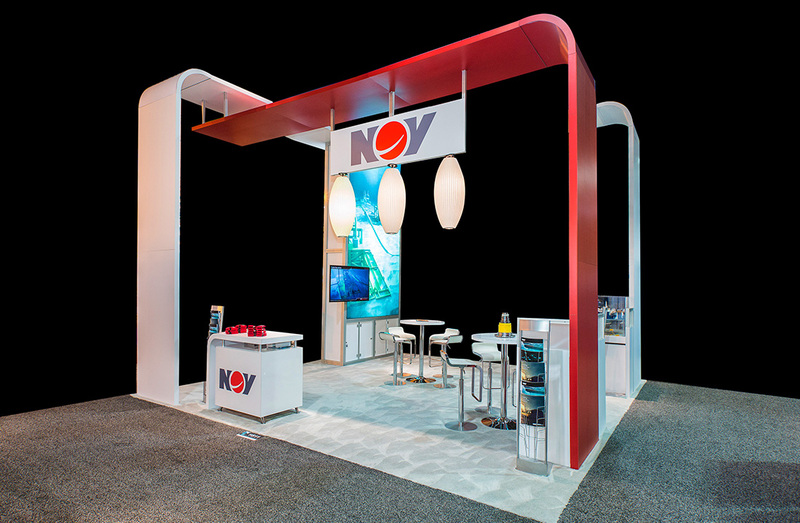 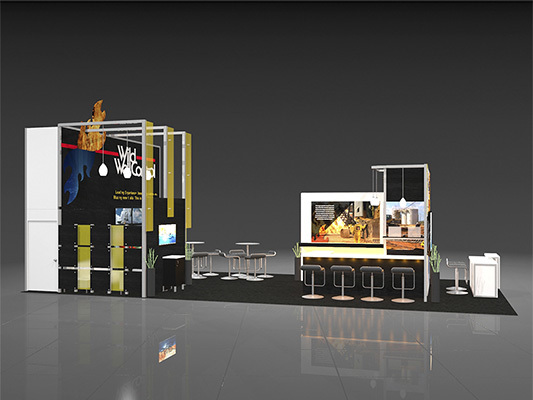 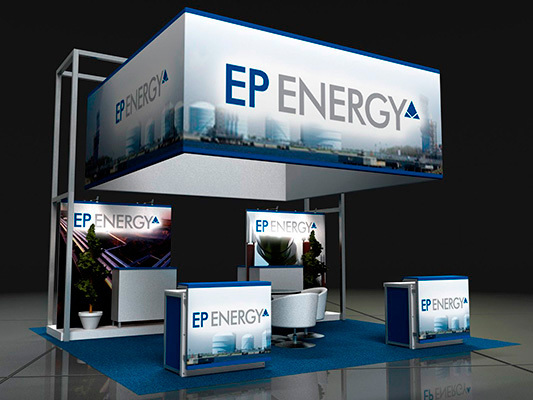 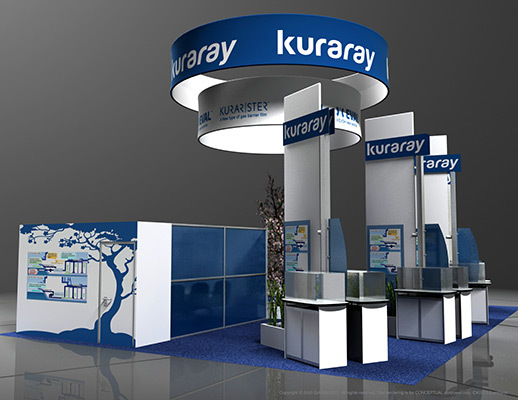 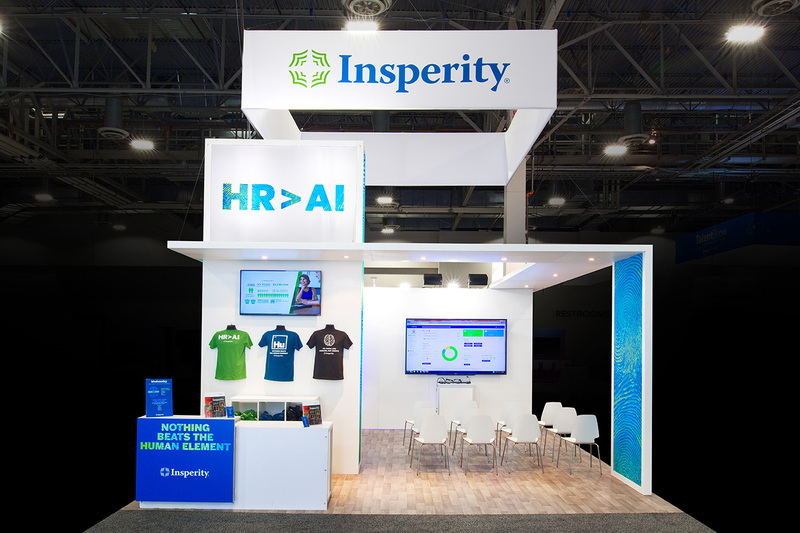 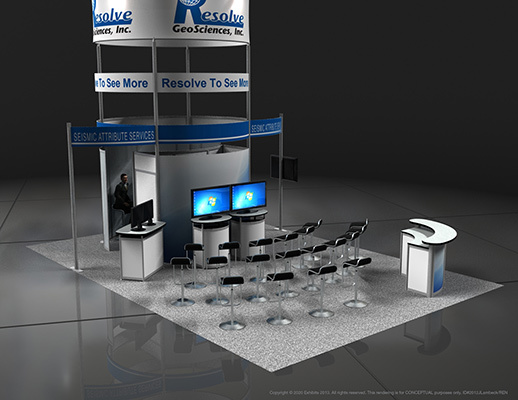 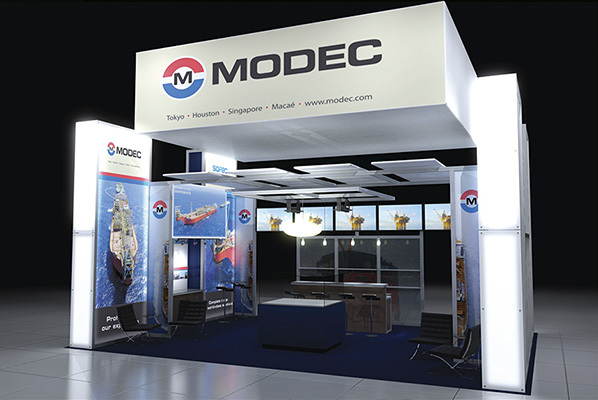 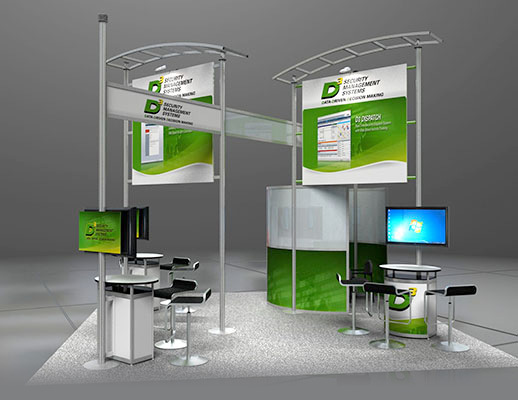 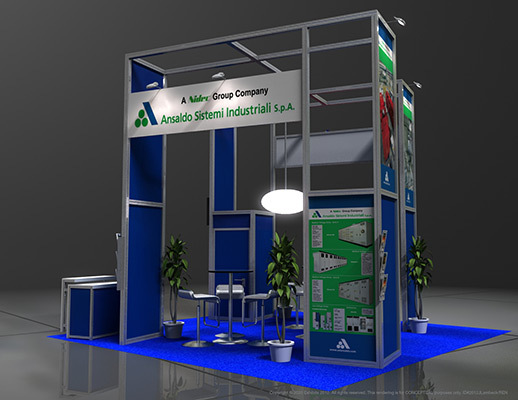 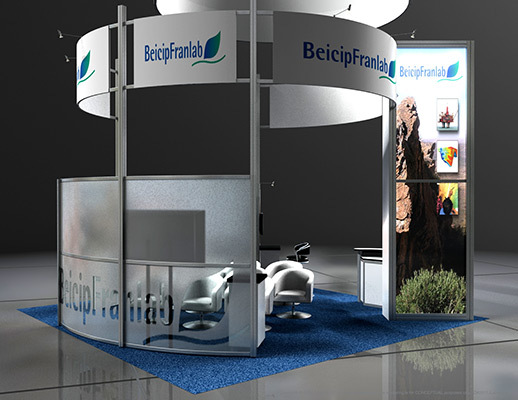 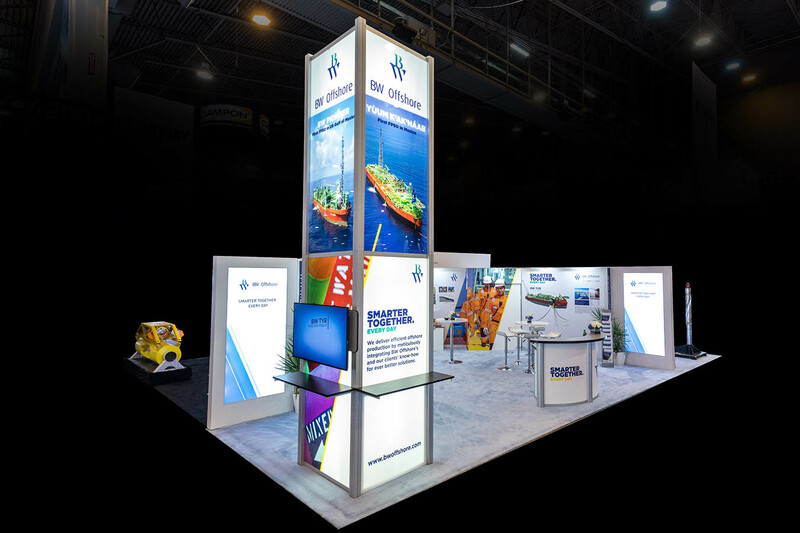 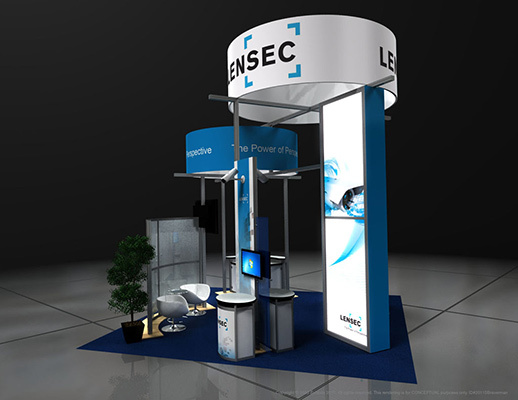 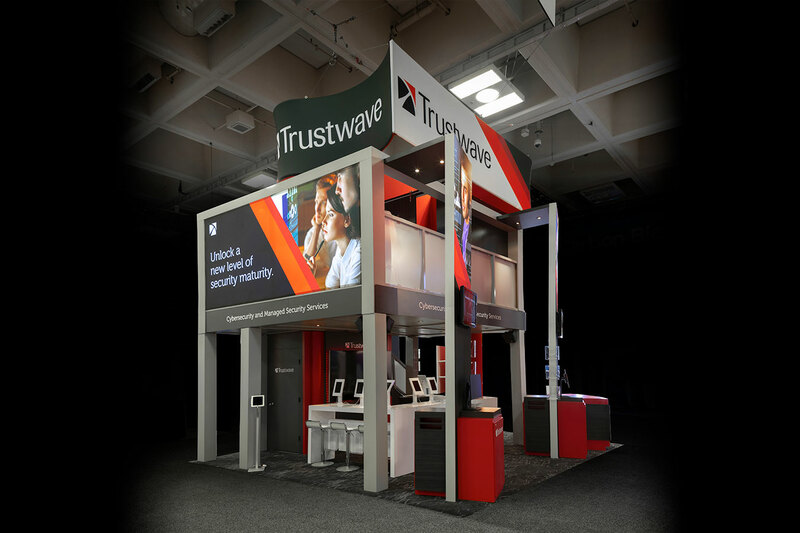 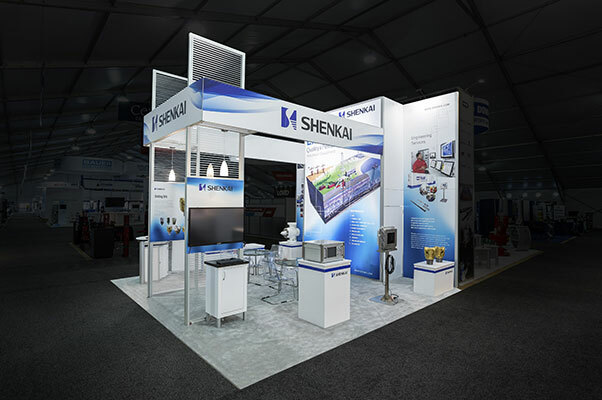 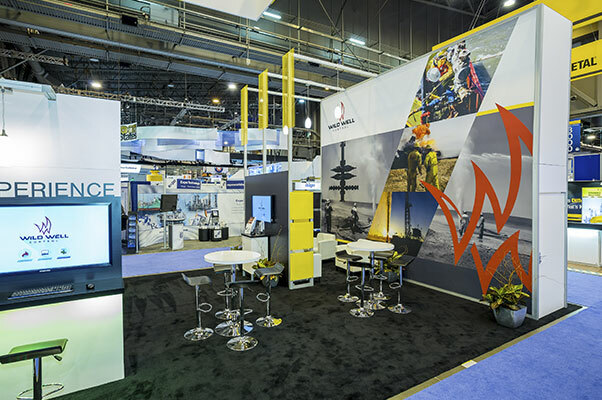 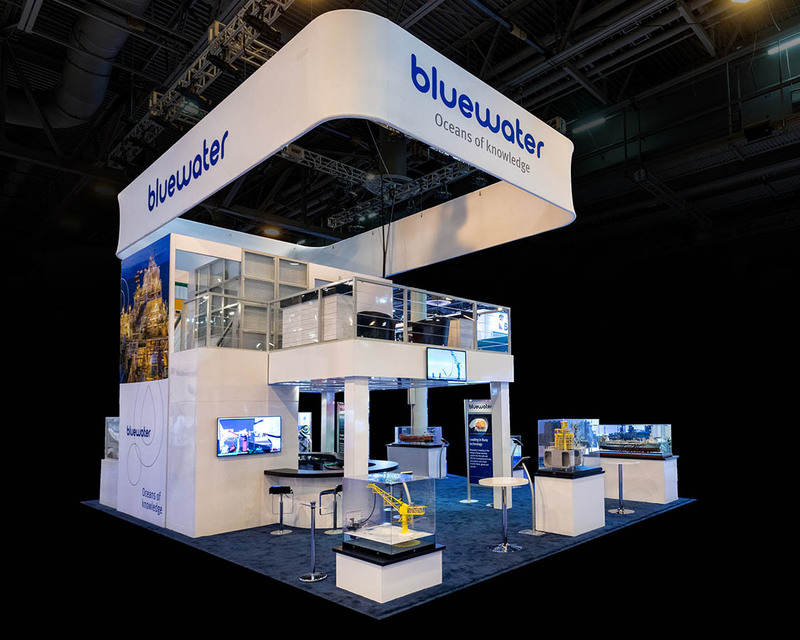 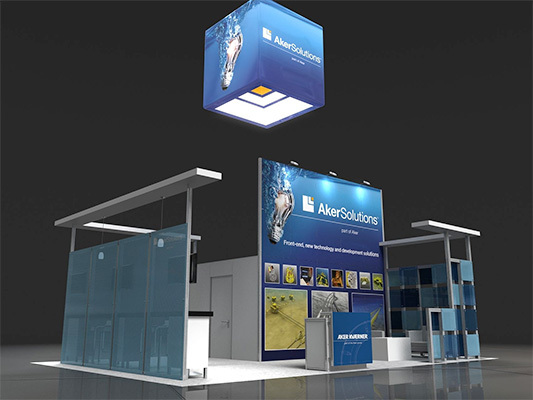 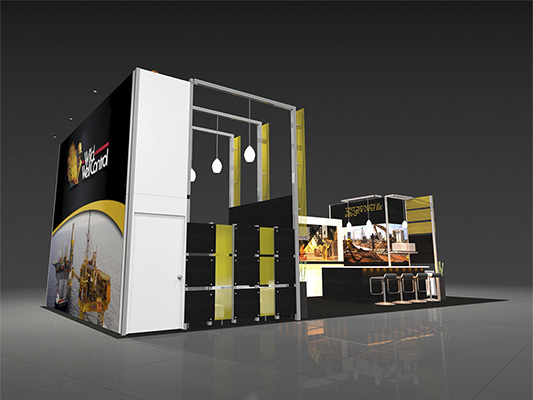 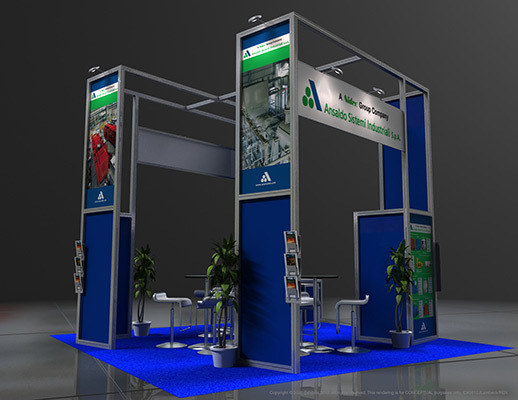 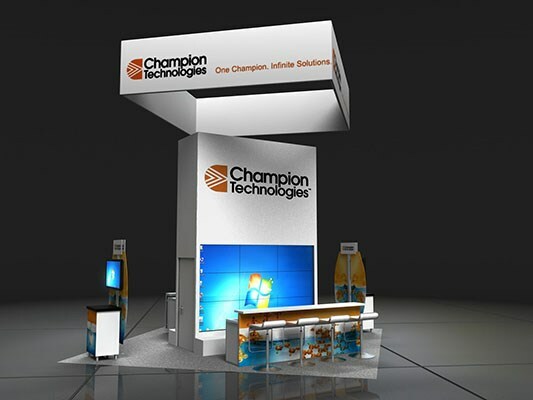 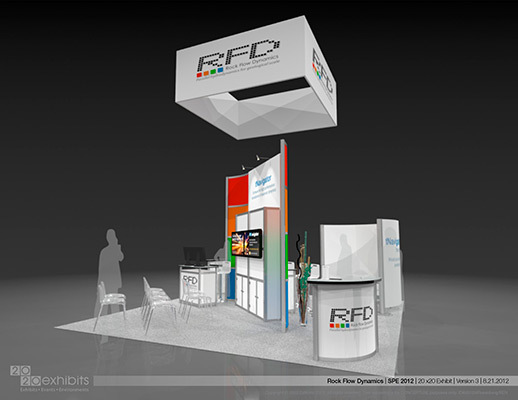 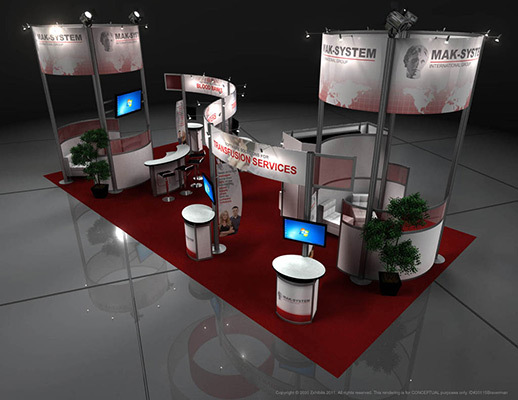 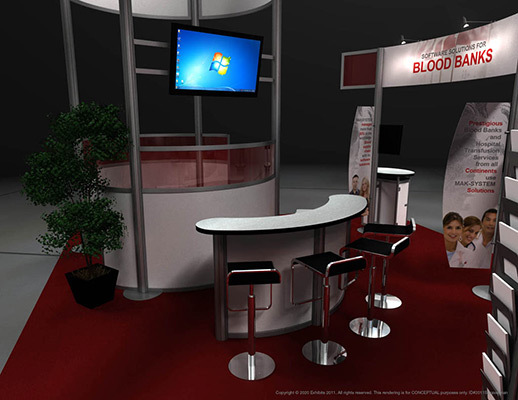 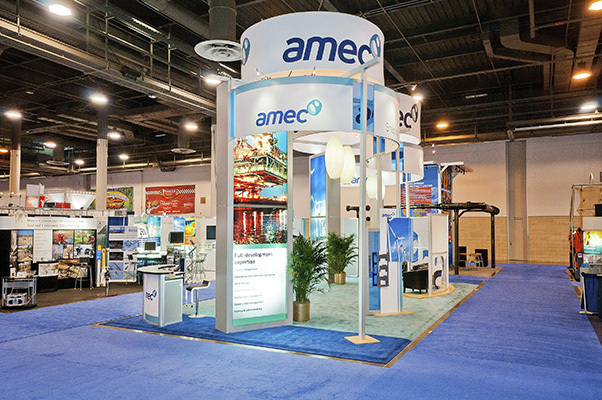 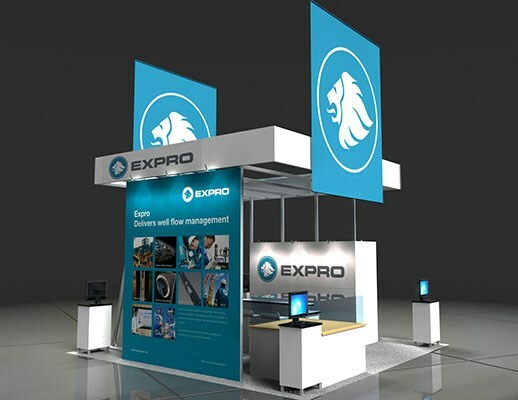 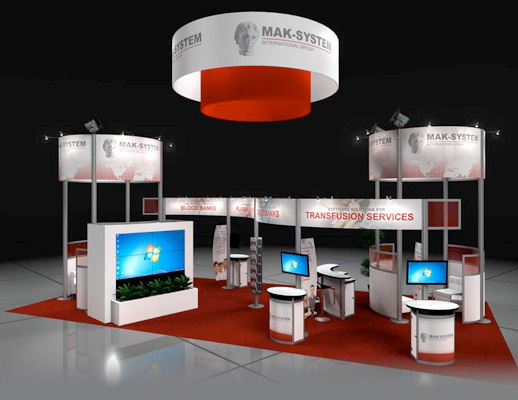 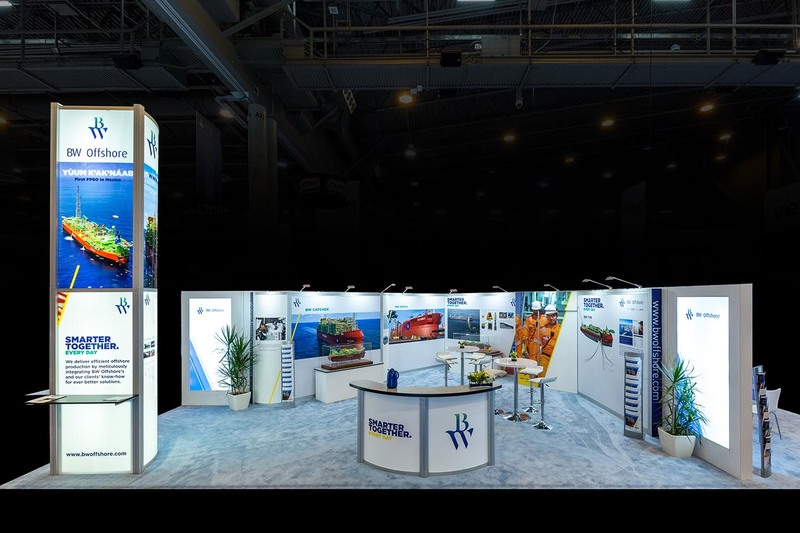 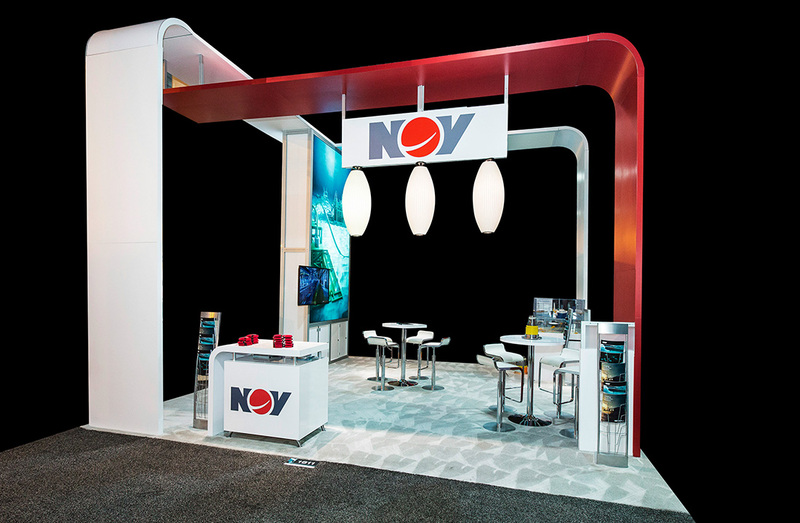 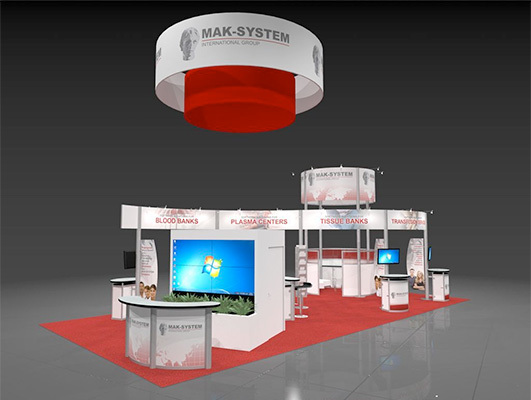 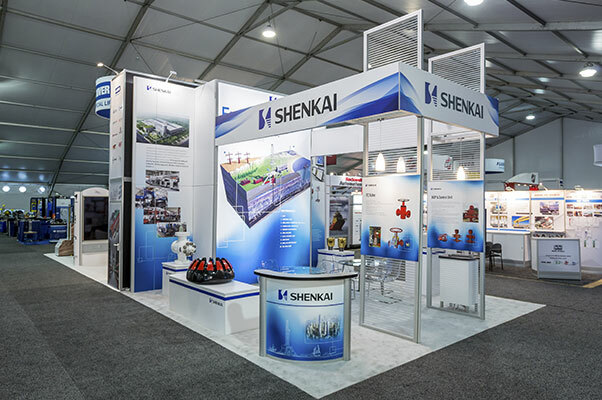 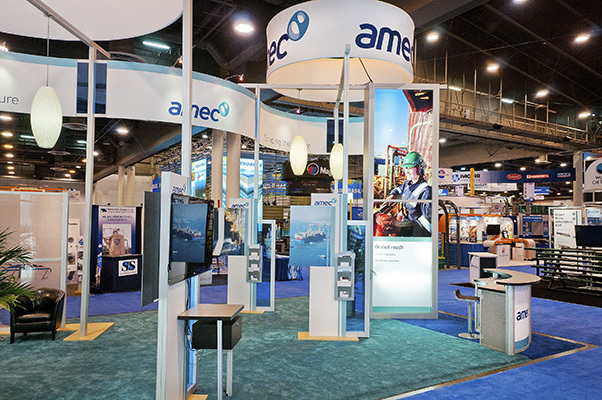 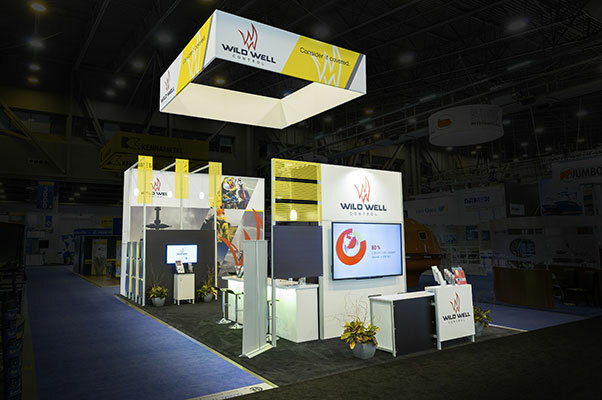 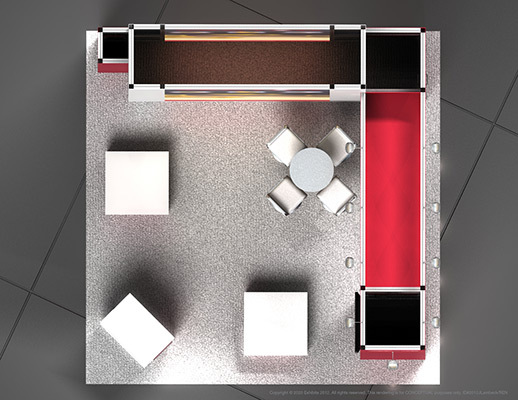 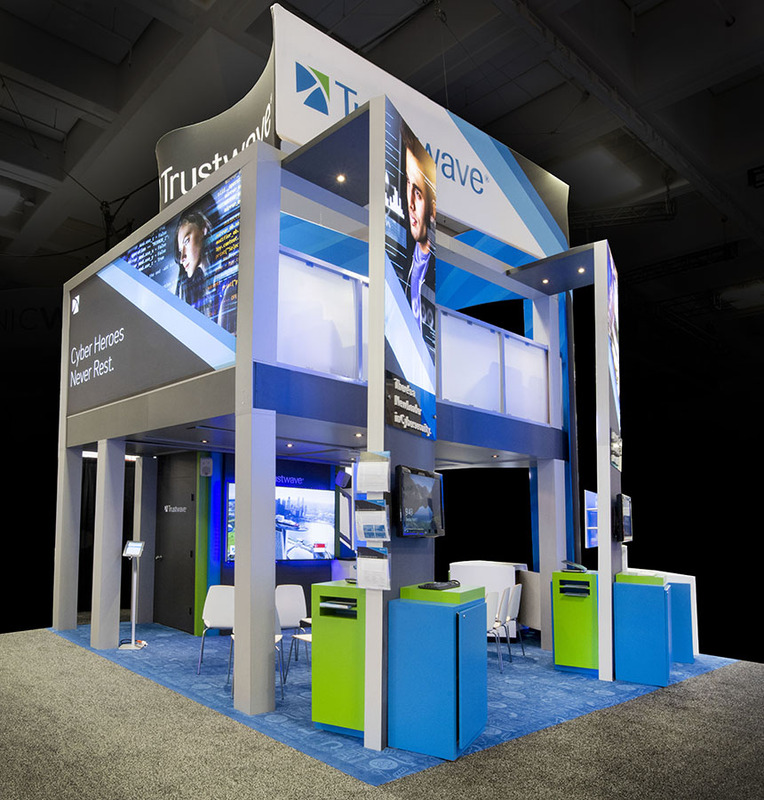 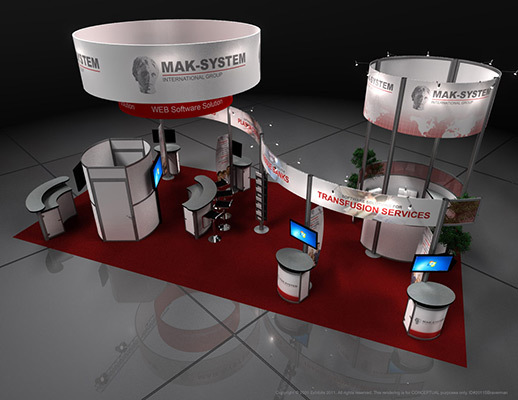 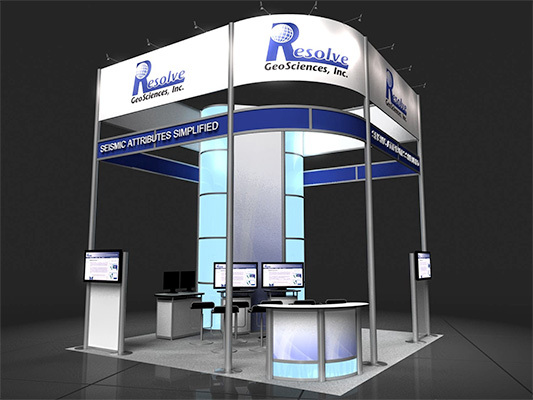 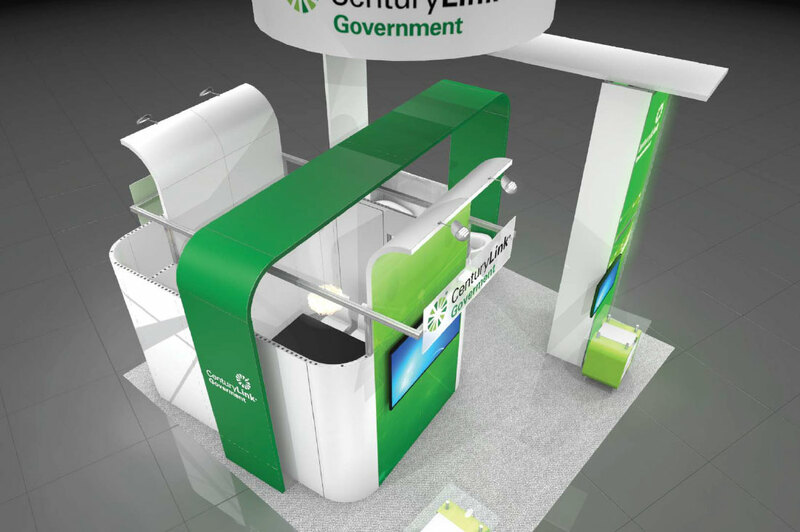 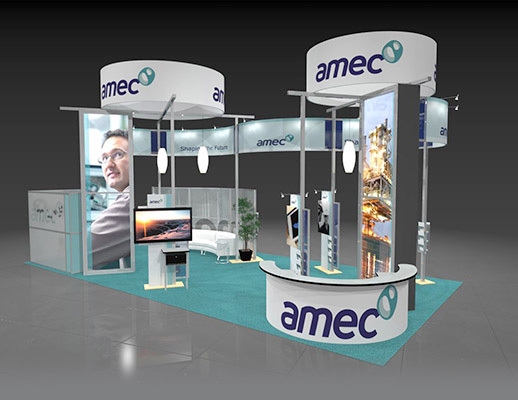 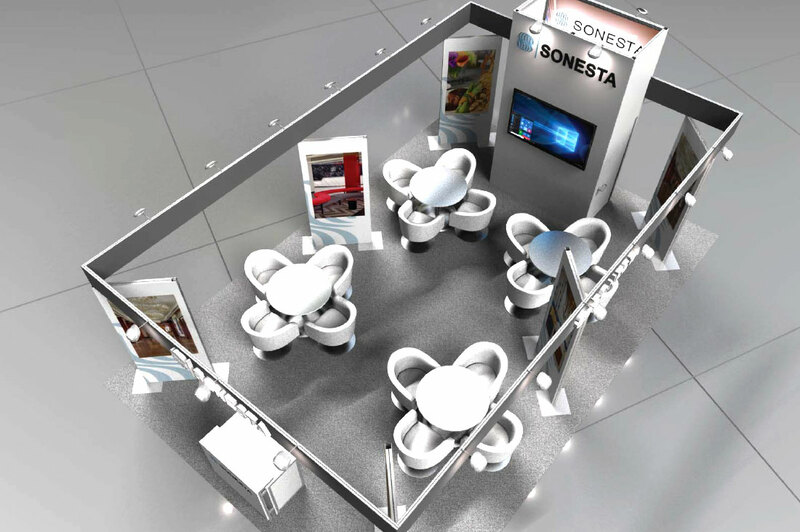 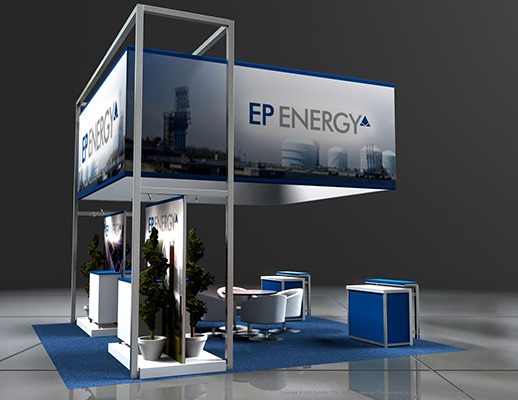 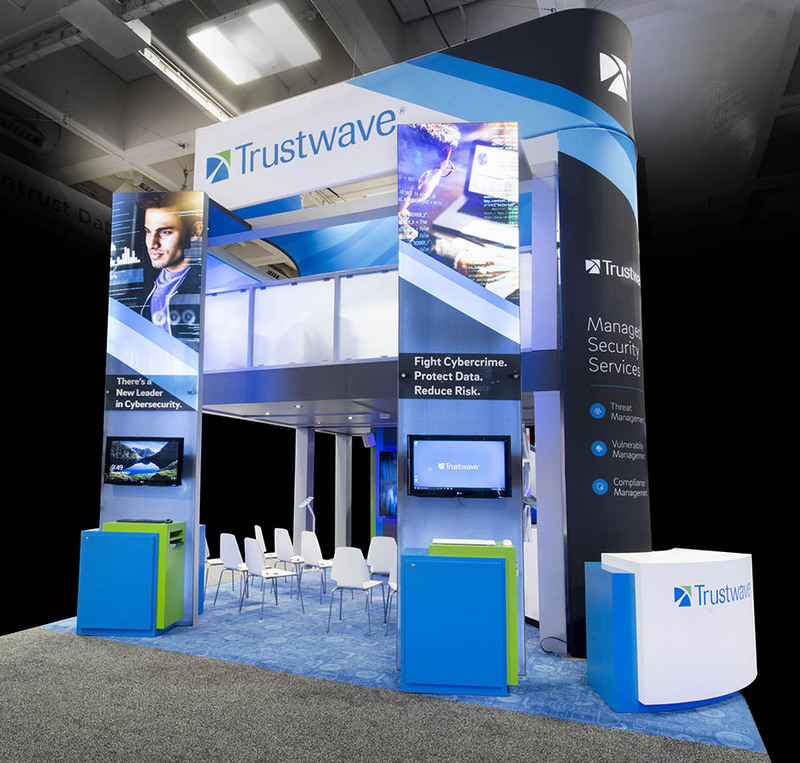 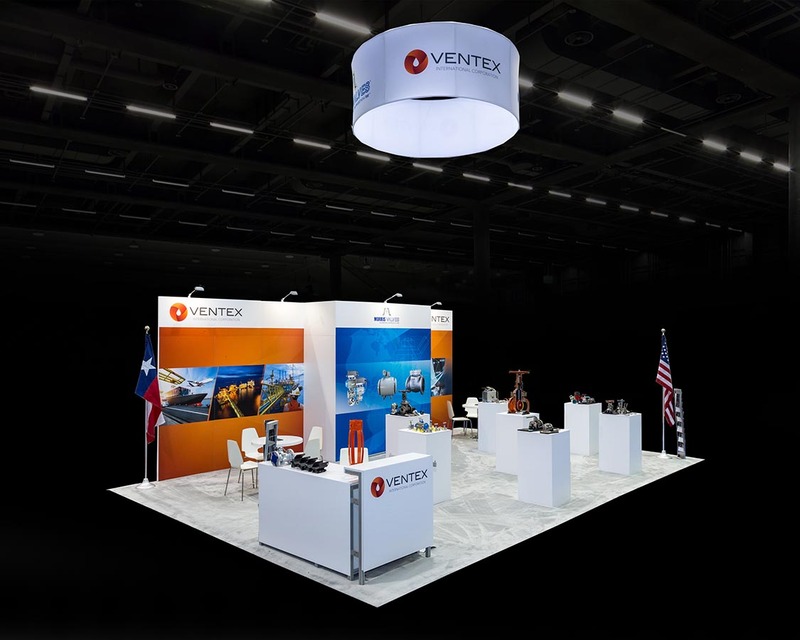 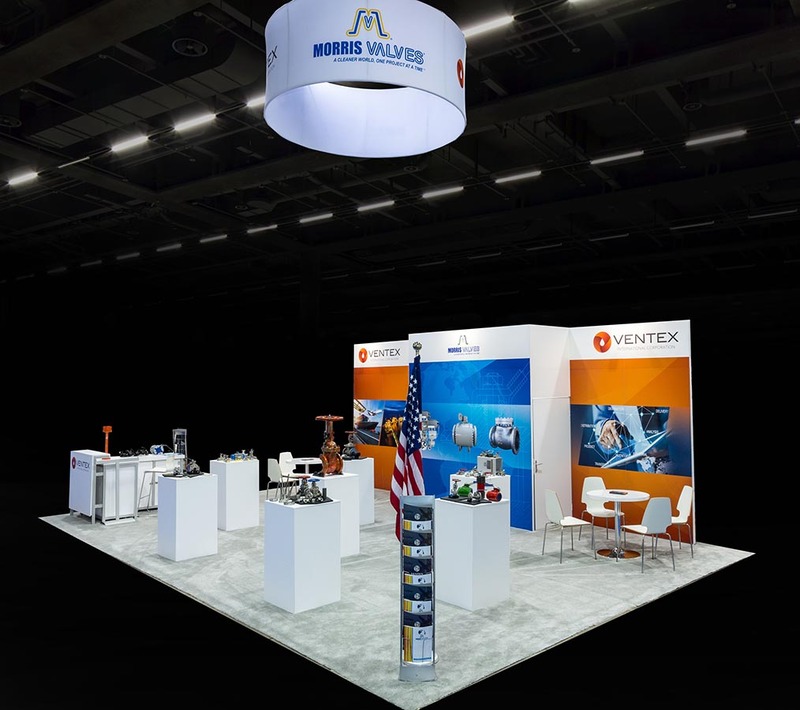 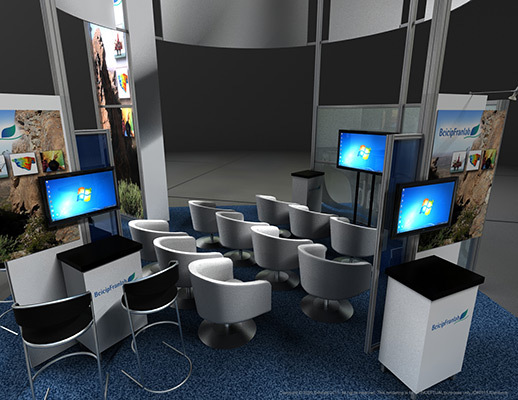 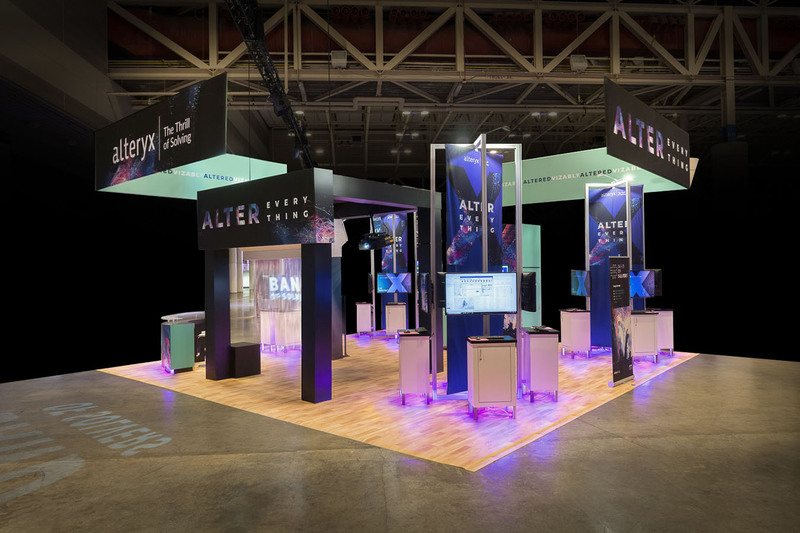 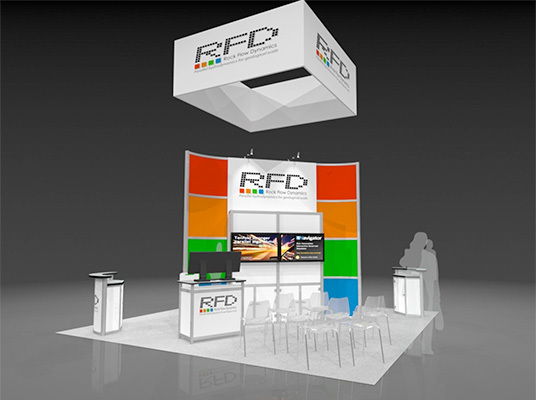 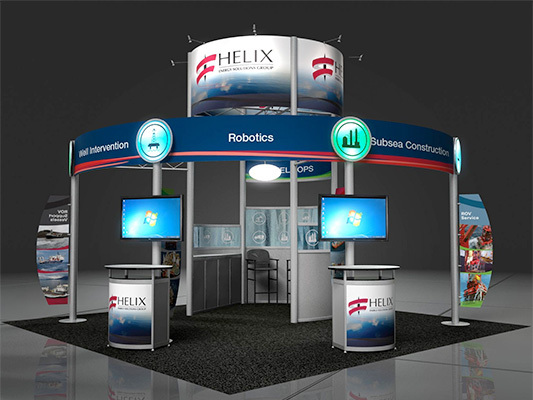 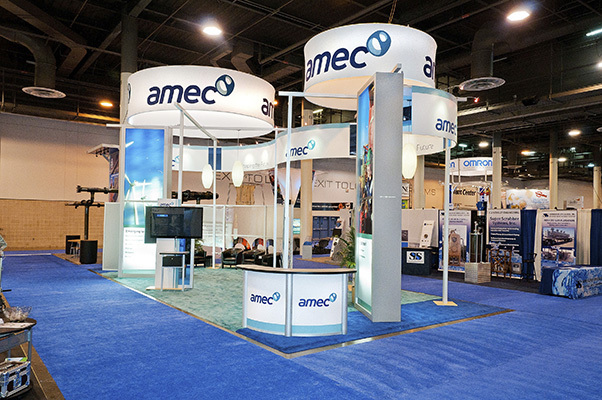 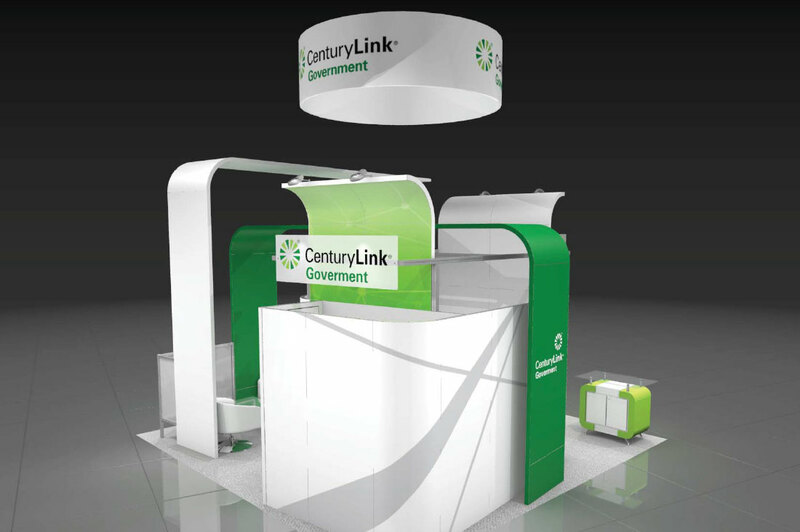 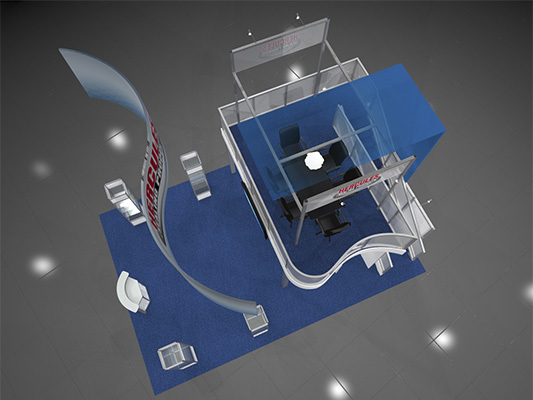 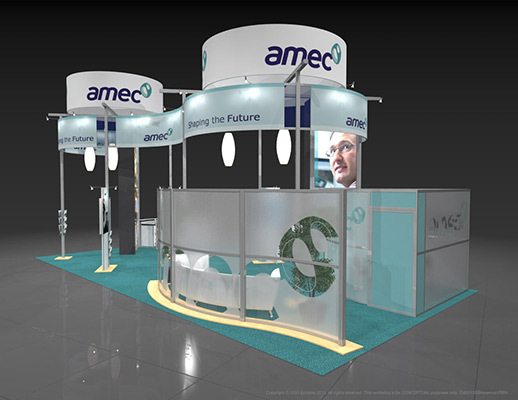 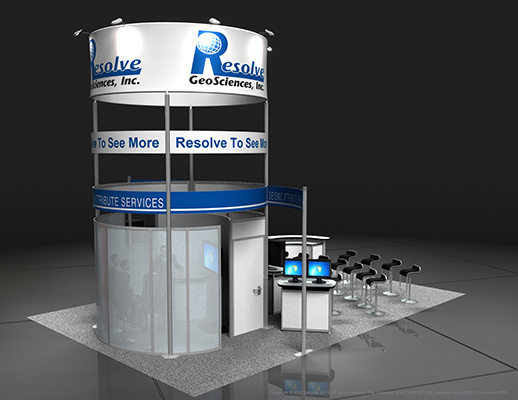 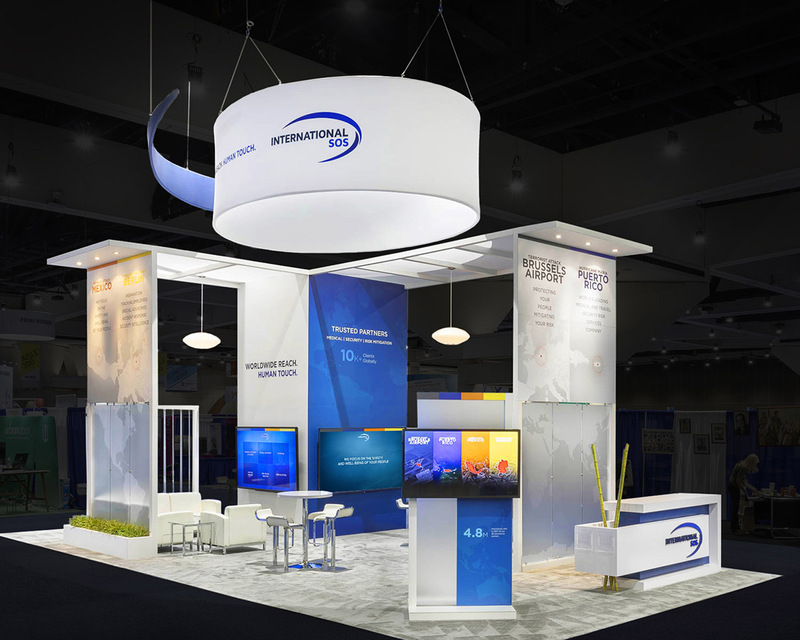 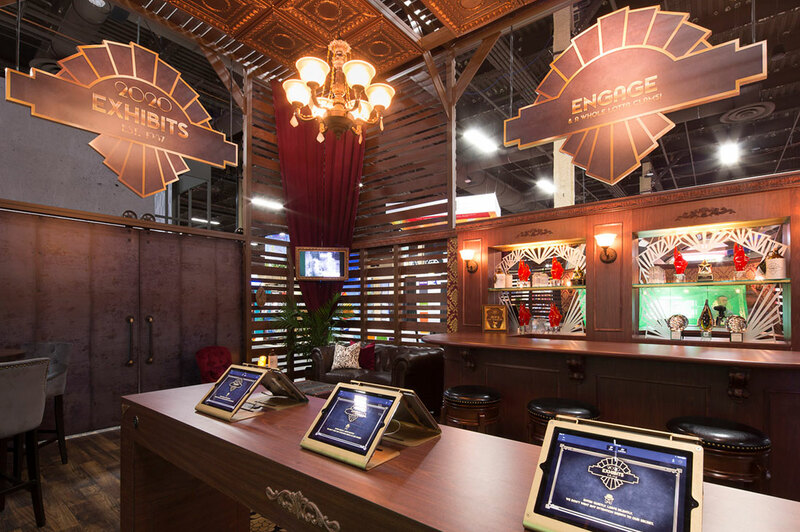 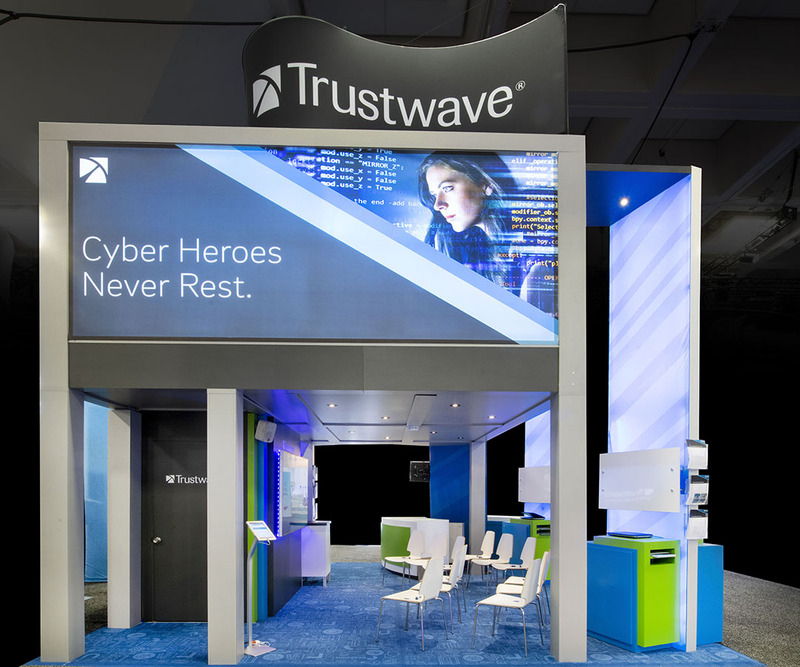 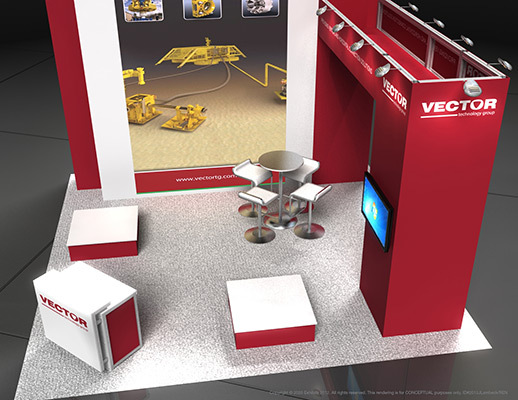 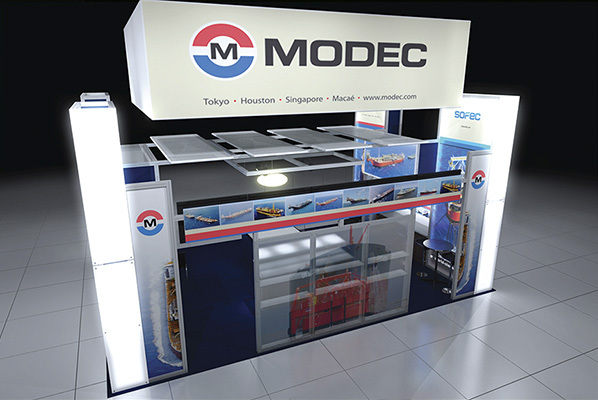 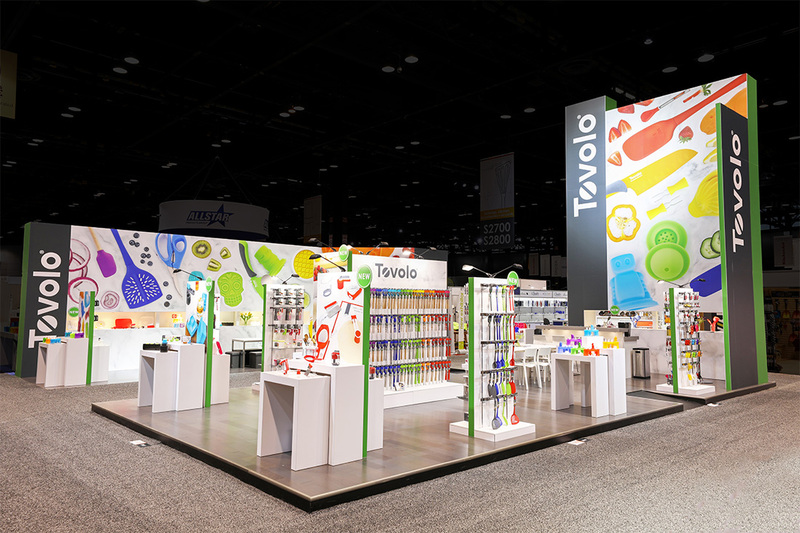 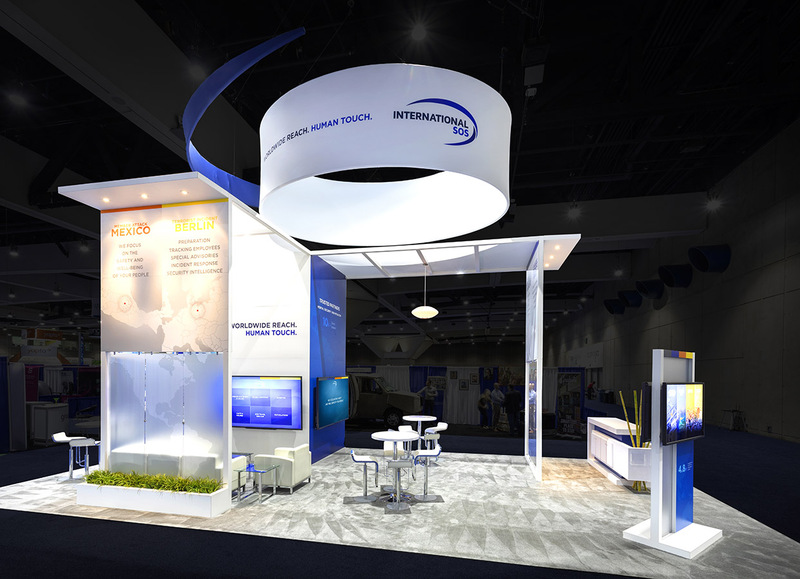 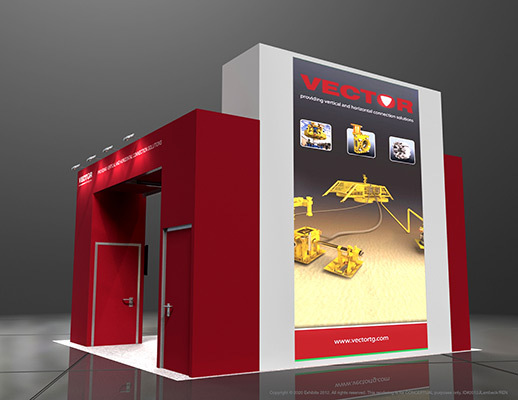 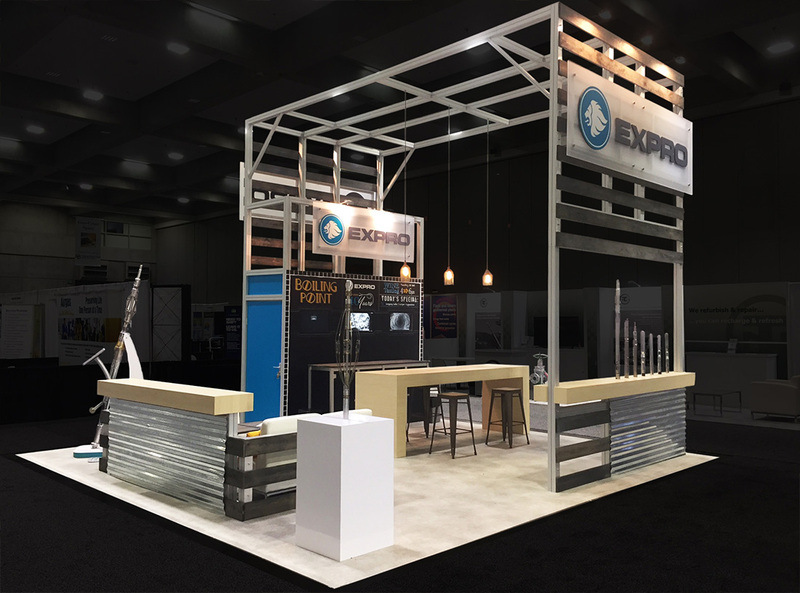 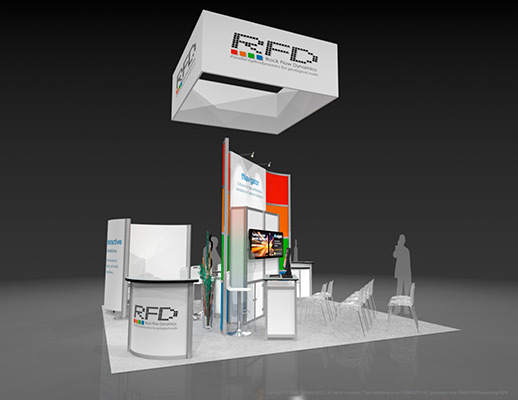 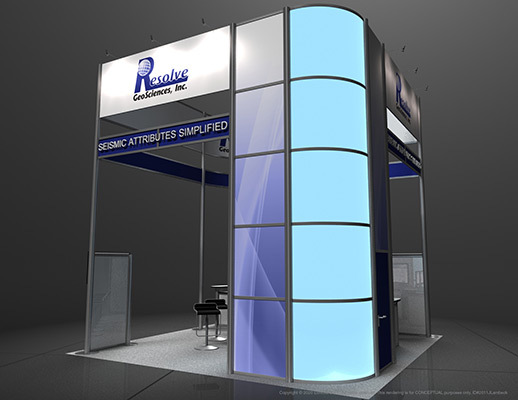 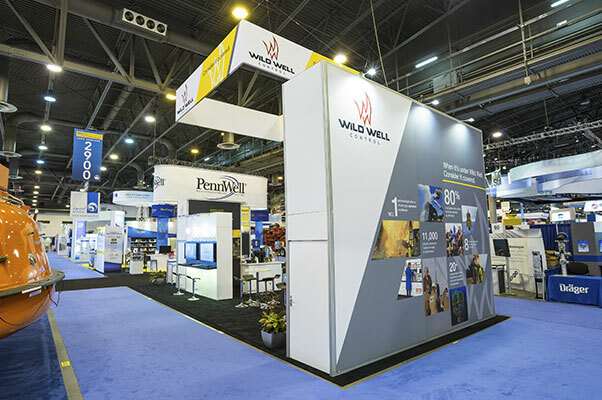 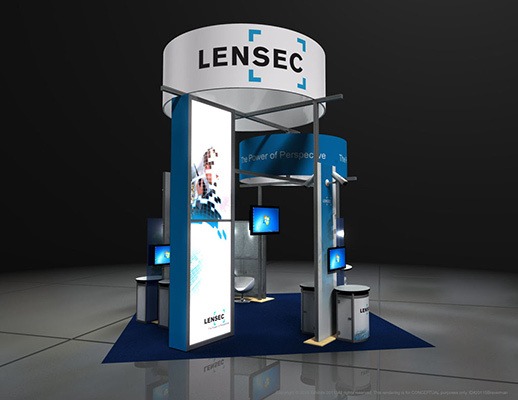 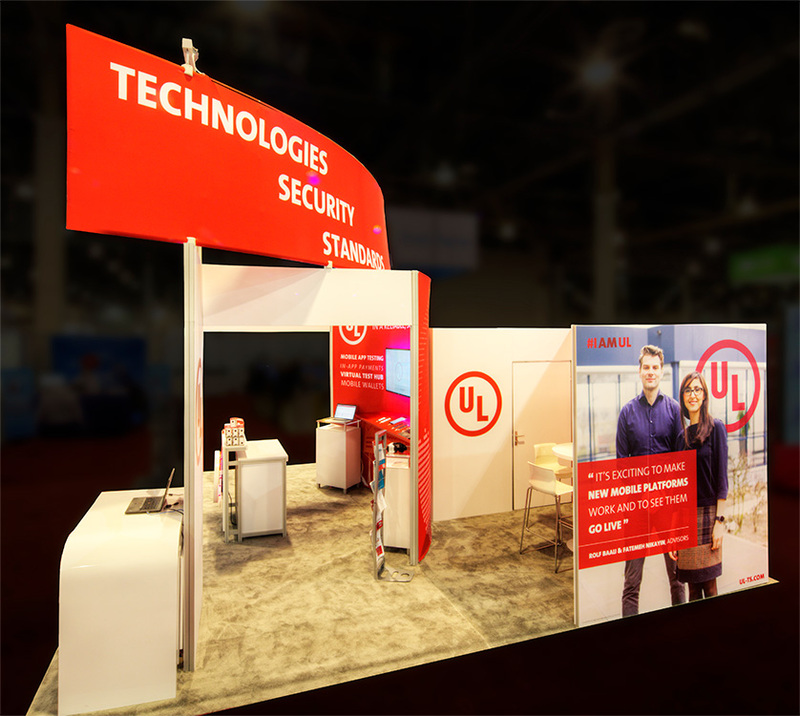 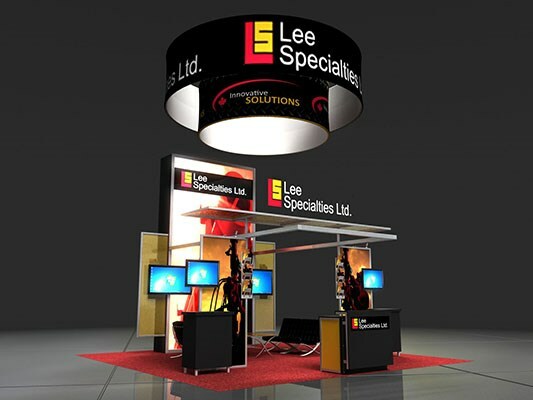 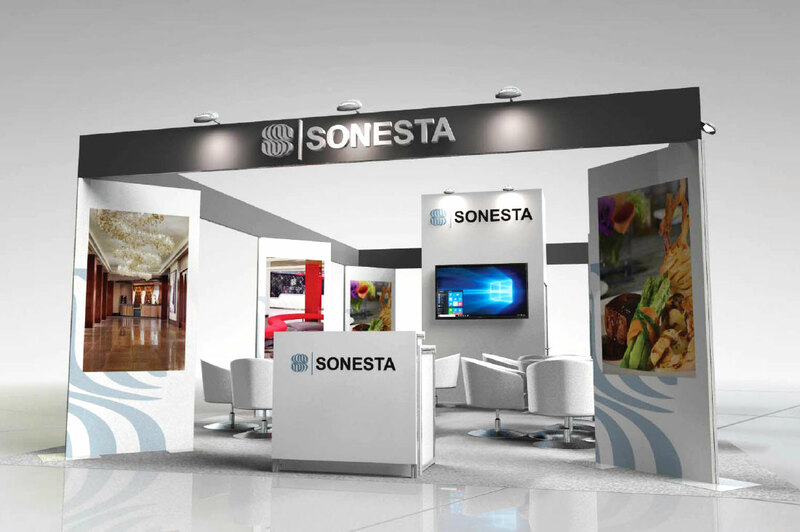 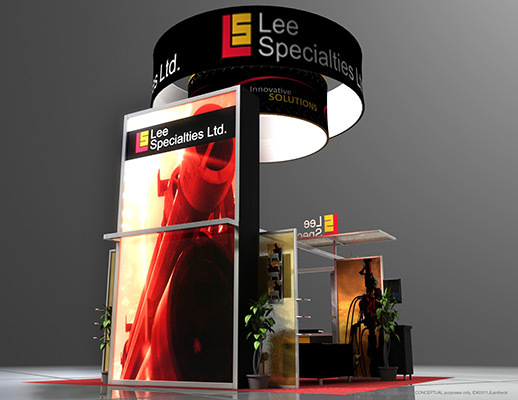 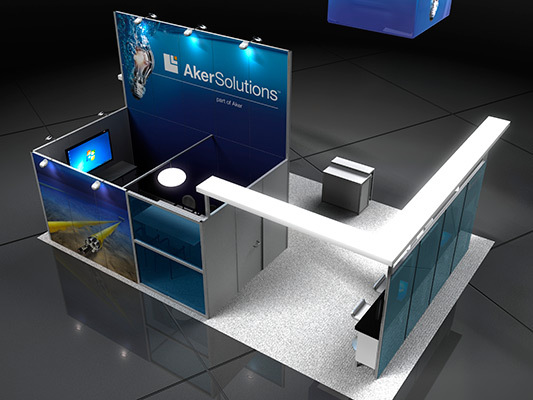 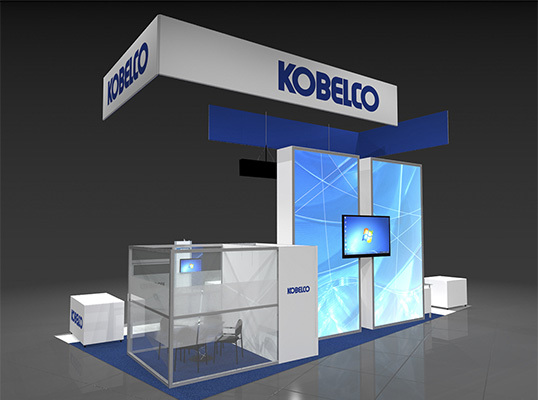 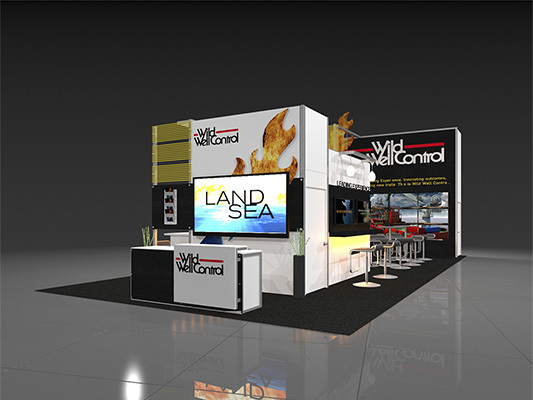 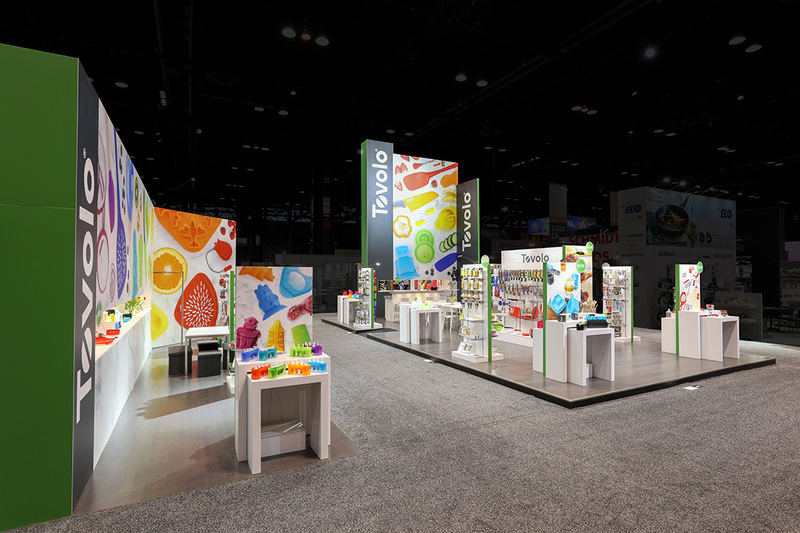 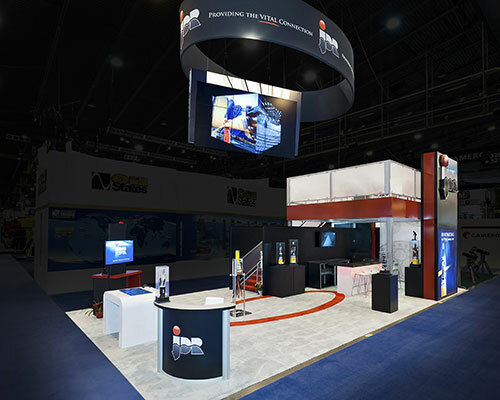 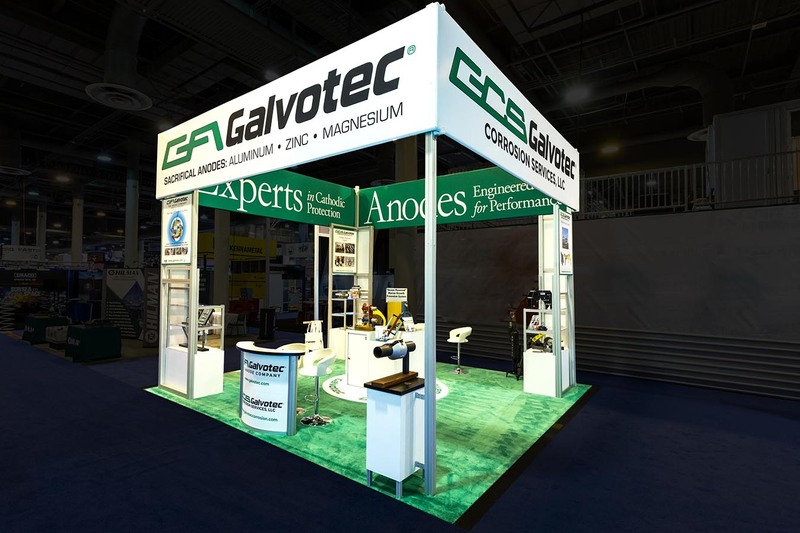 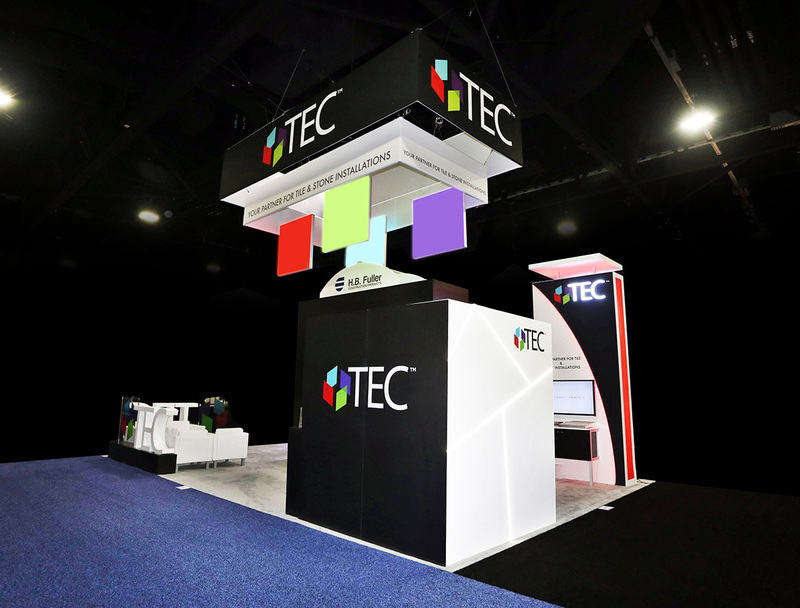 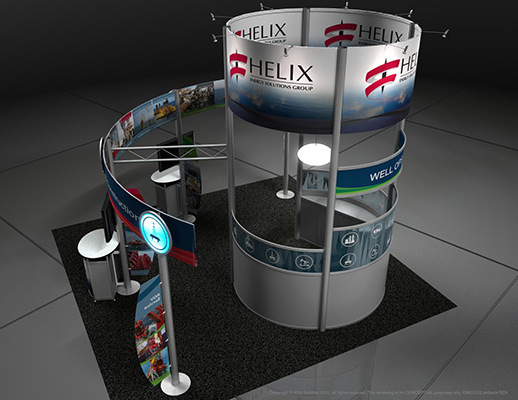 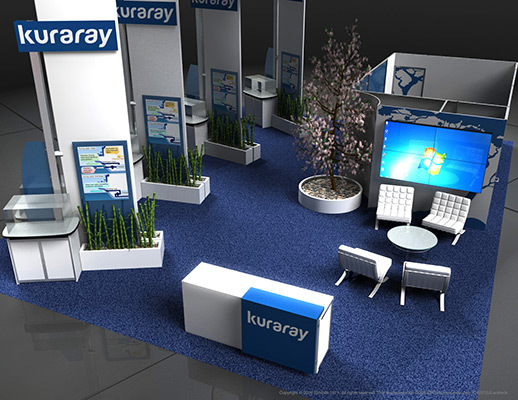 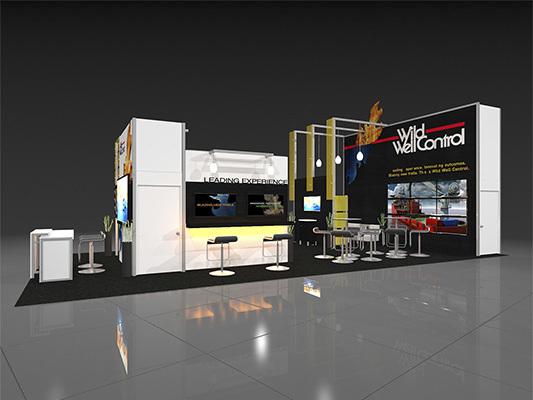 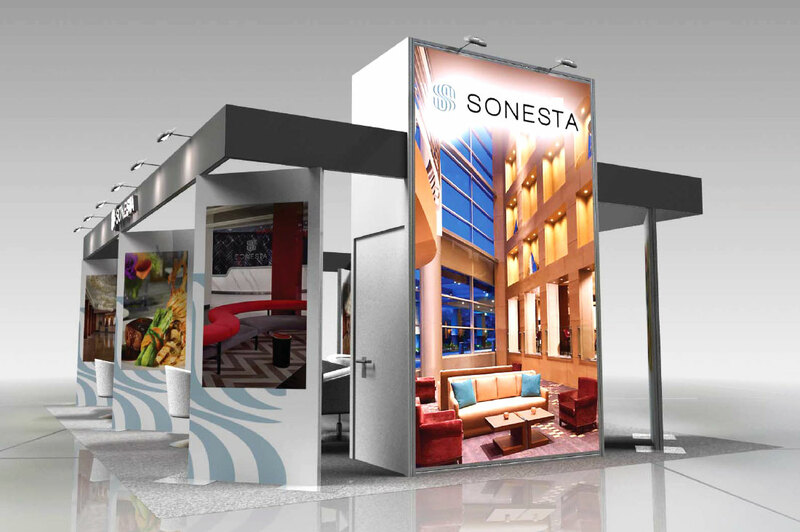 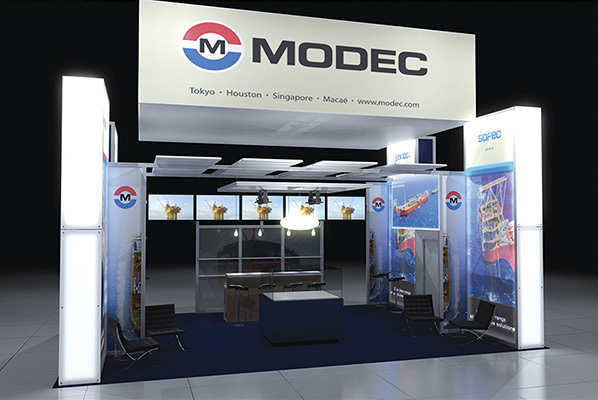 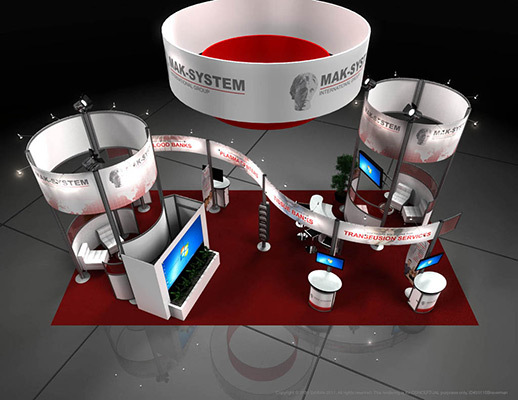 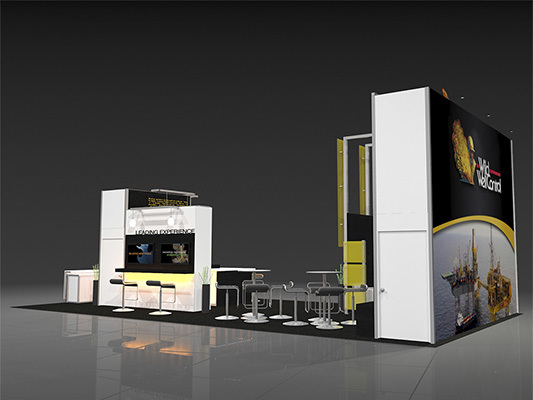 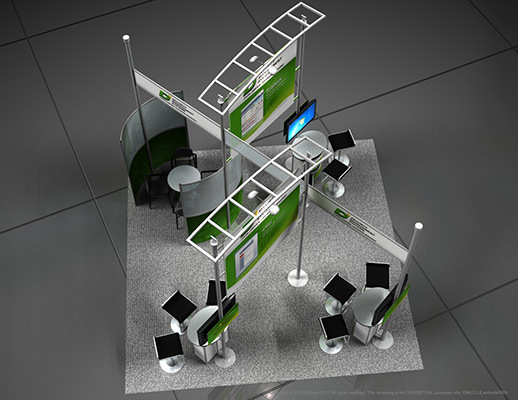 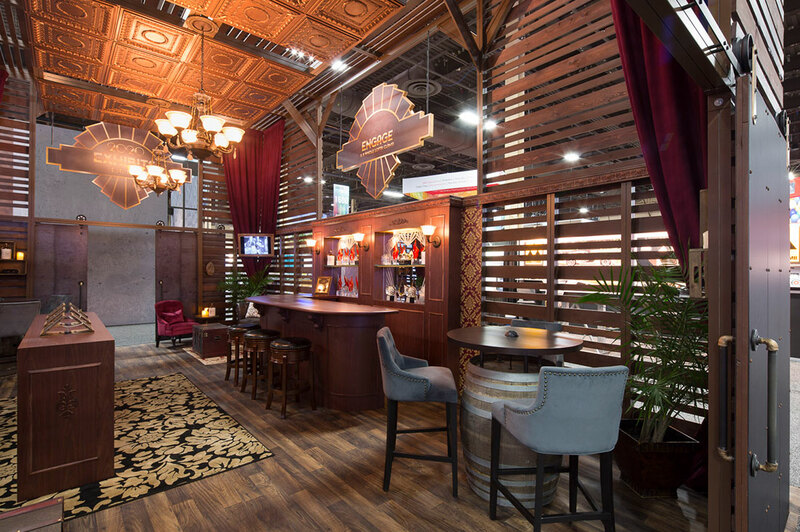 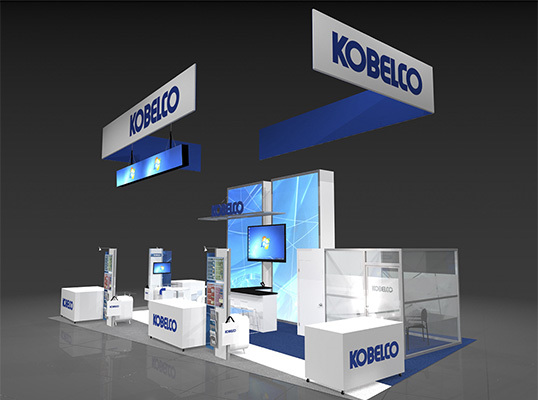 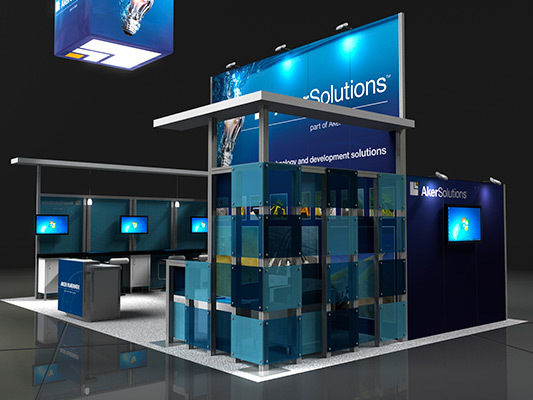 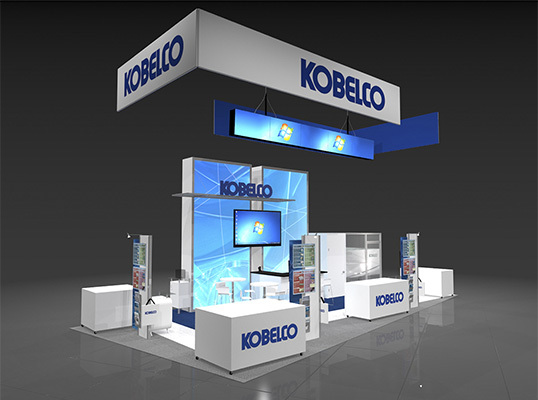 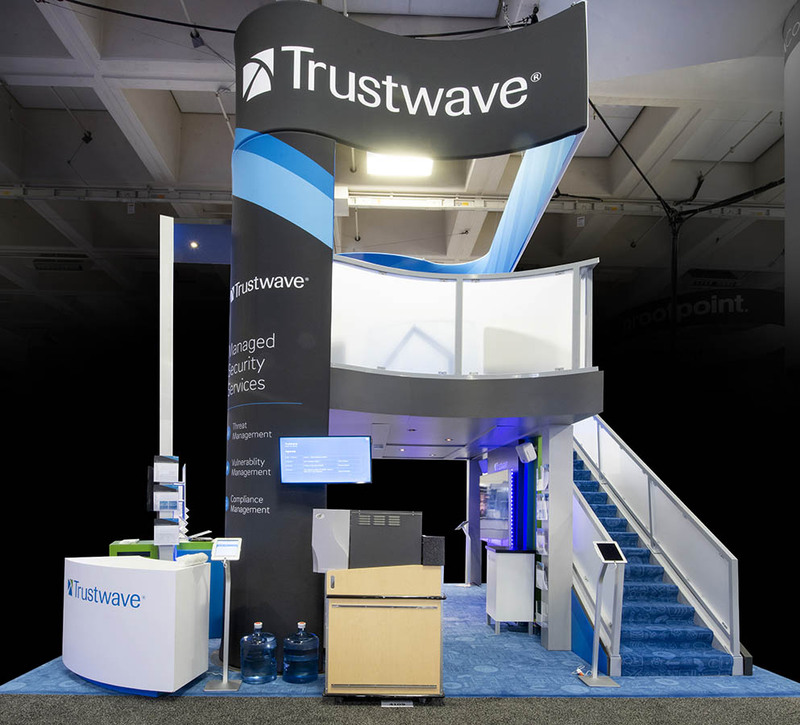 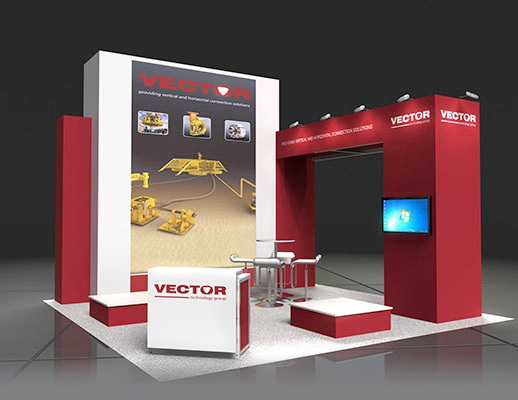 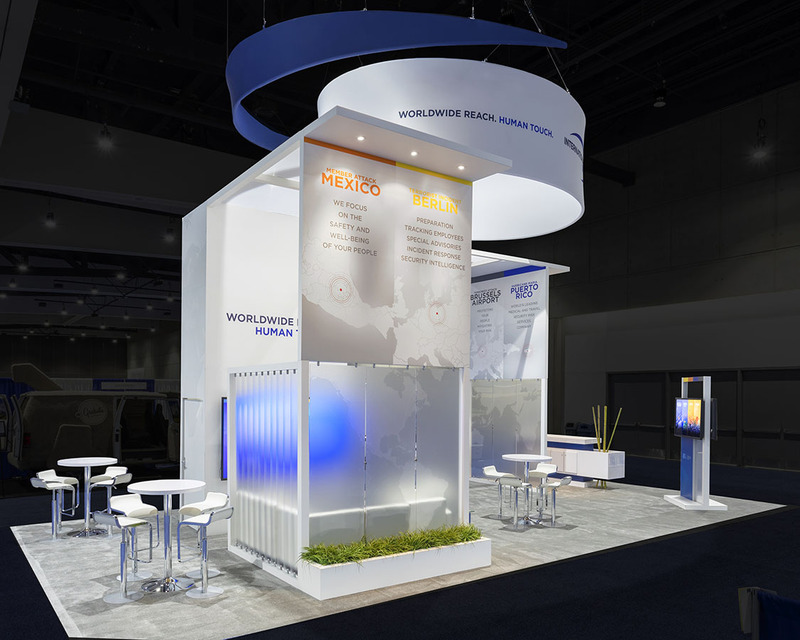 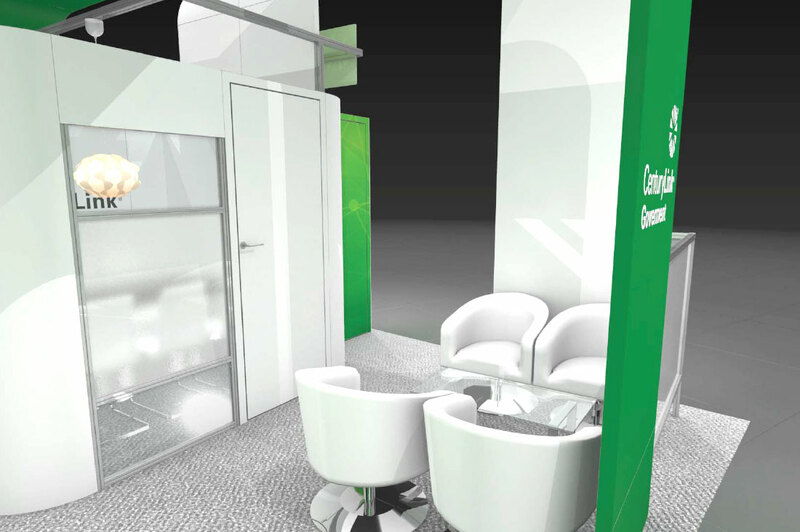 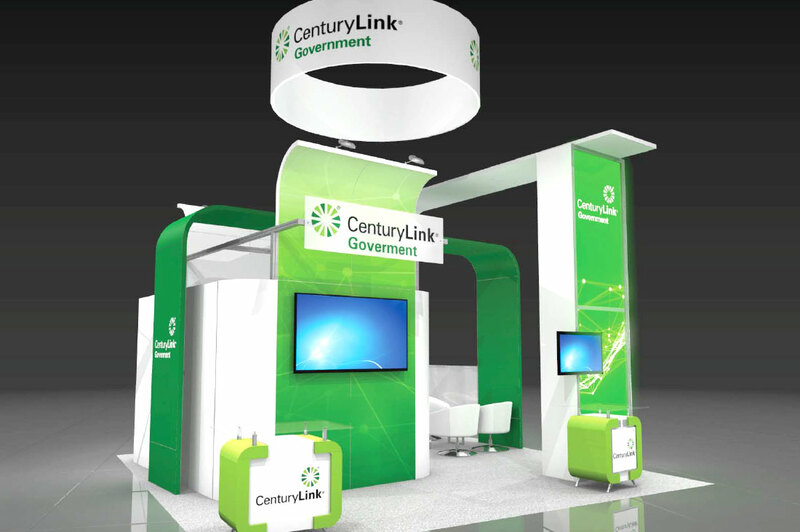 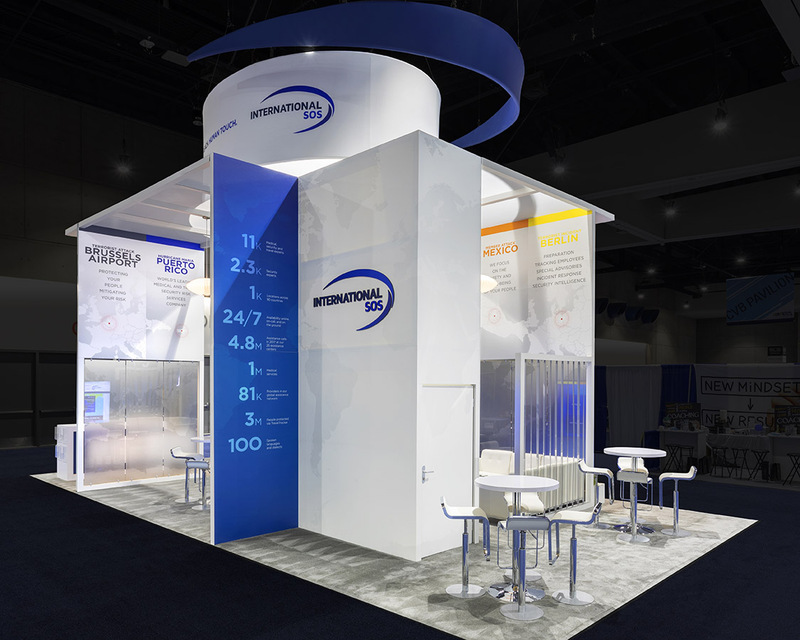 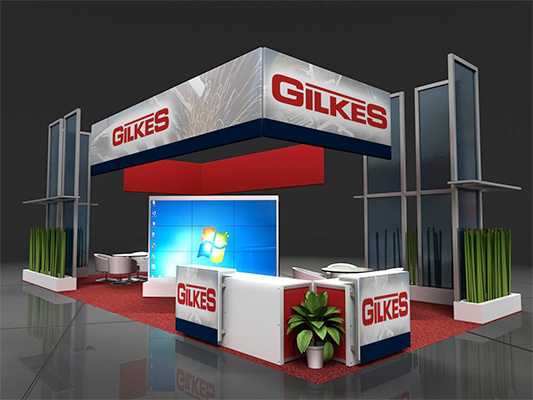 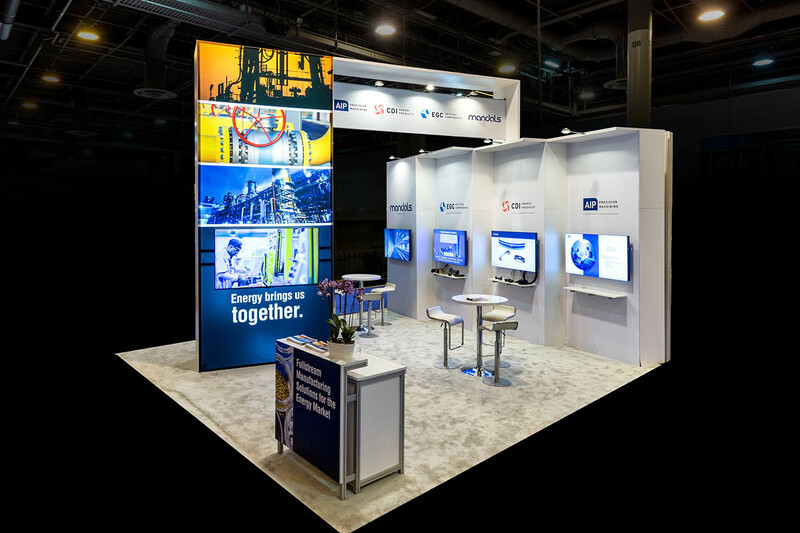 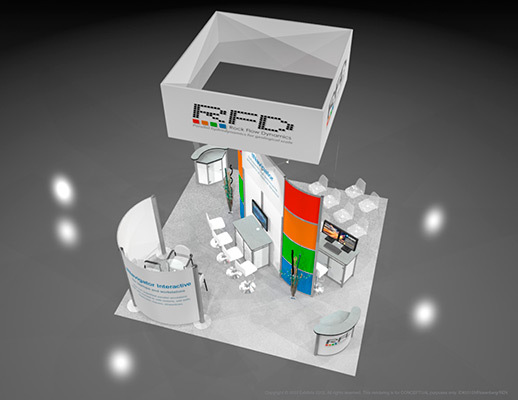 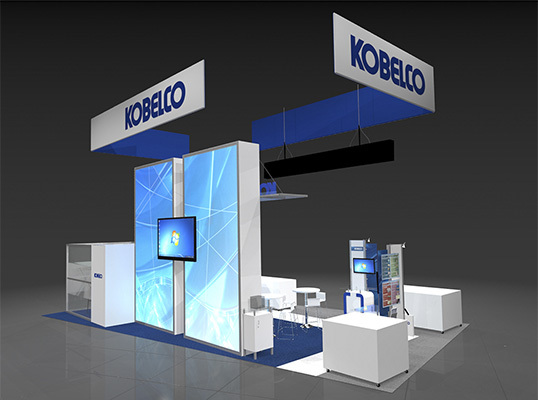 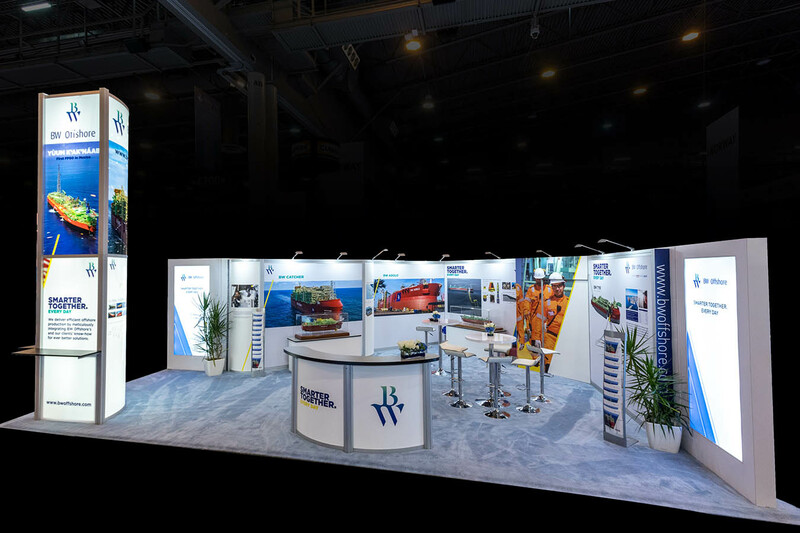 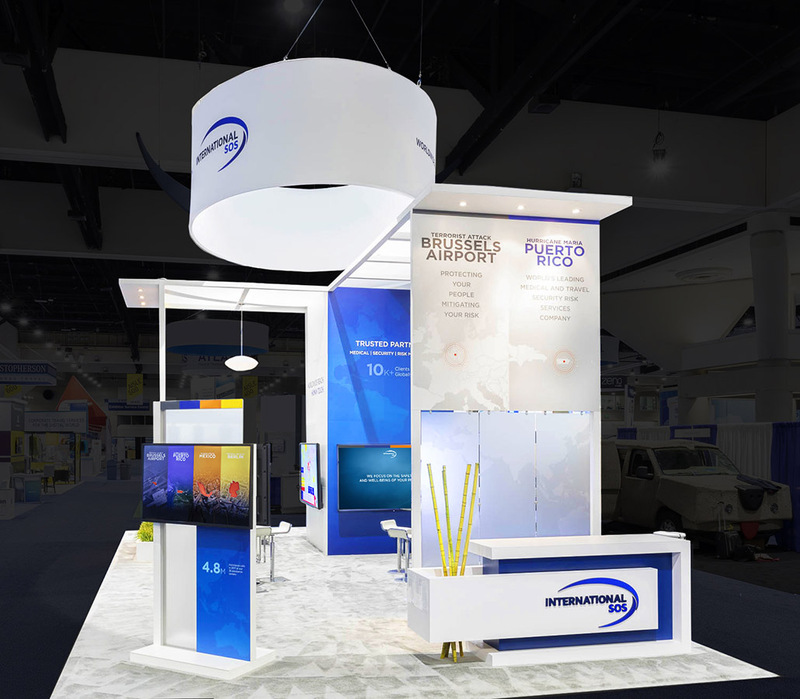 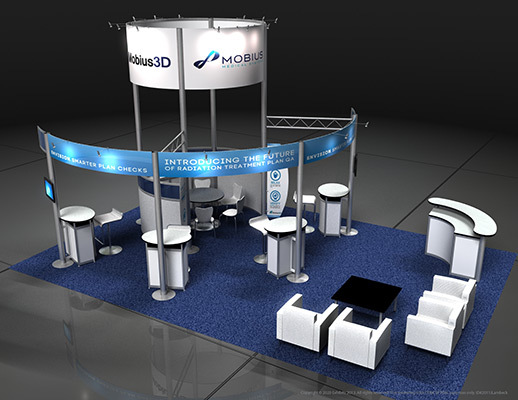 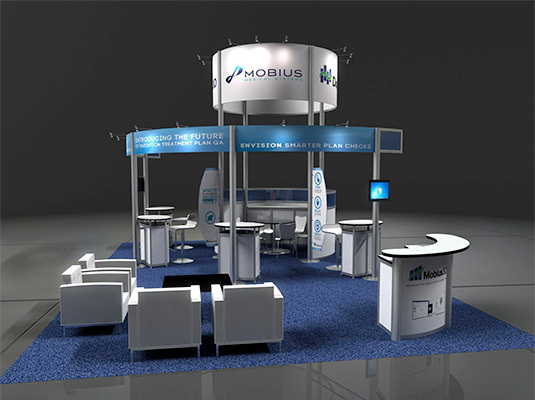 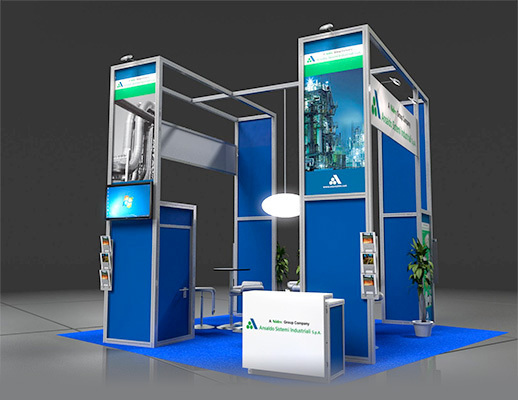 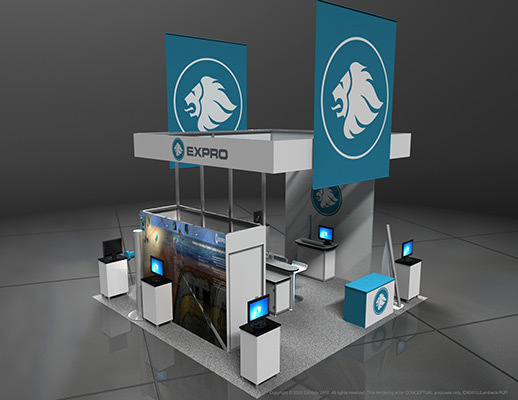 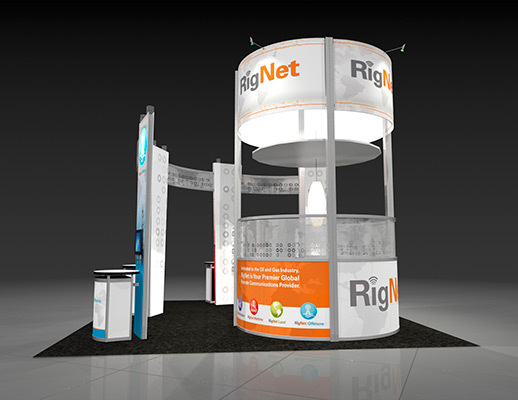 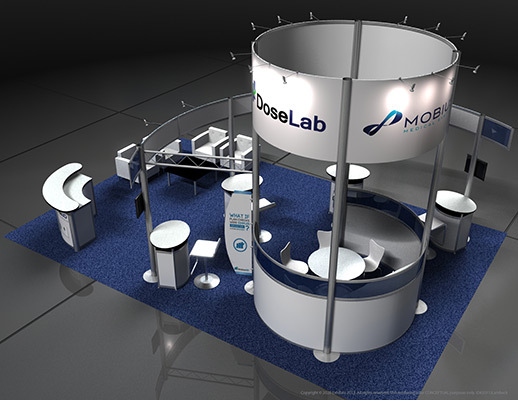 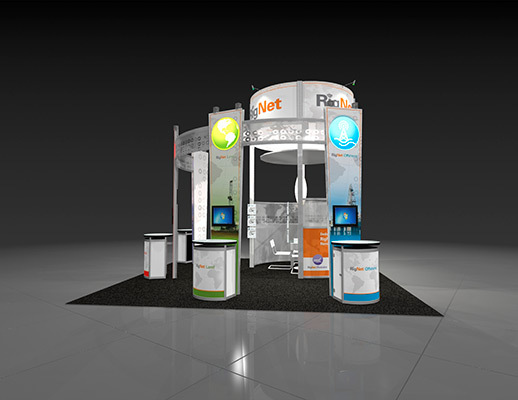 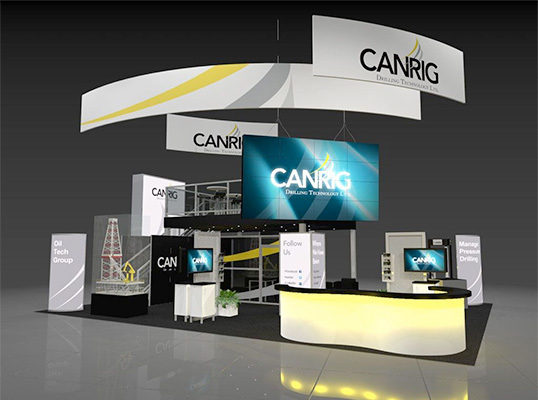 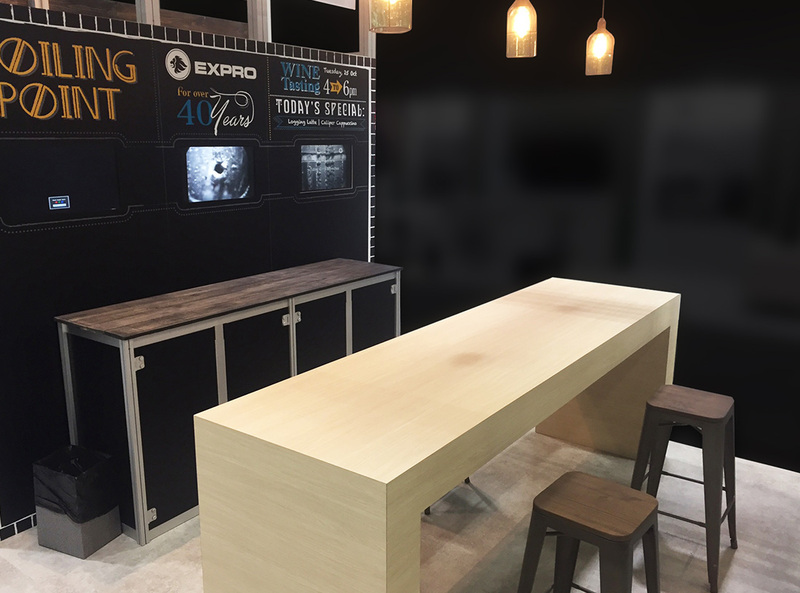 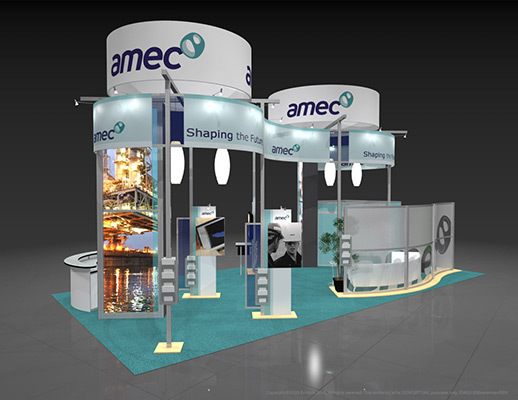 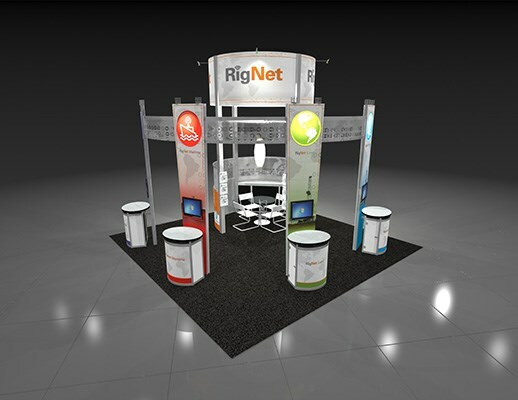 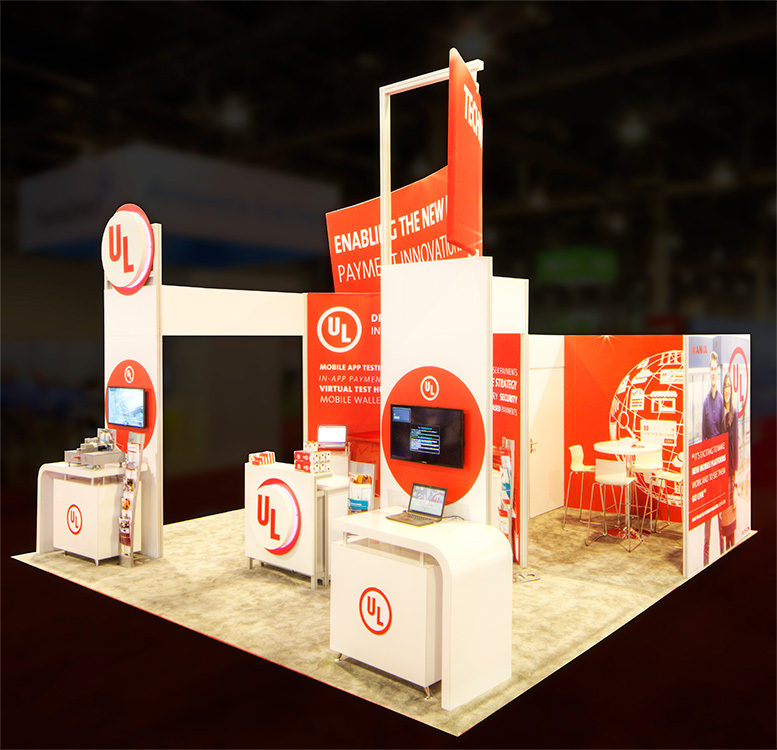 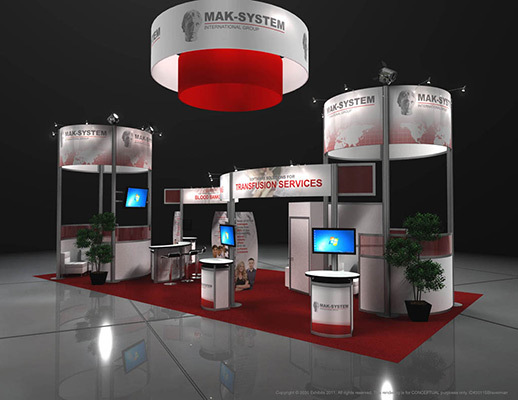 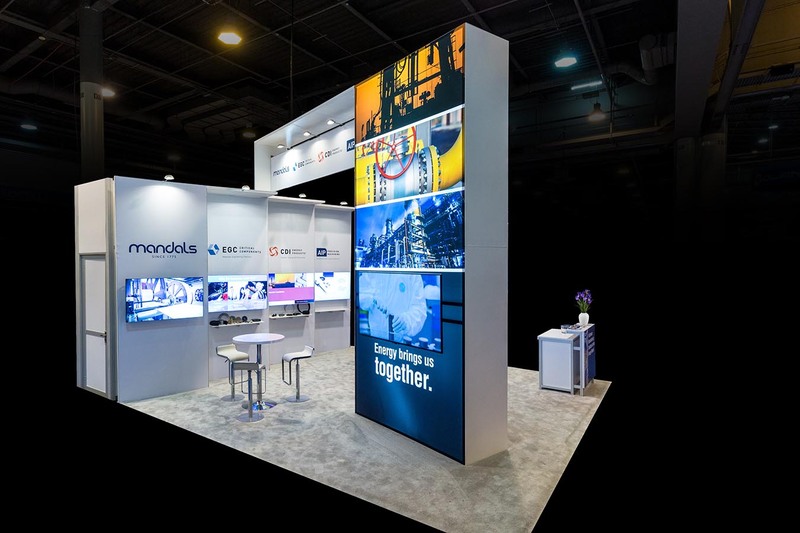 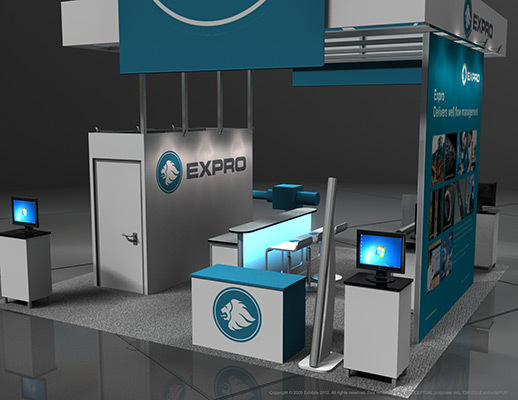 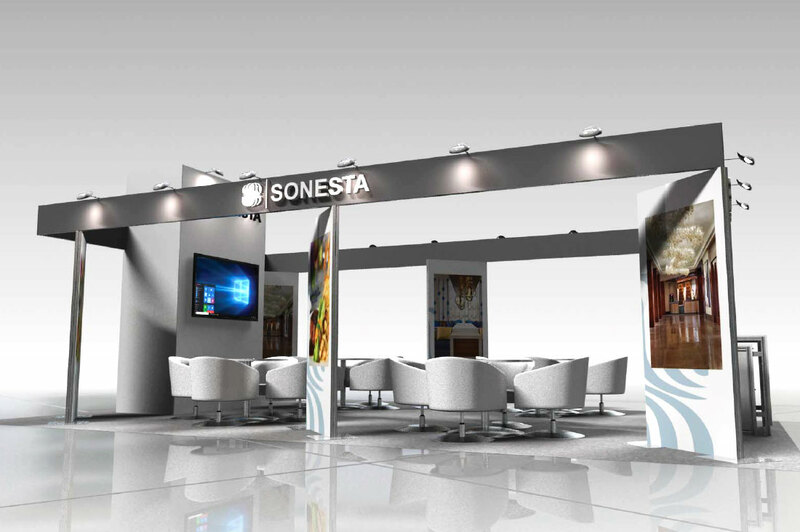 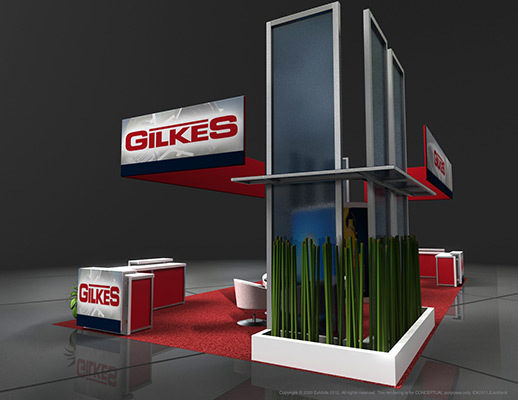 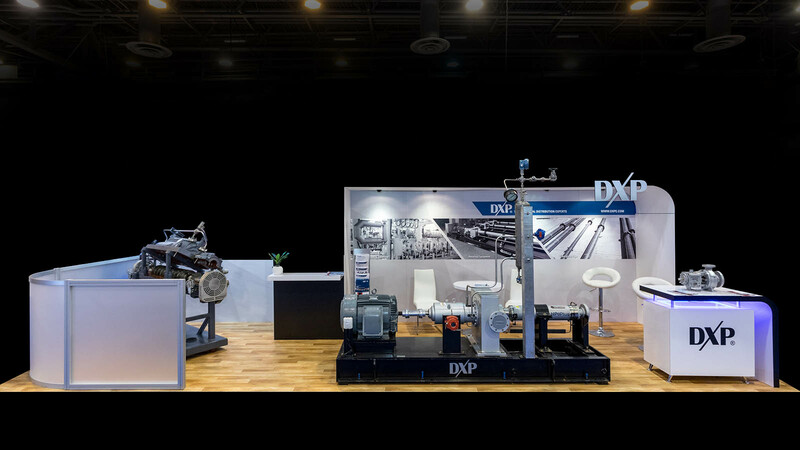 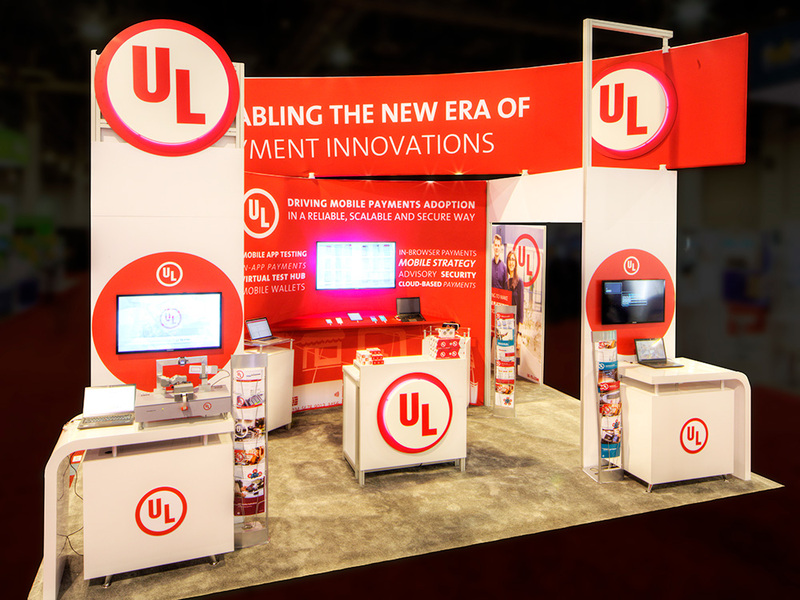 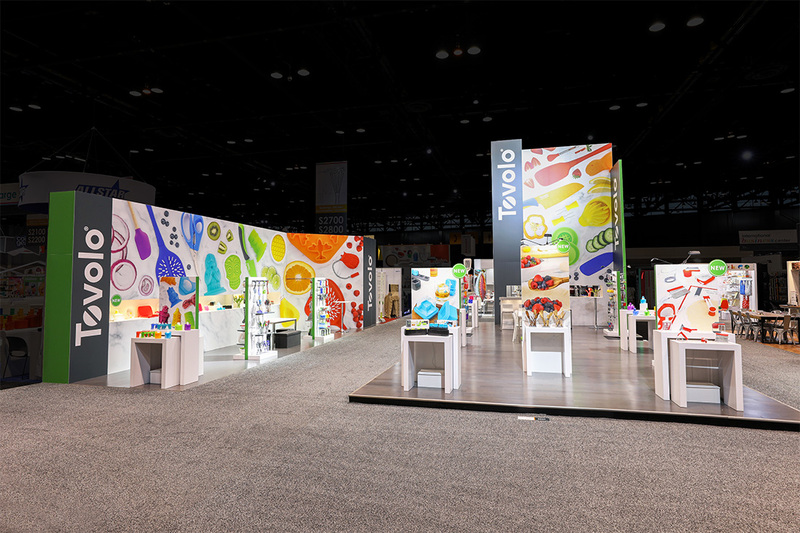 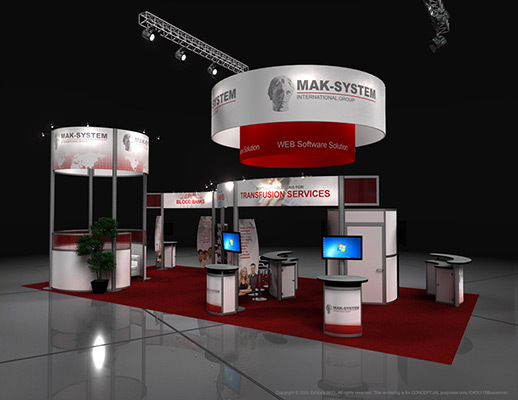 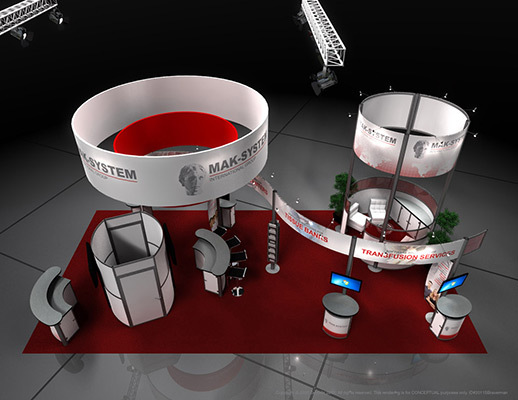 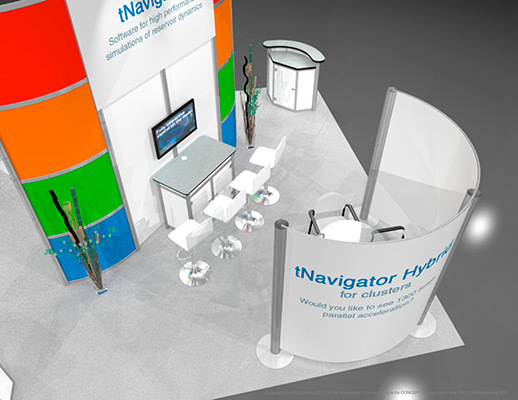 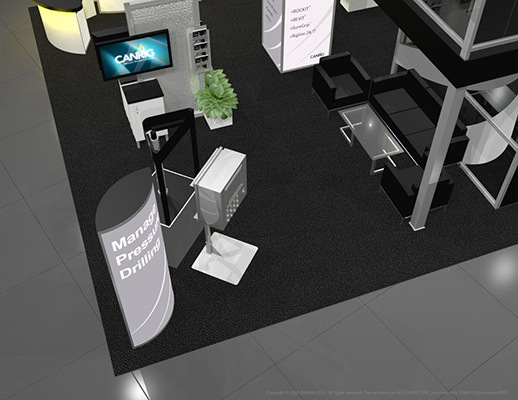 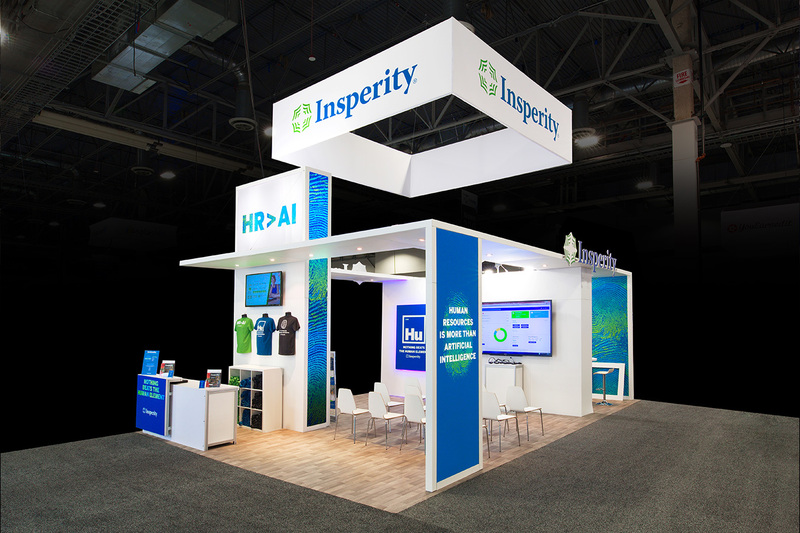 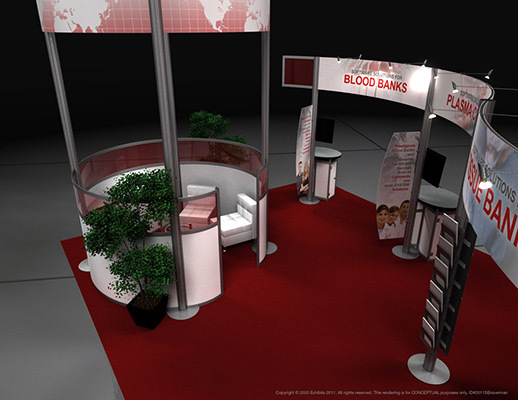 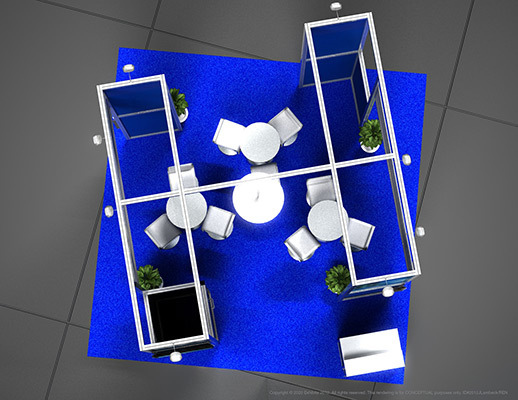 Modern and elegant booth with a bright feel. 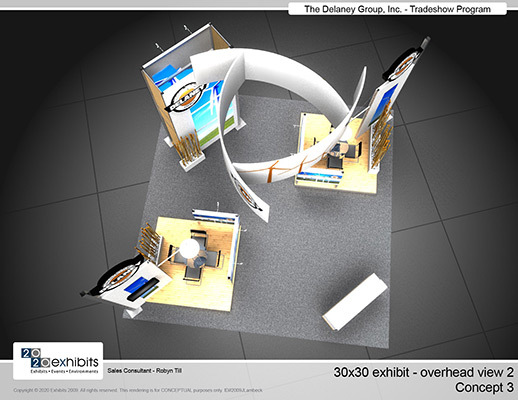 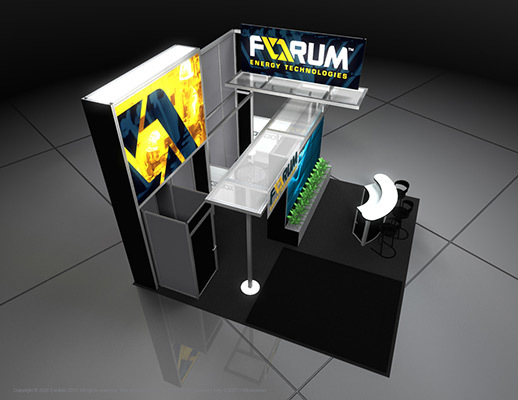 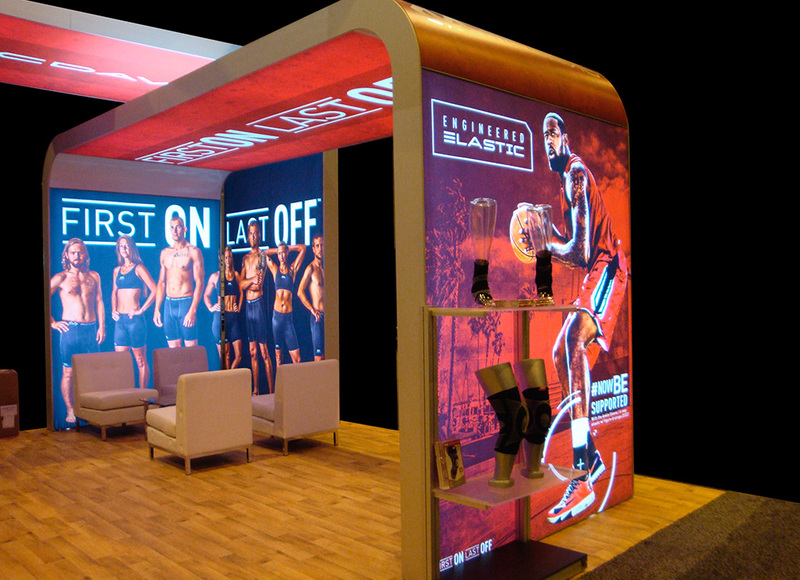 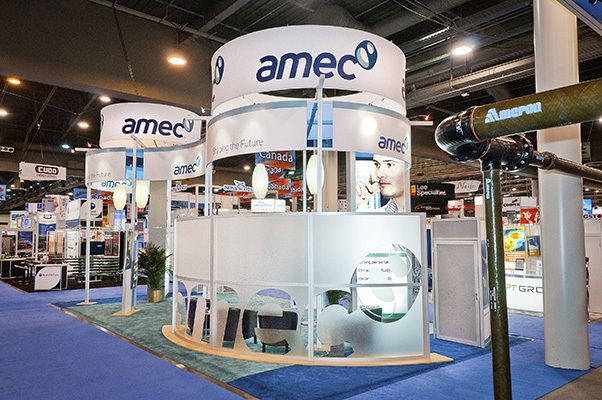 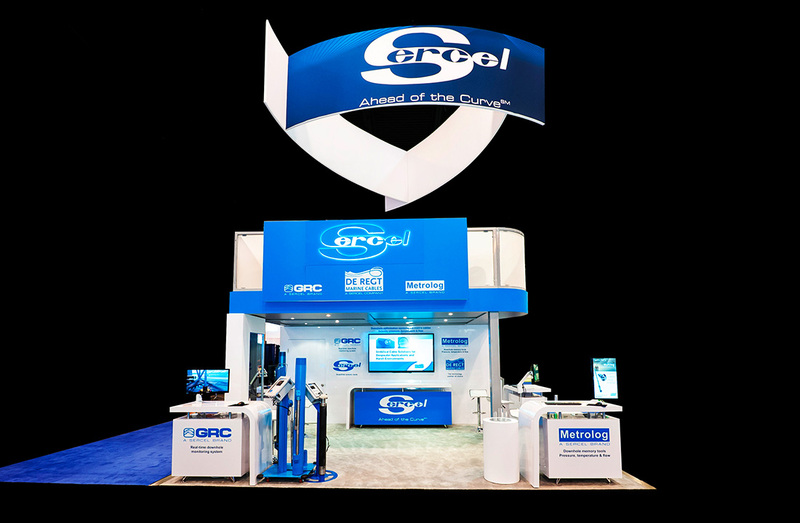 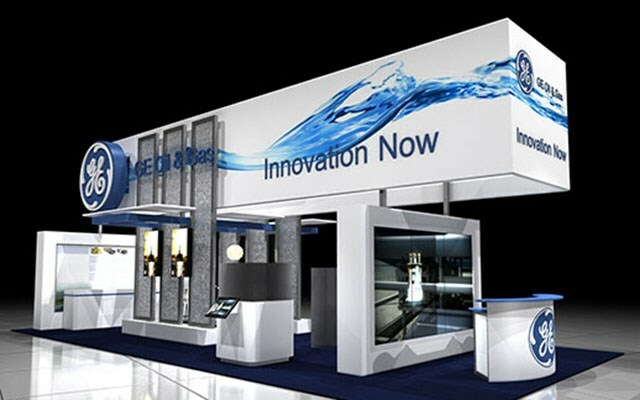 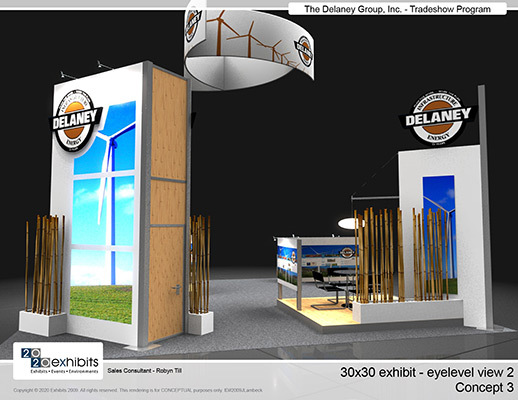 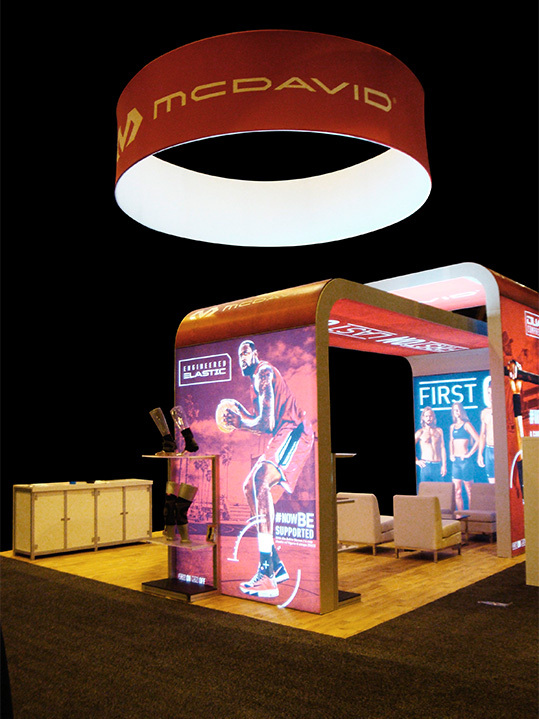 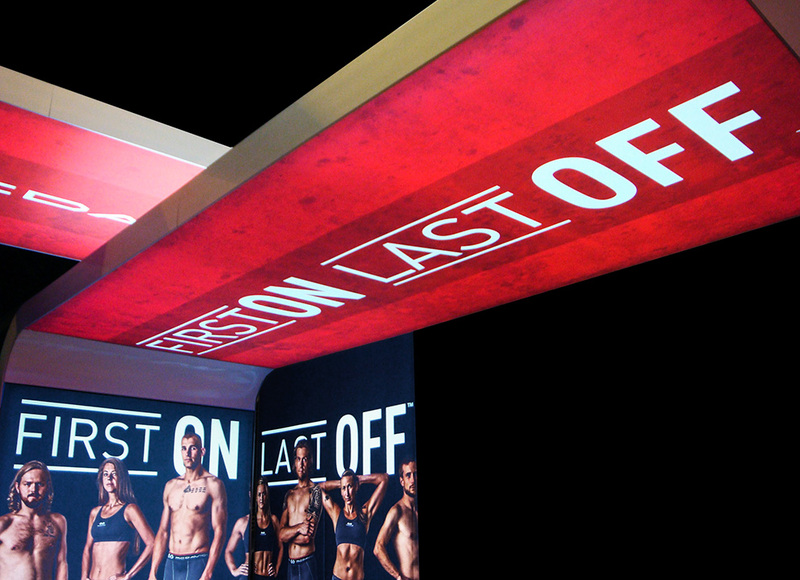 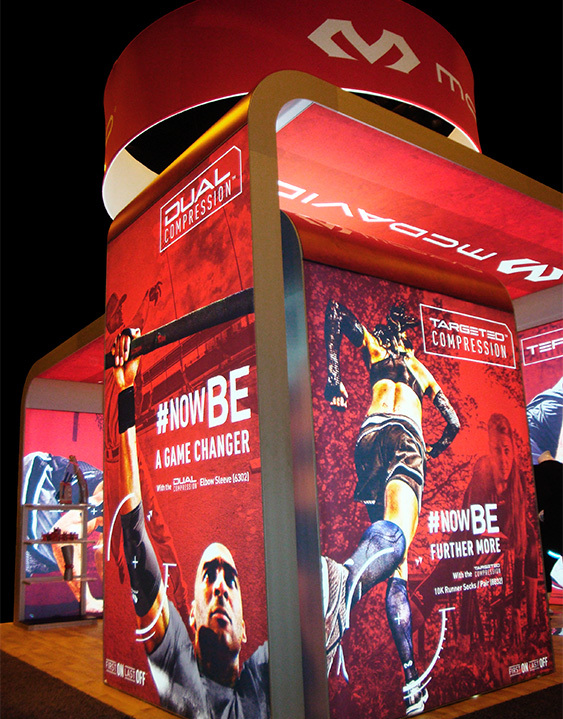 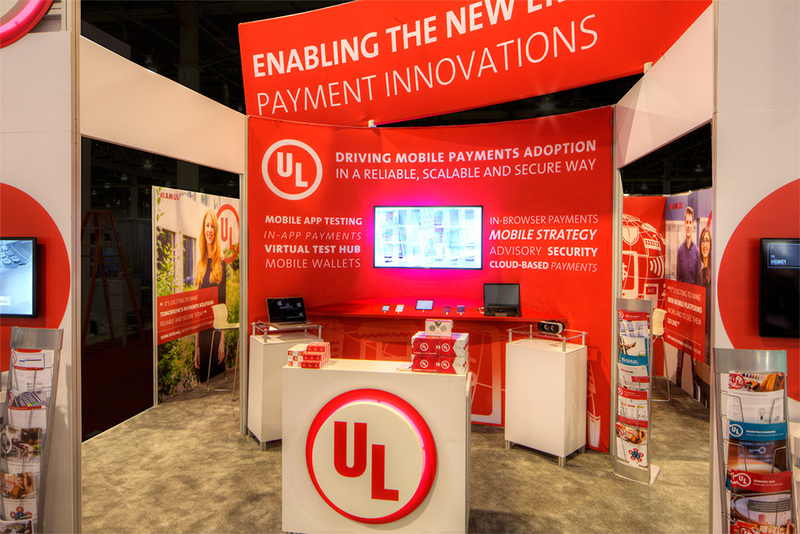 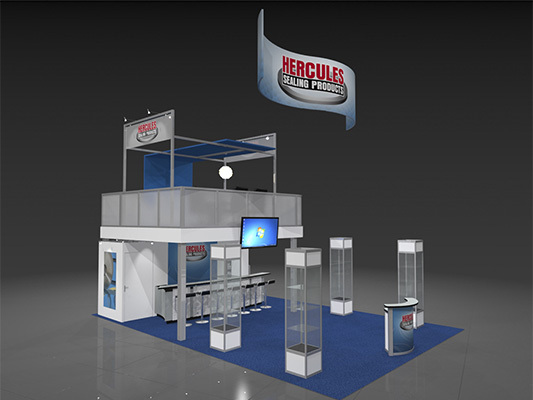 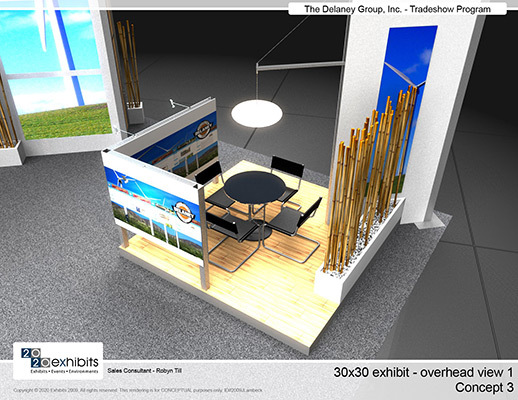 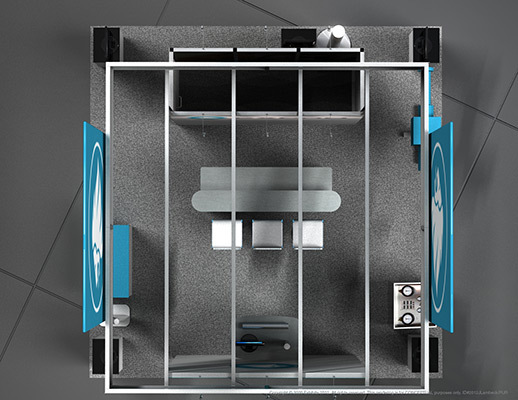 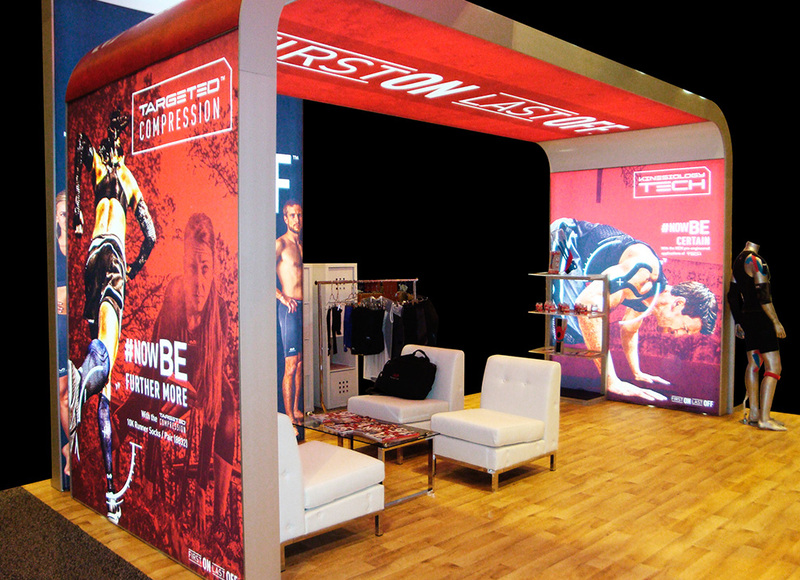 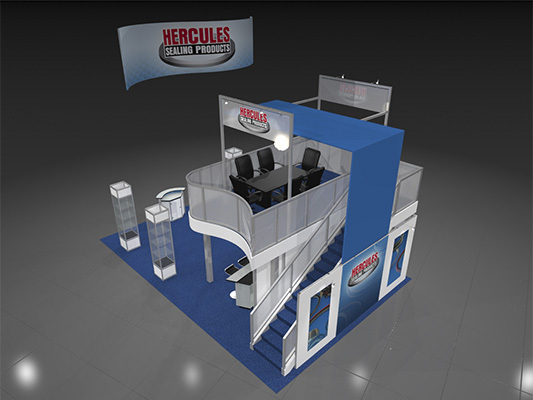 Enclosed at the top with branded signage that wraps around the booth. 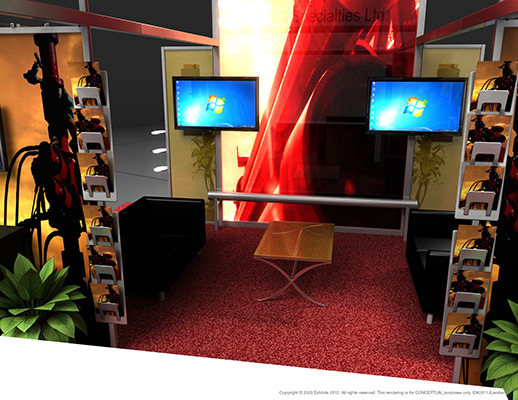 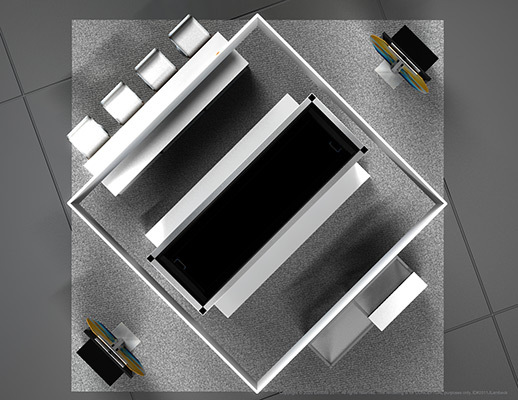 Lit up walls with a computer/video station at the base. 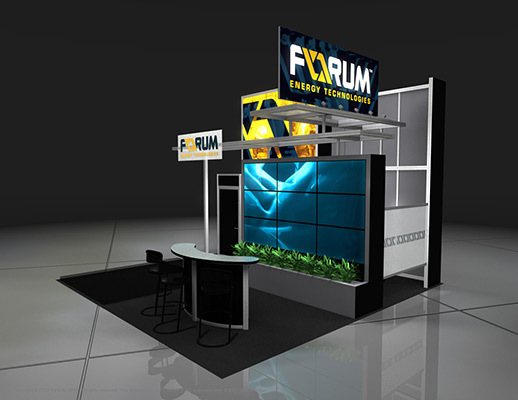 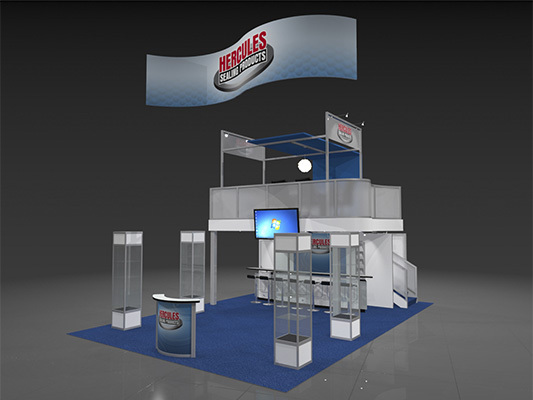 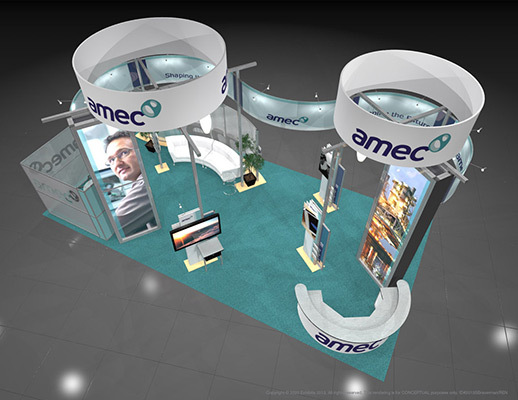 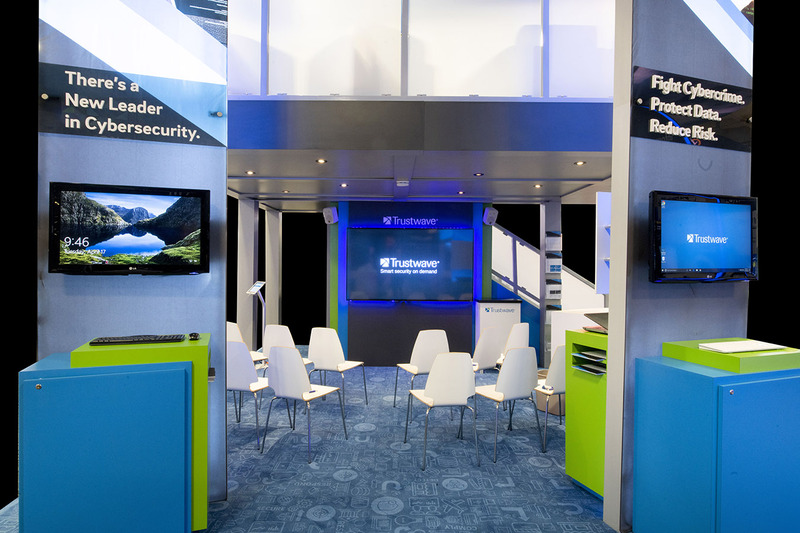 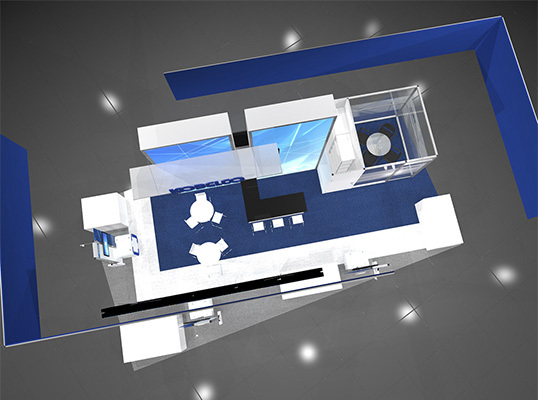 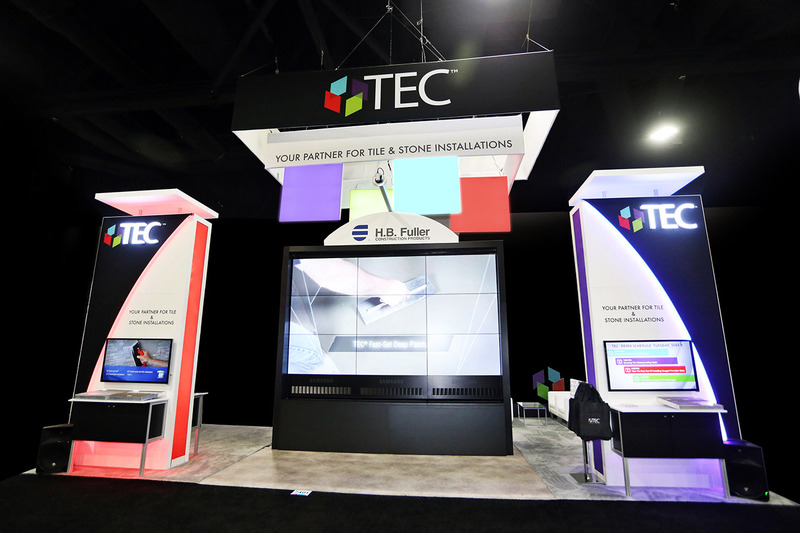 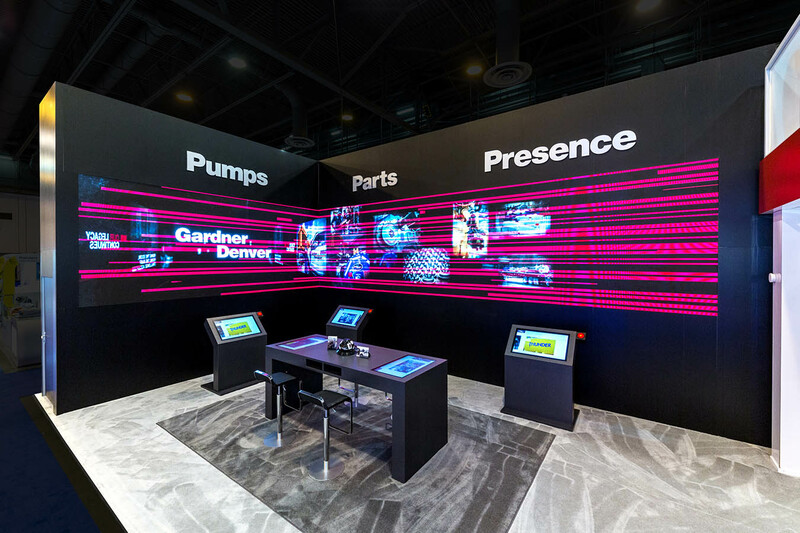 Dual monitors in front of theatre seating allow for a showcase from a presenter. 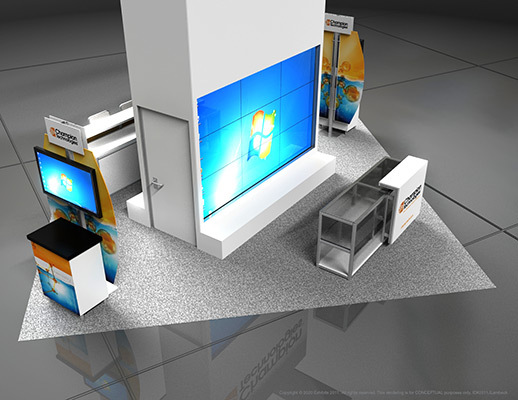 Video monitors on the exterior attract the attention by those passing by. 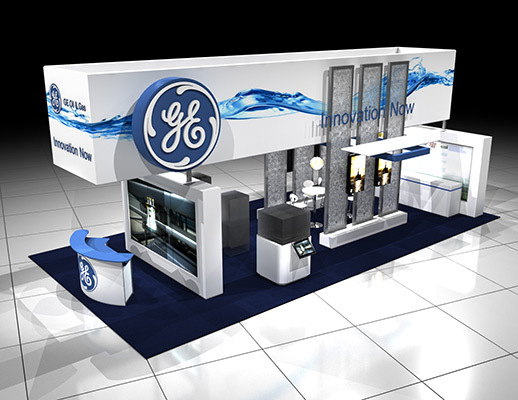 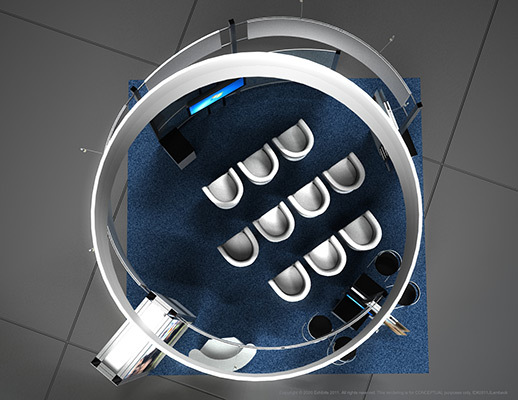 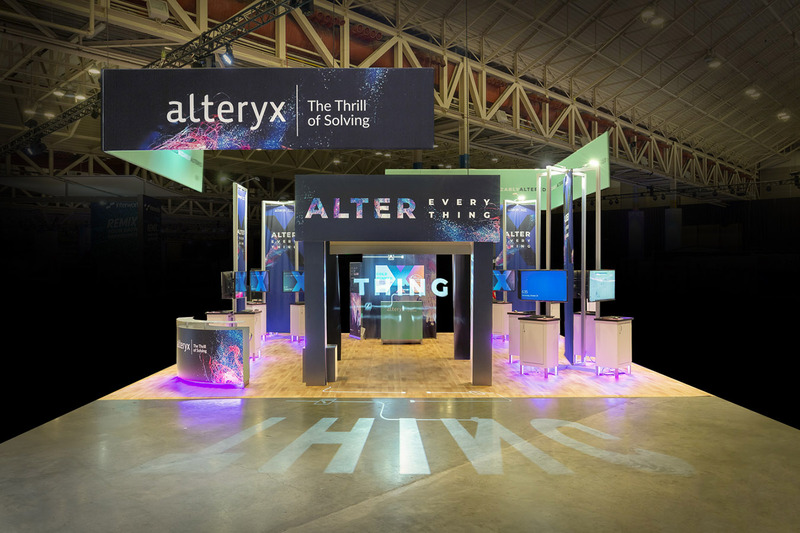 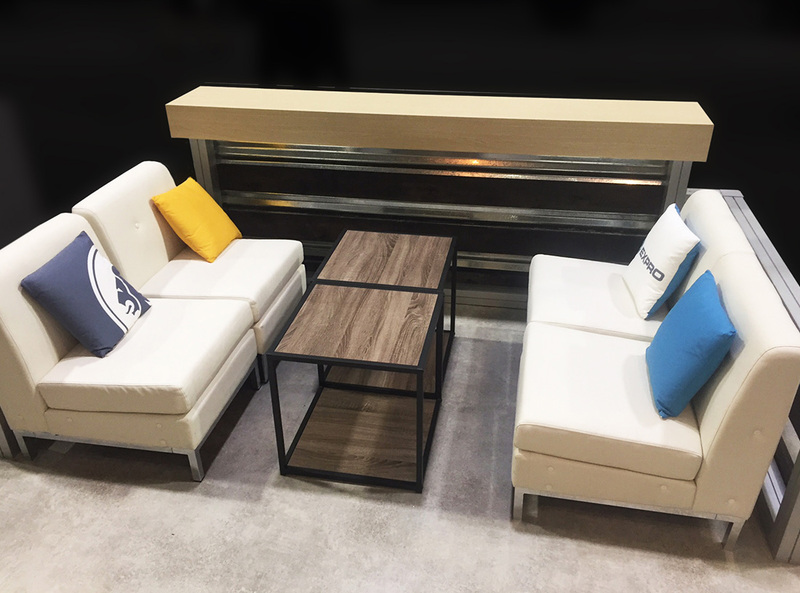 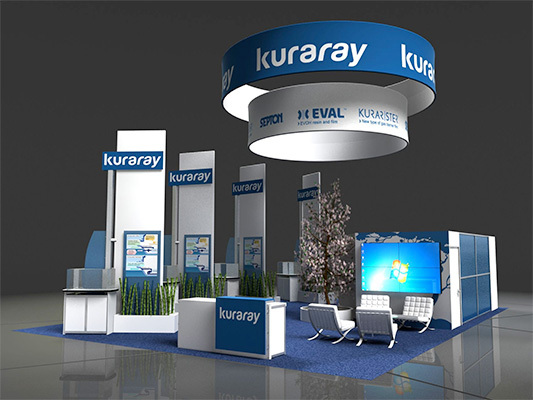 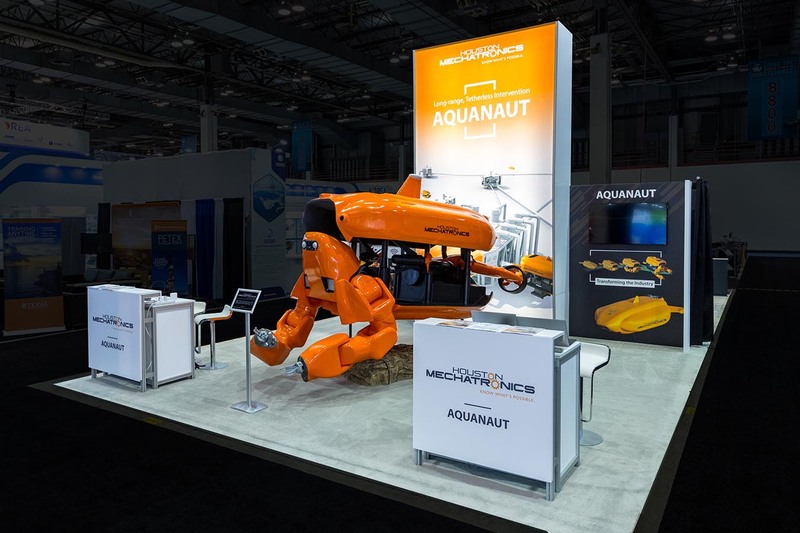 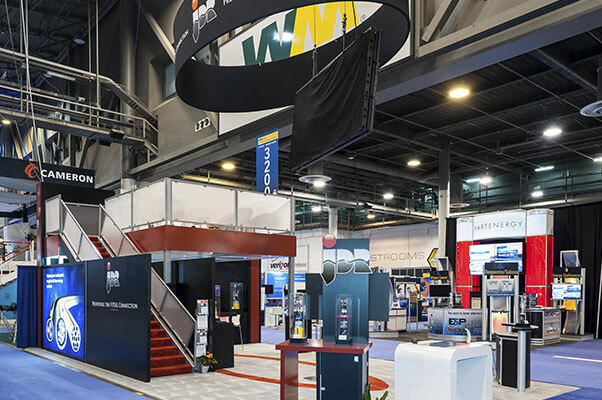 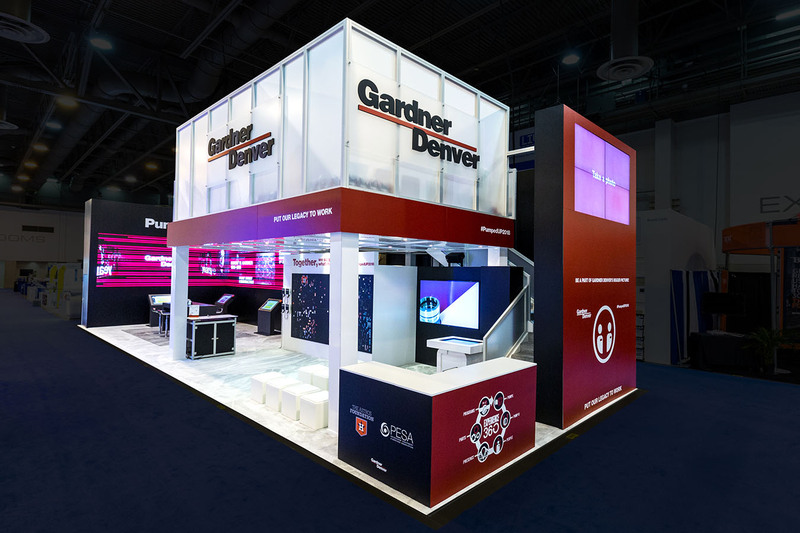 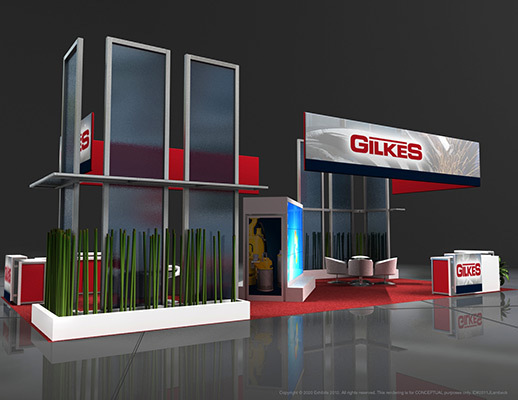 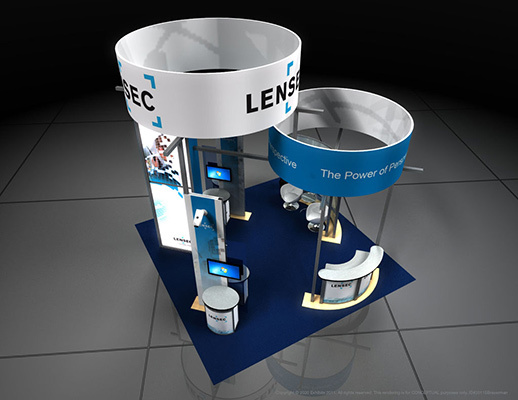 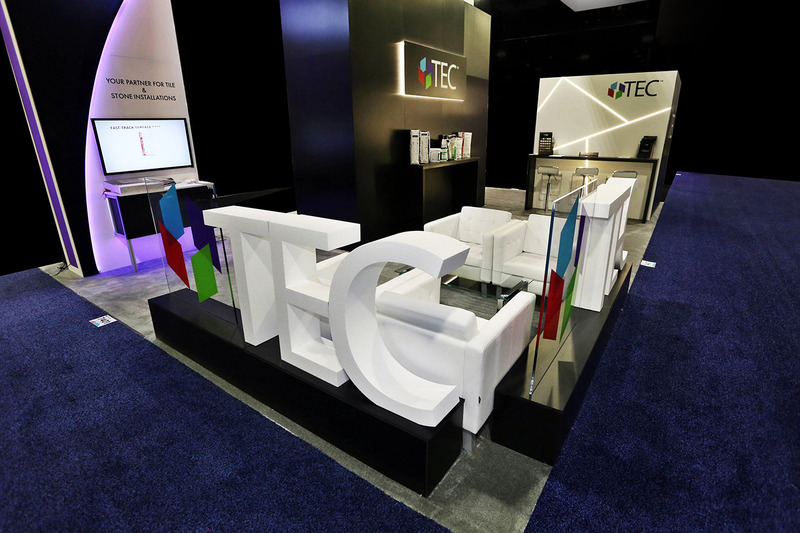 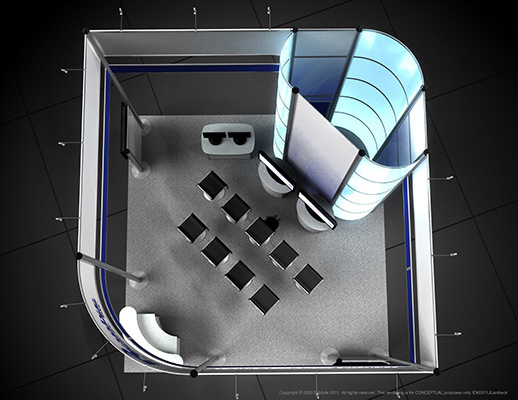 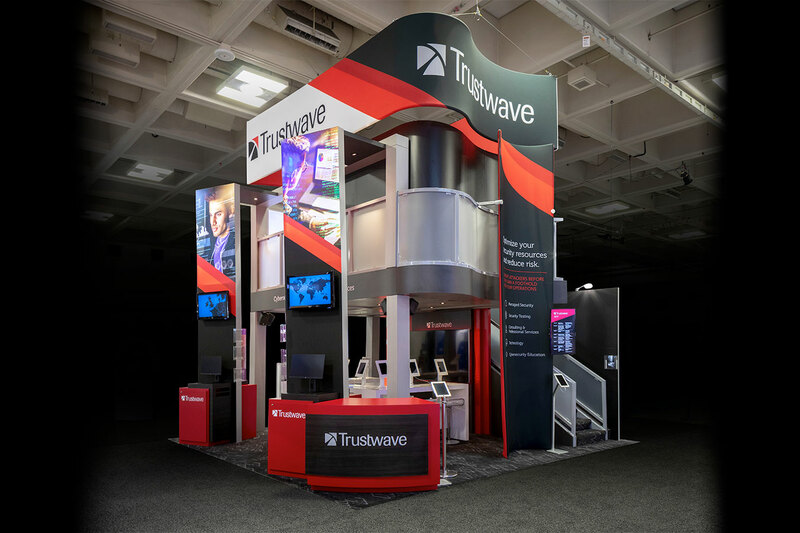 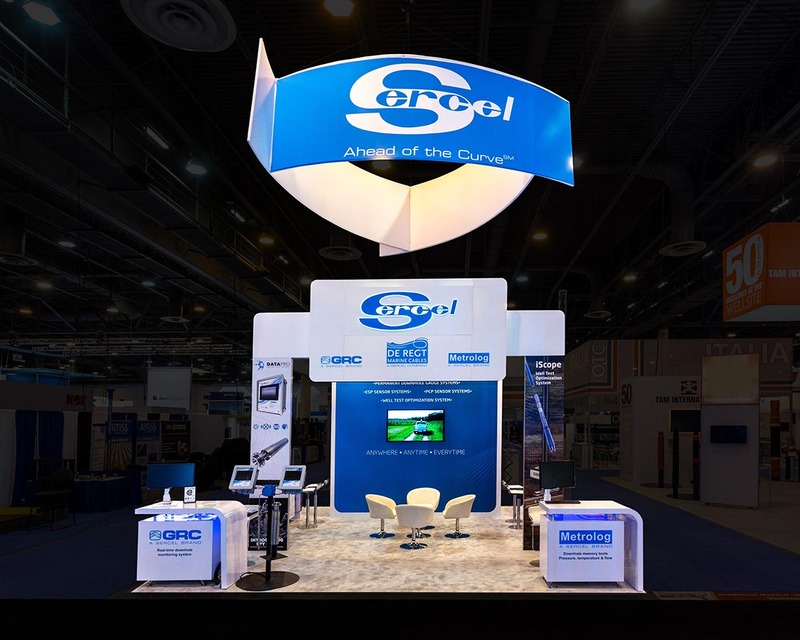 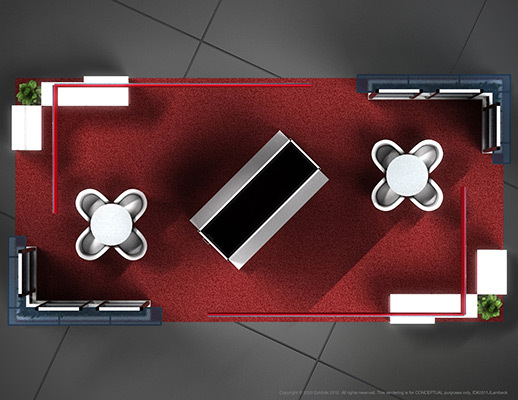 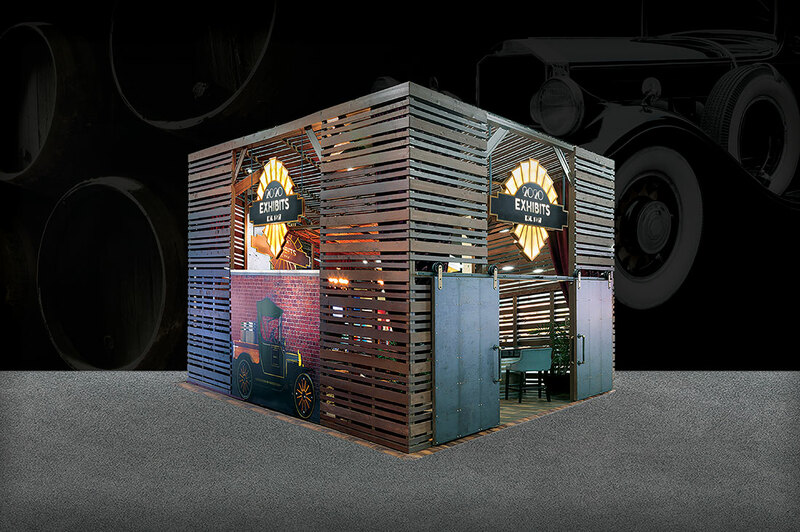 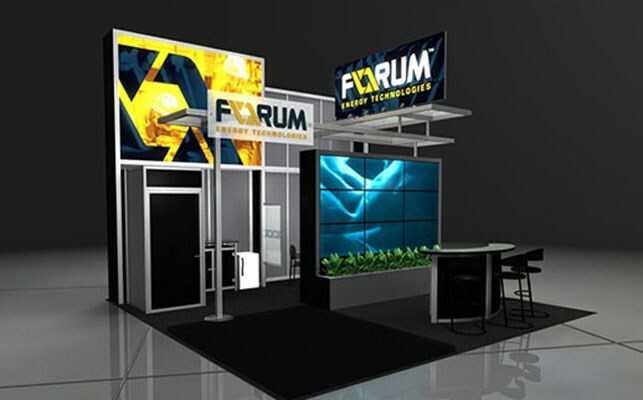 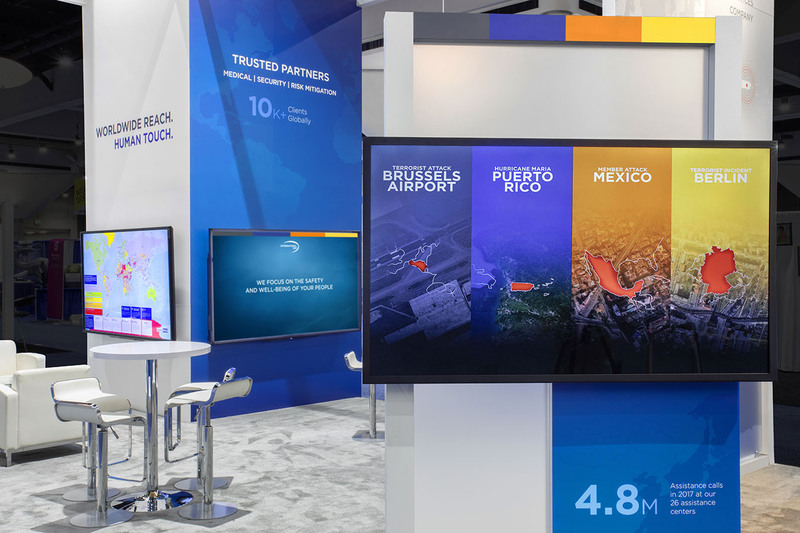 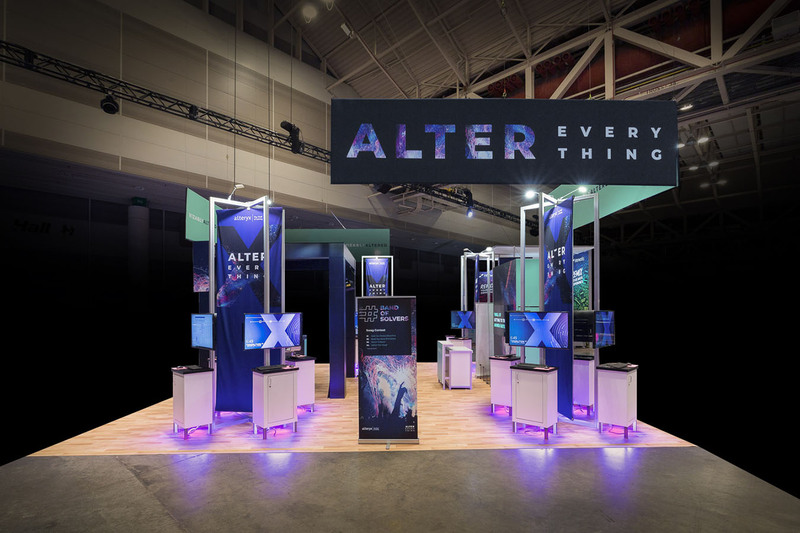 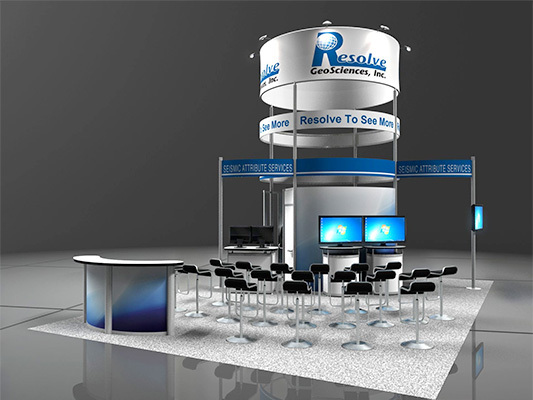 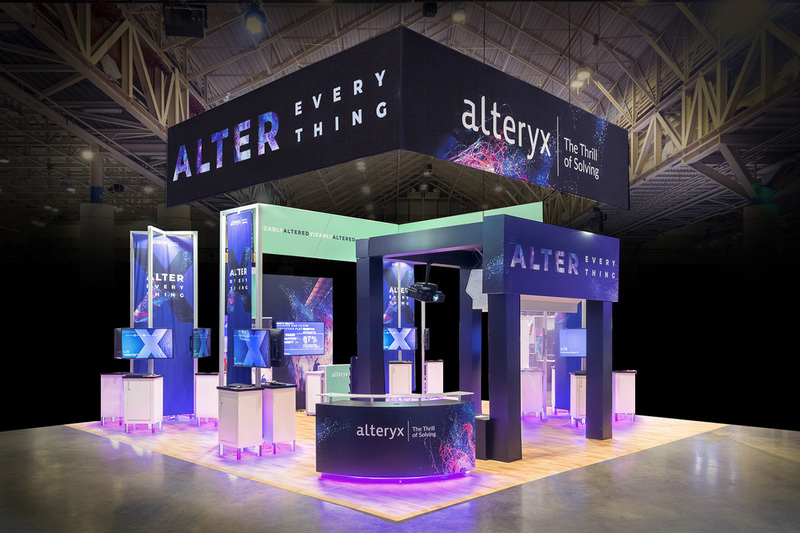 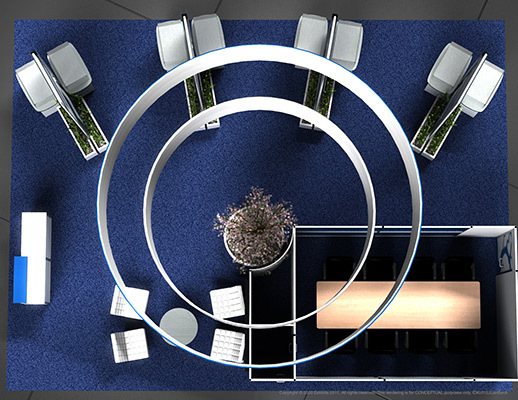 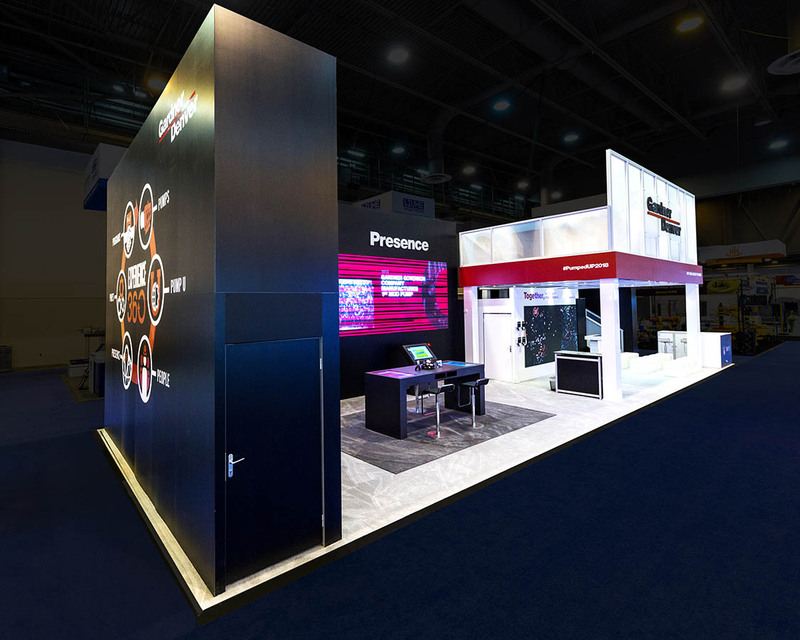 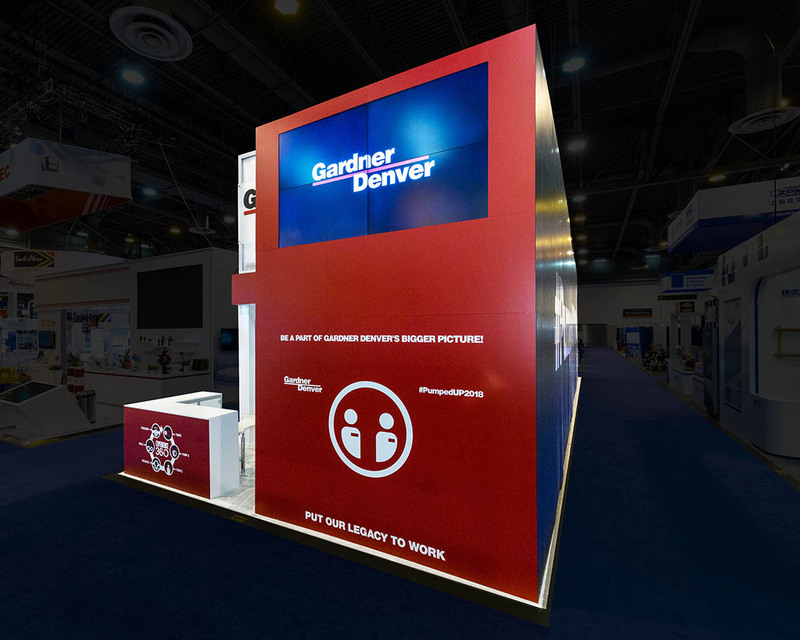 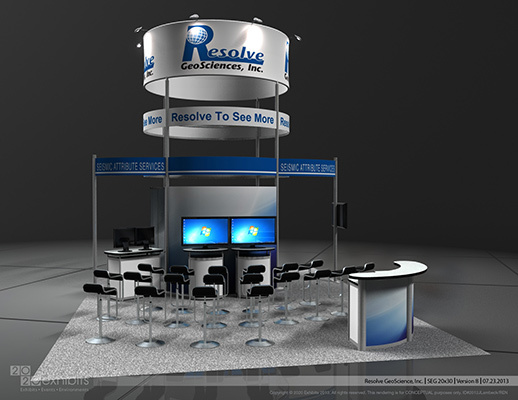 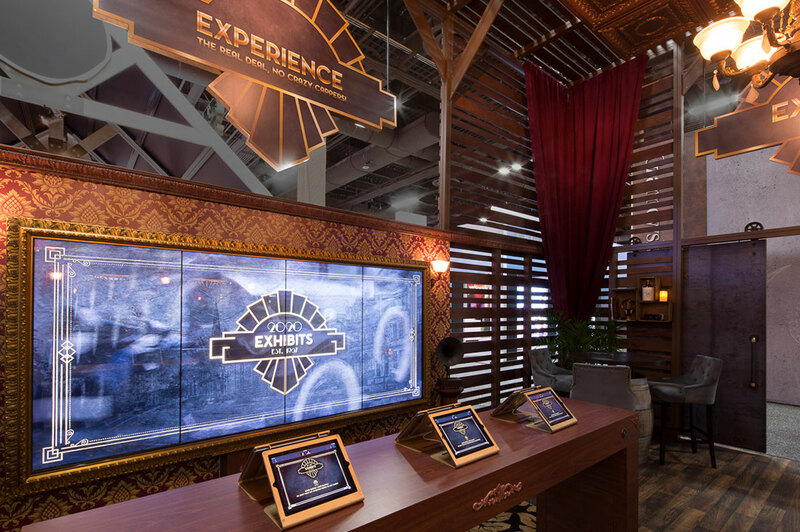 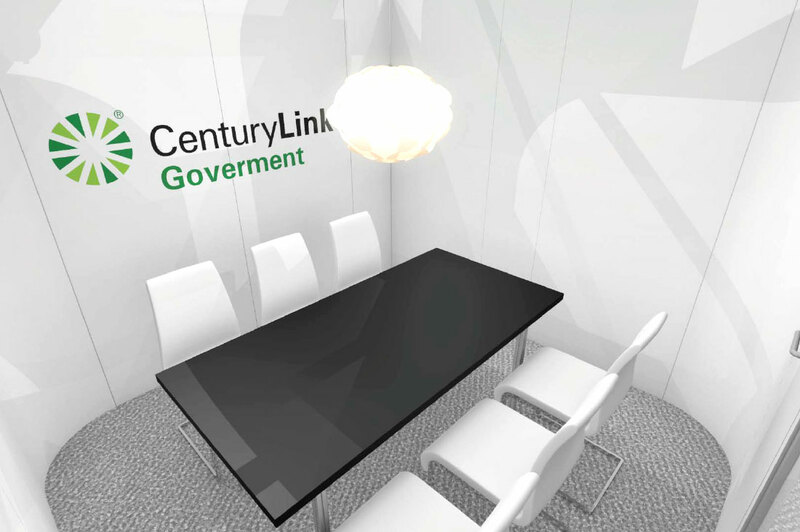 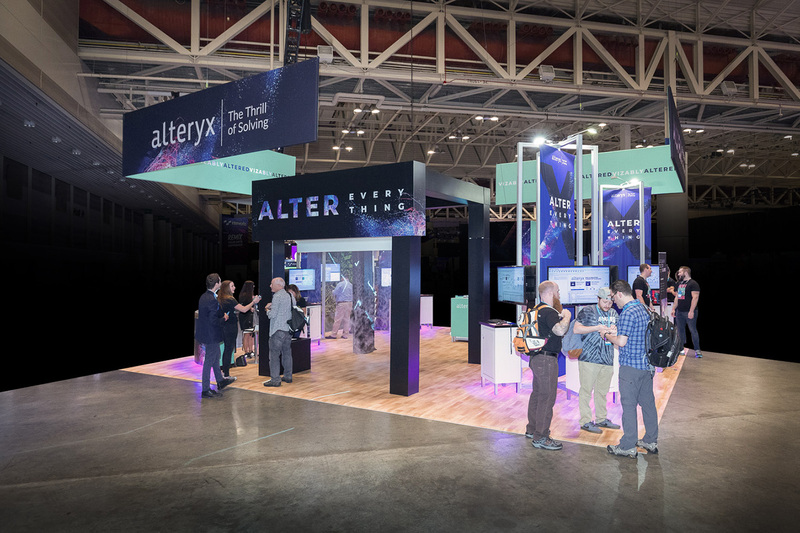 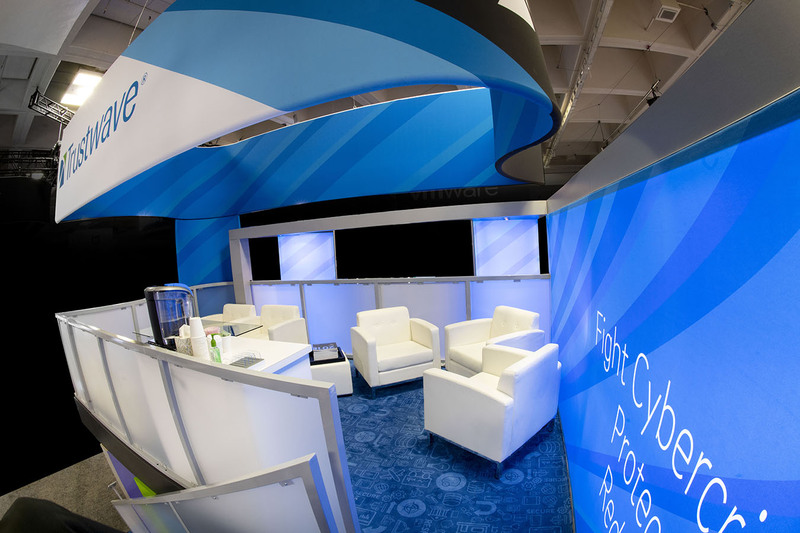 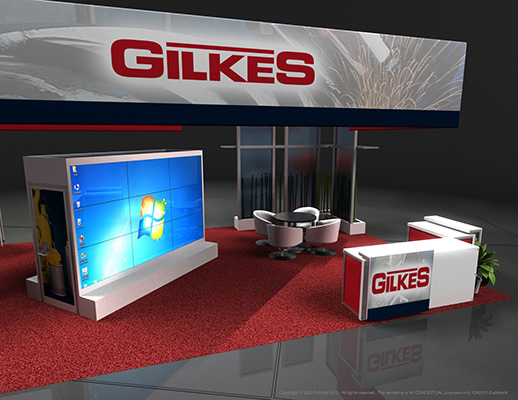 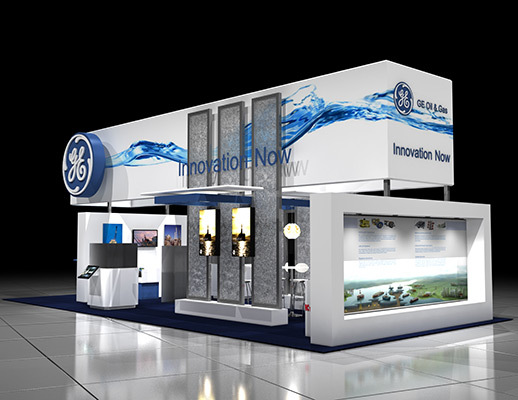 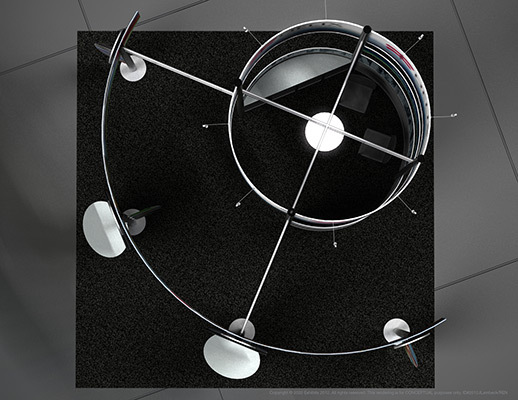 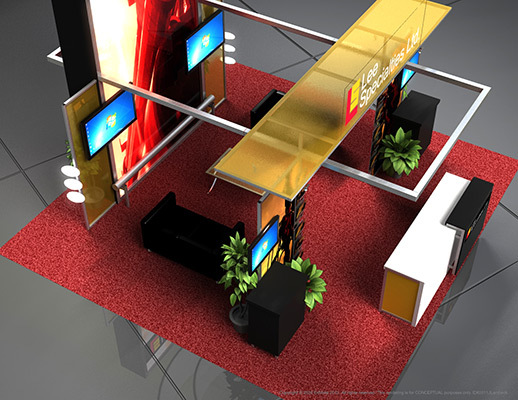 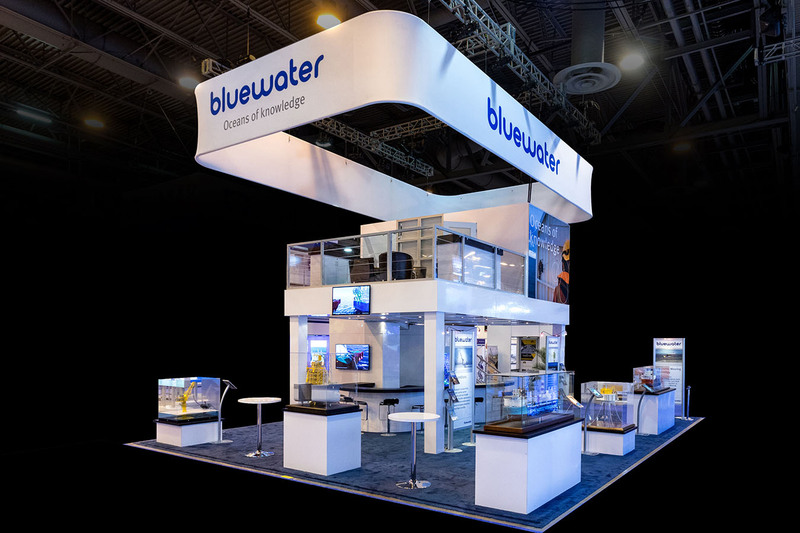 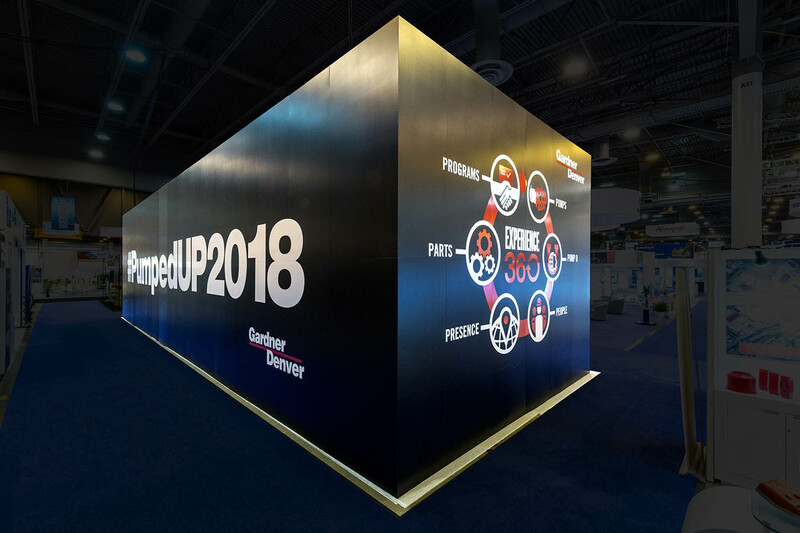 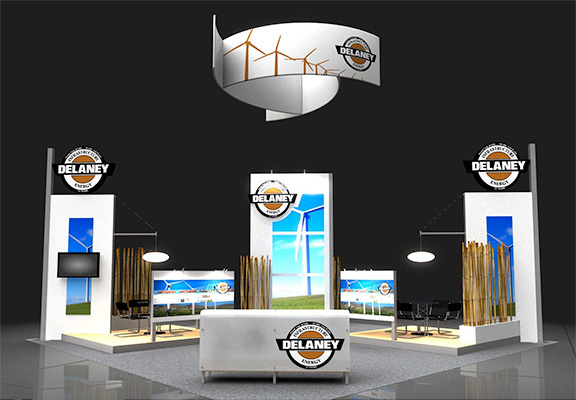 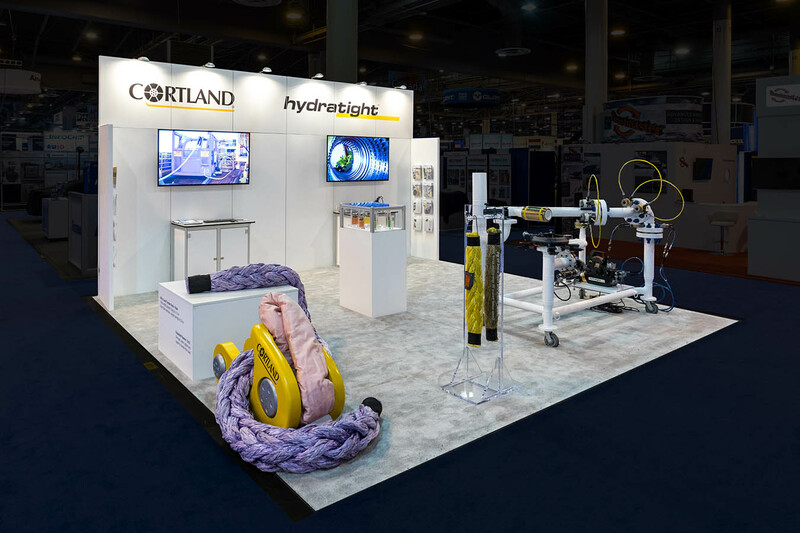 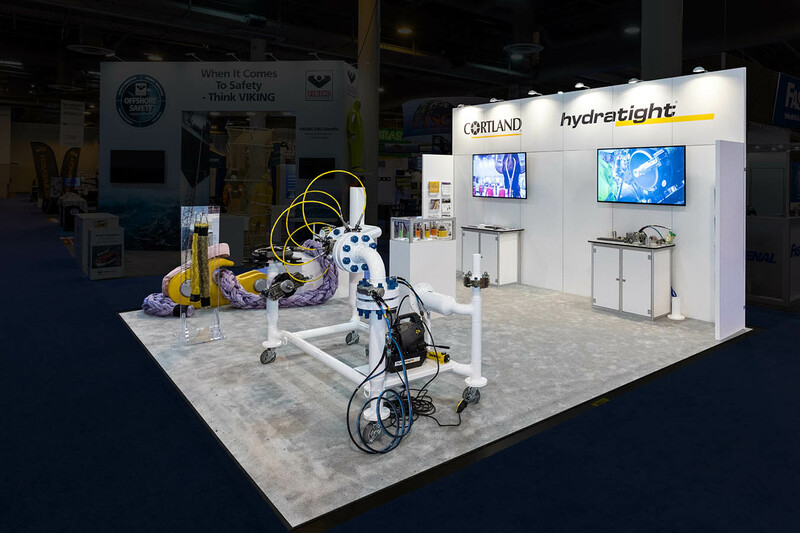 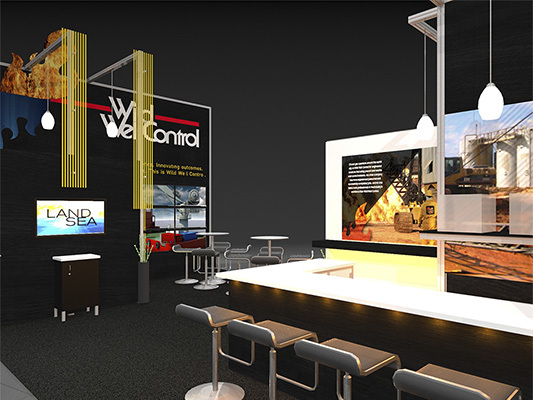 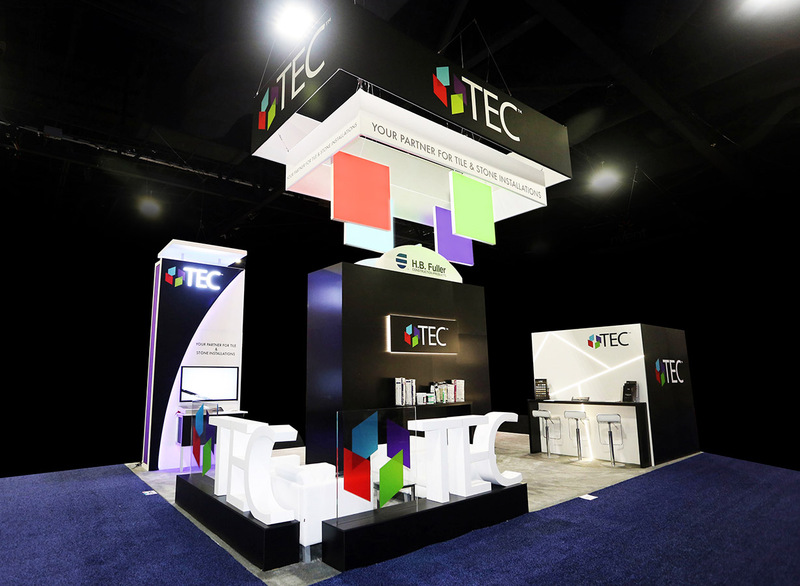 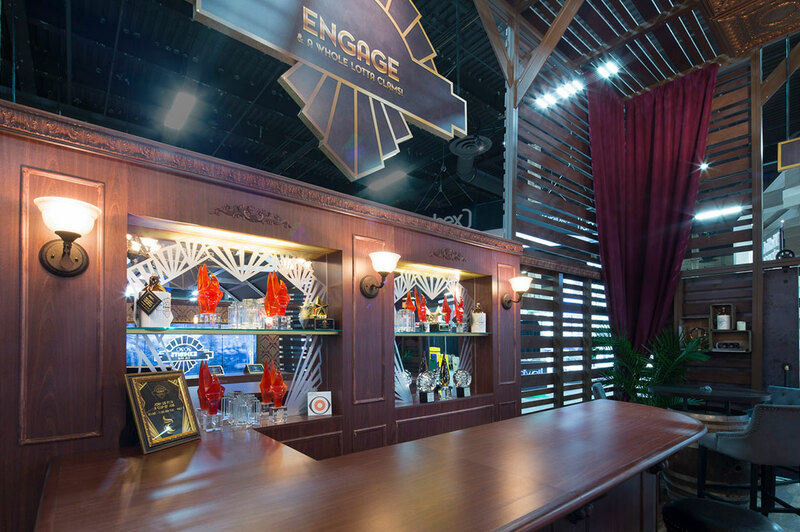 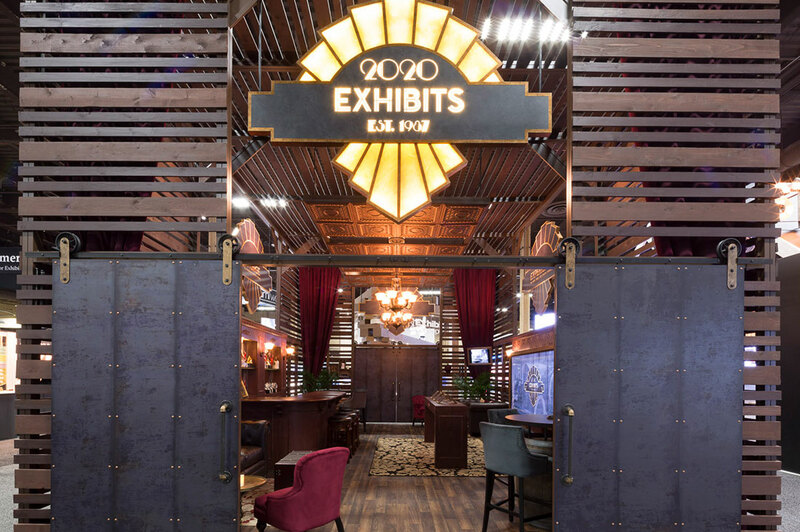 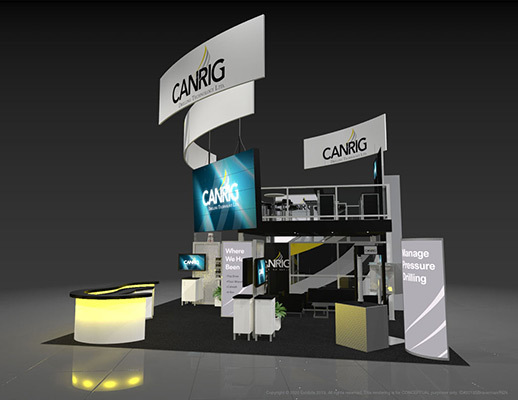 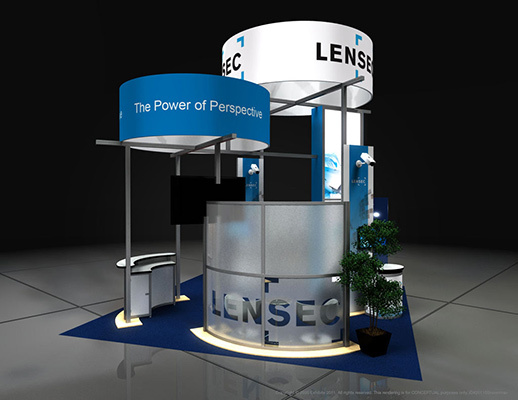 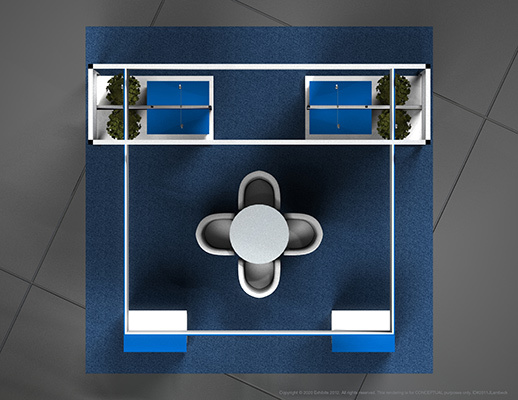 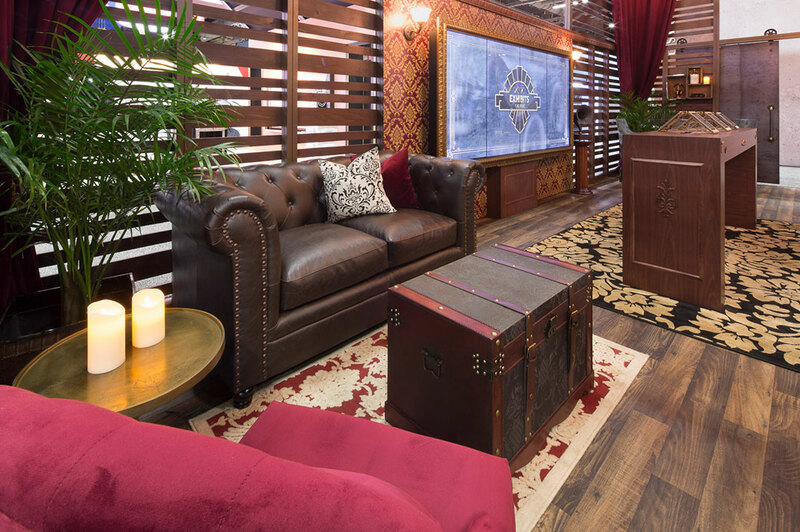 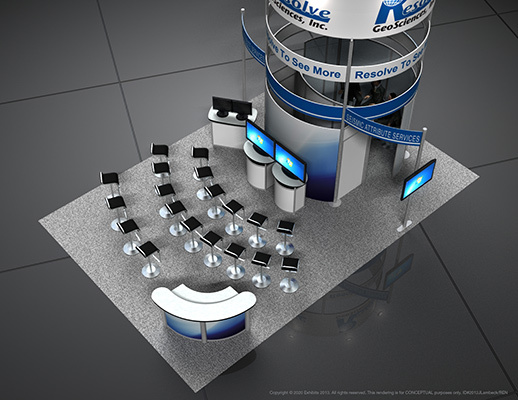 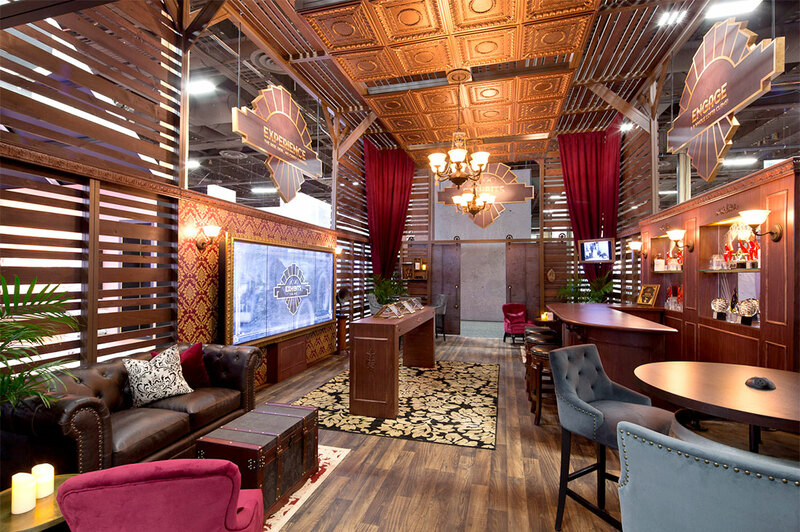 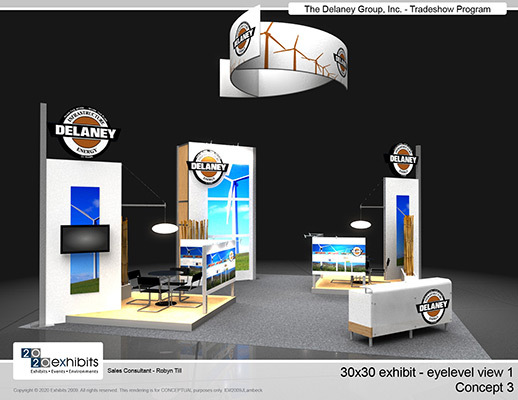 Features include: dimensional logo, curved enclosed graphic logo signage, video monitors, dual monitors, theatre seating, reception area, light walls, overhead lighting, carpeted inlay, video stations, lounge area and open conference seating.